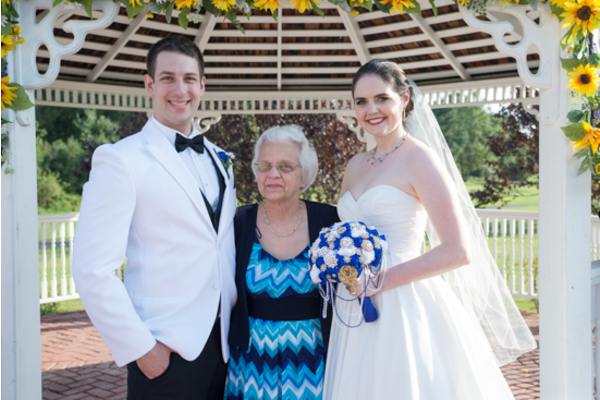 Congratulations to Mary and Austin on their recent marriage! 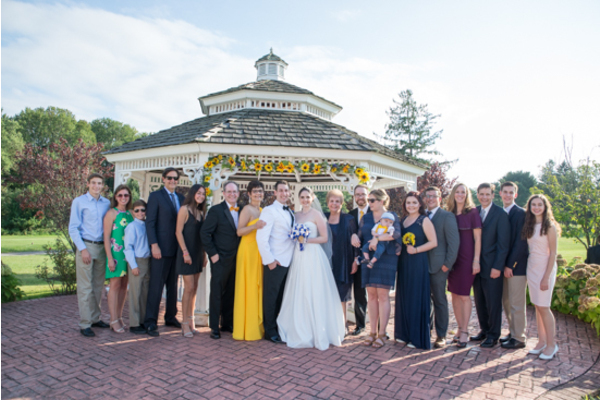 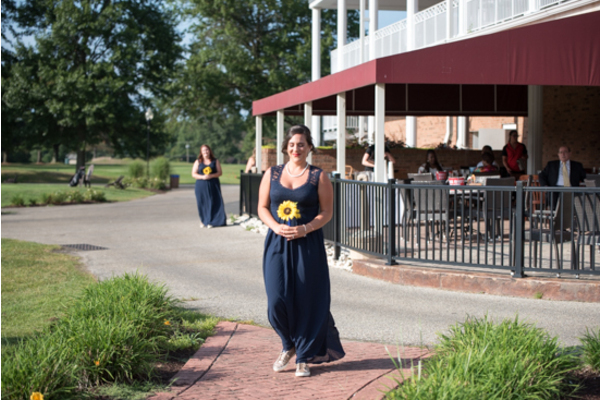 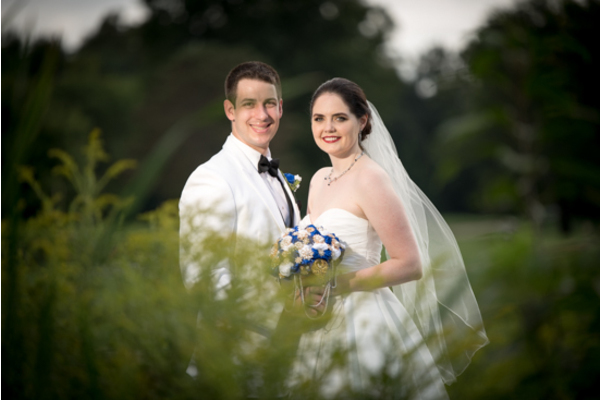 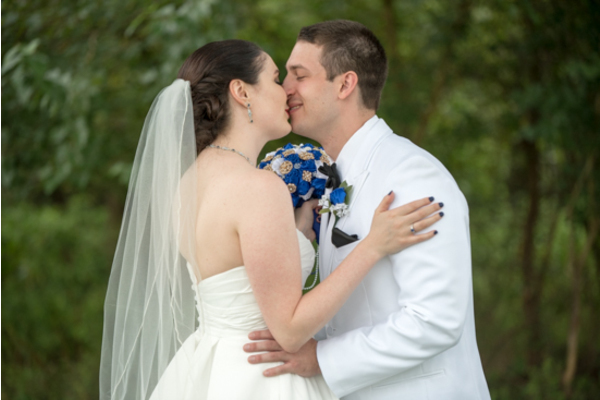 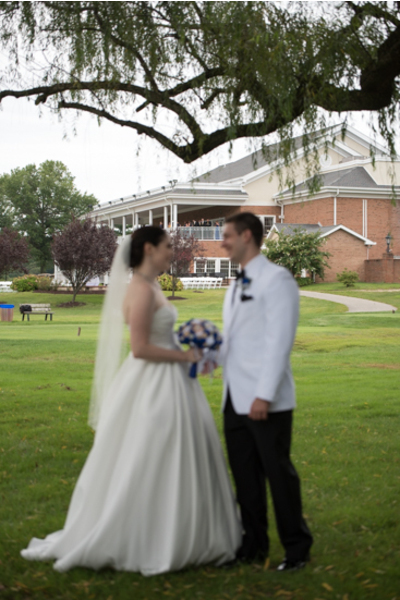 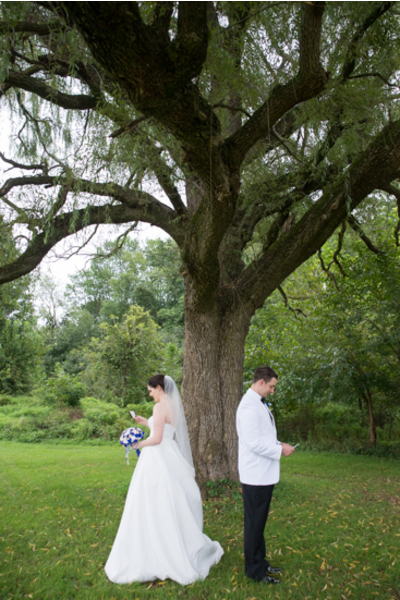 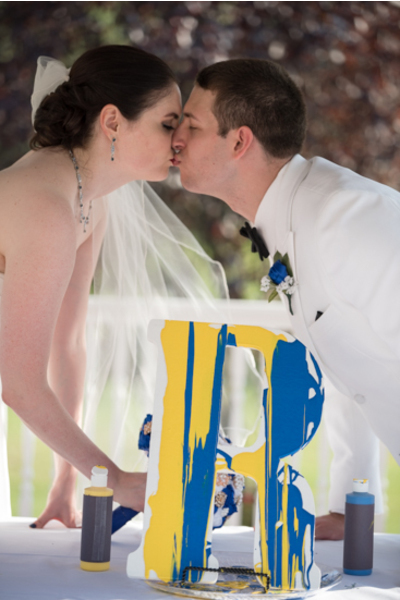 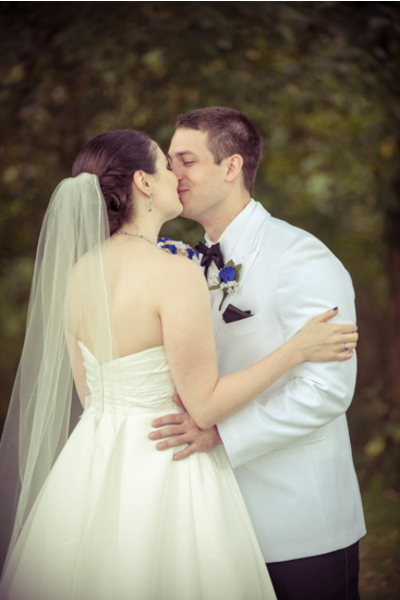 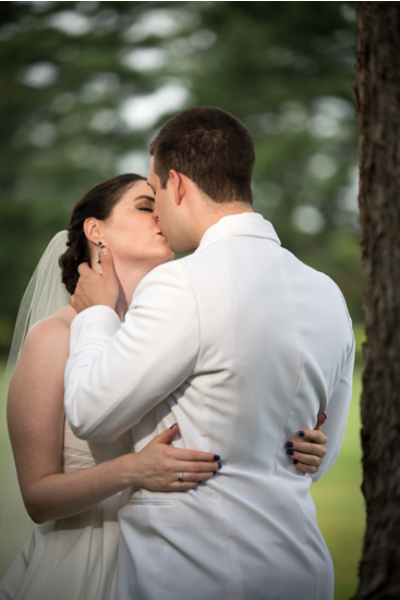 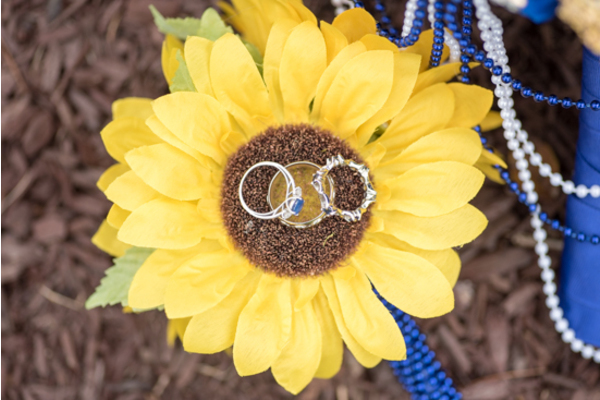 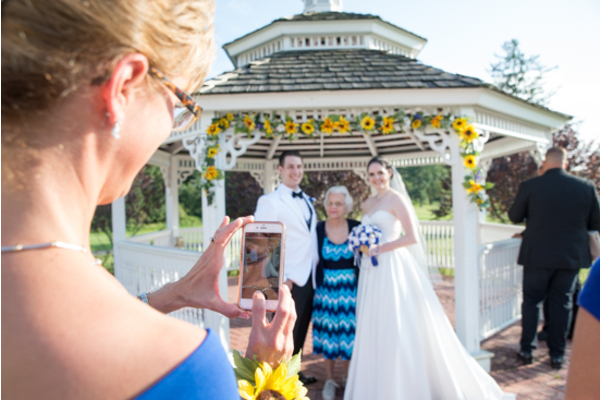 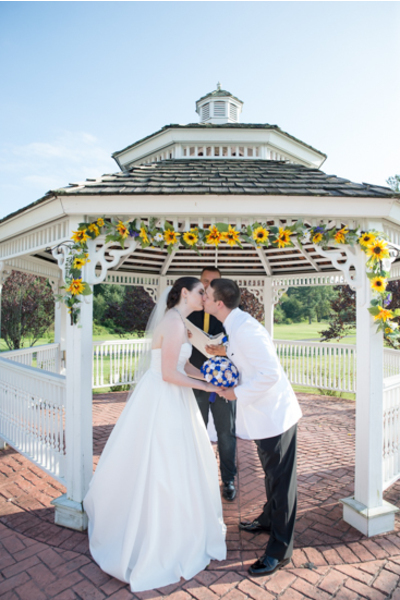 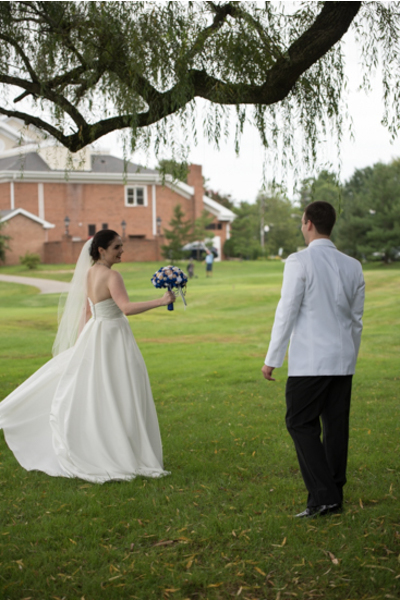 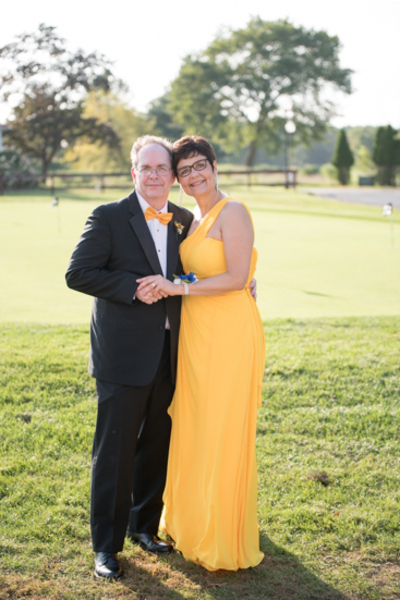 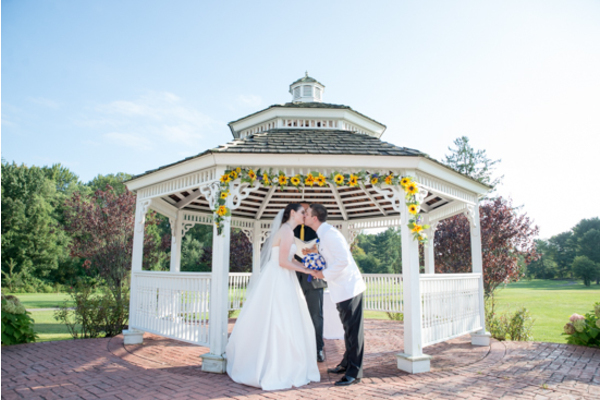 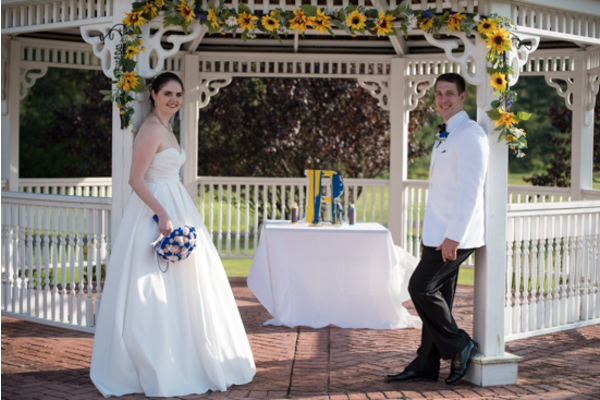 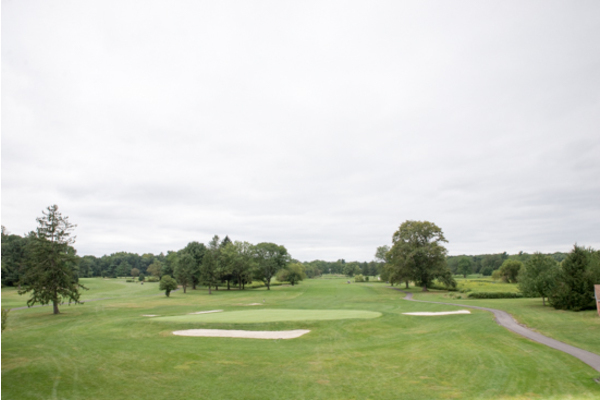 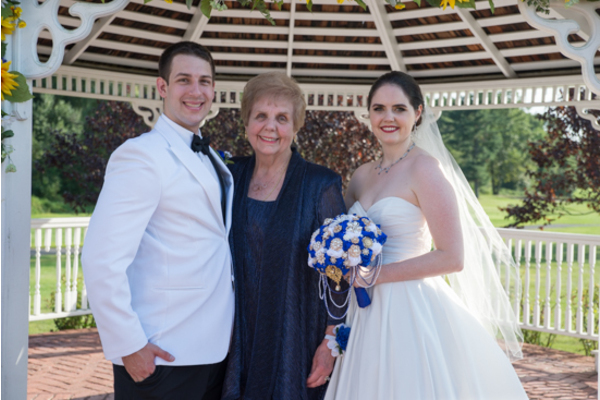 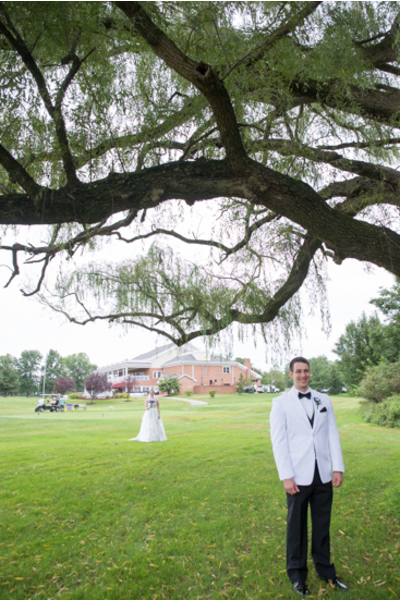 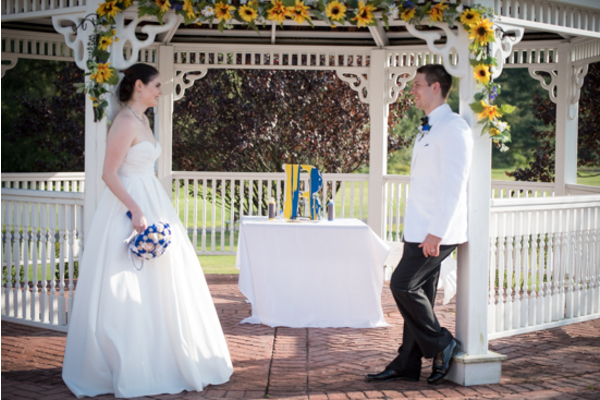 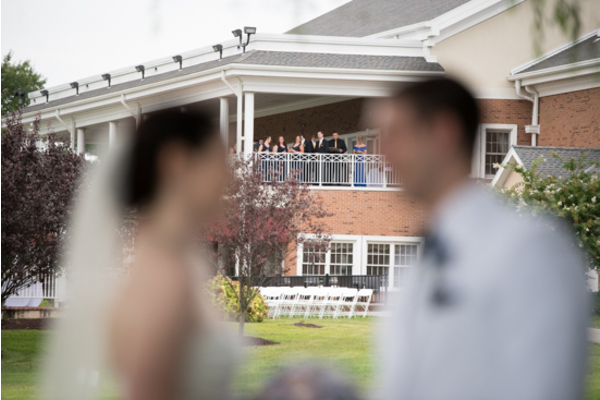 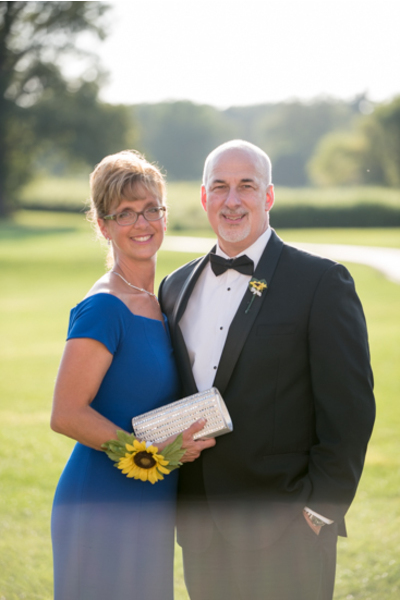 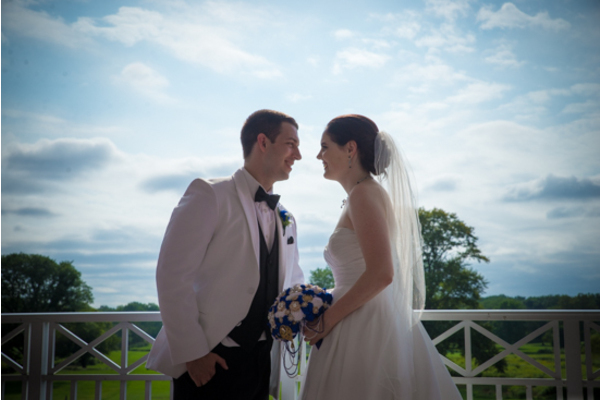 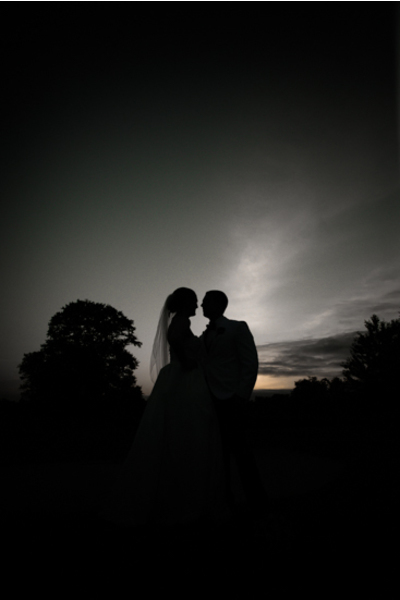 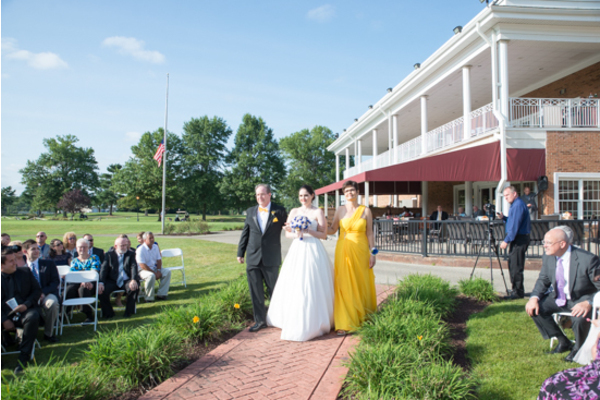 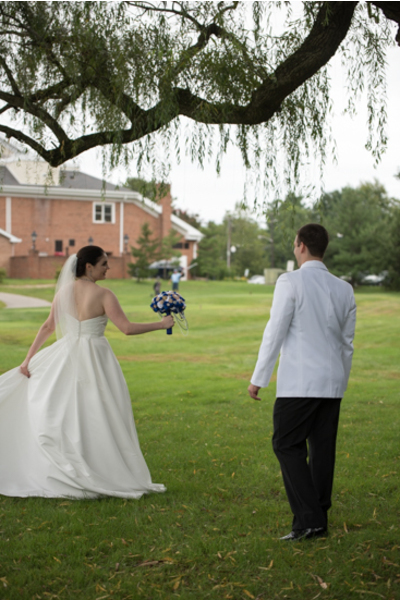 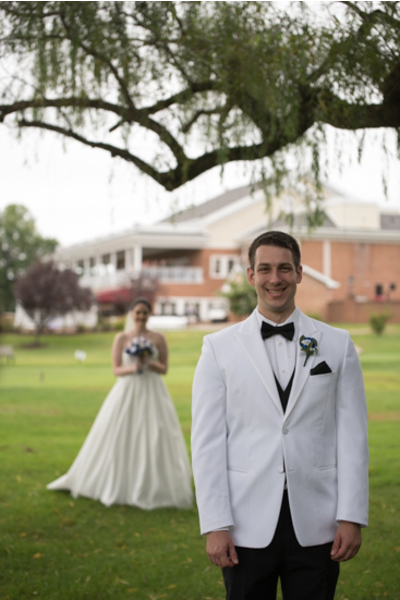 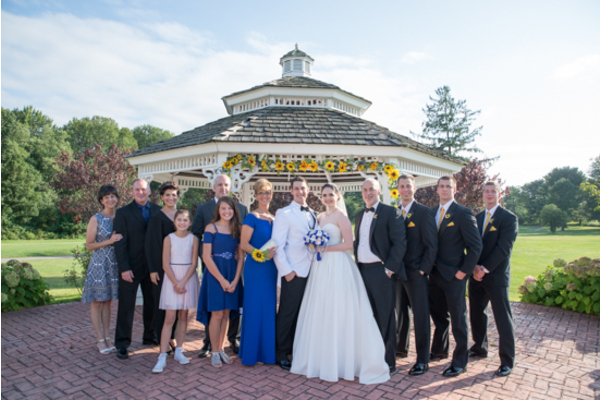 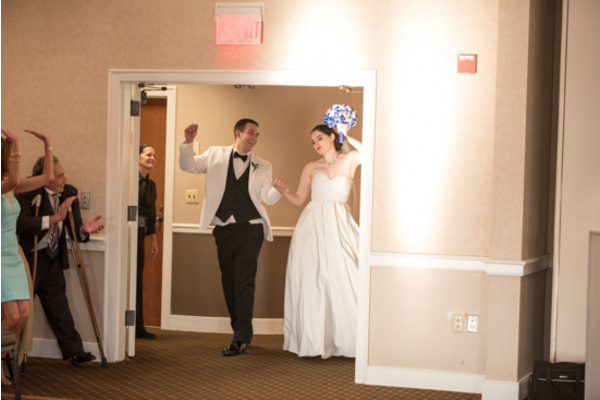 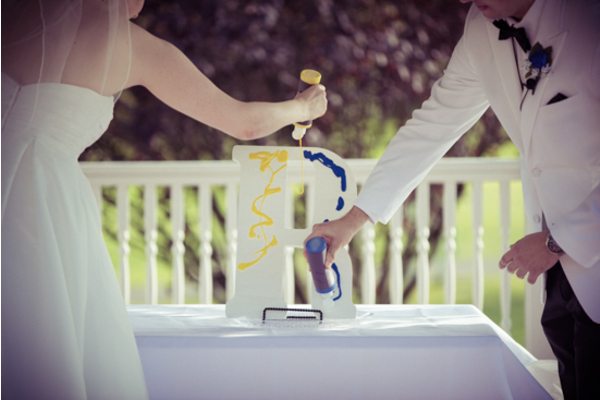 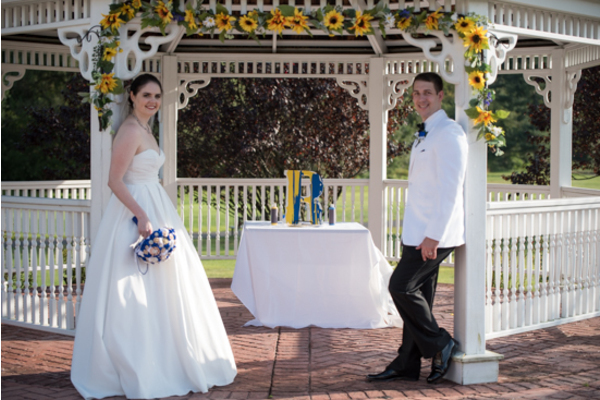 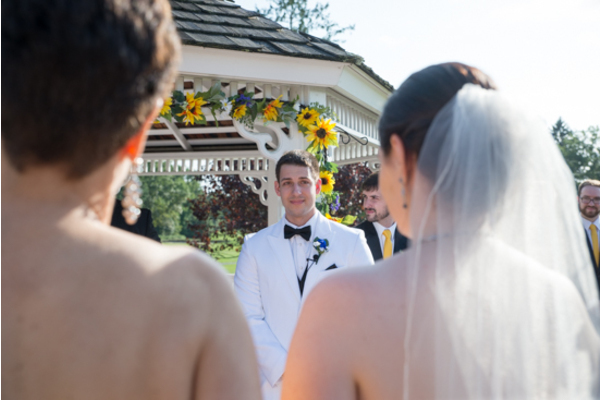 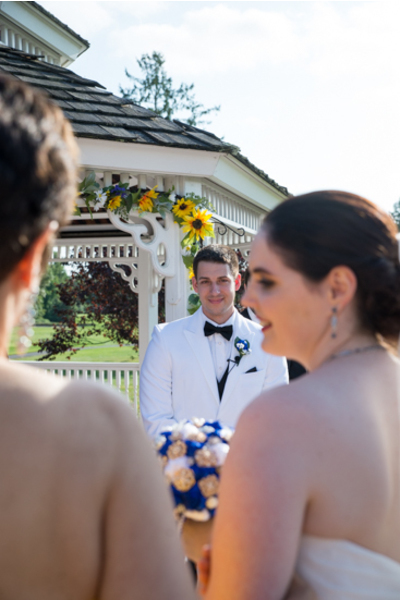 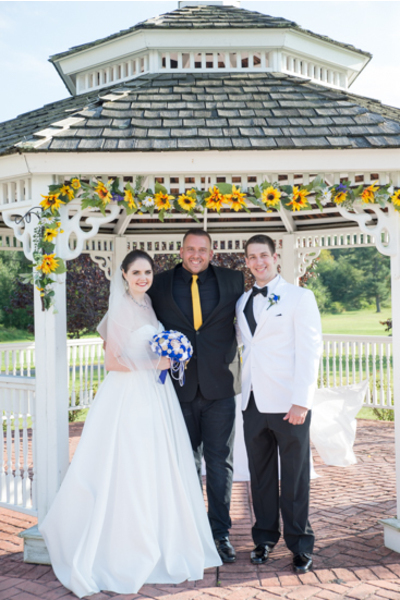 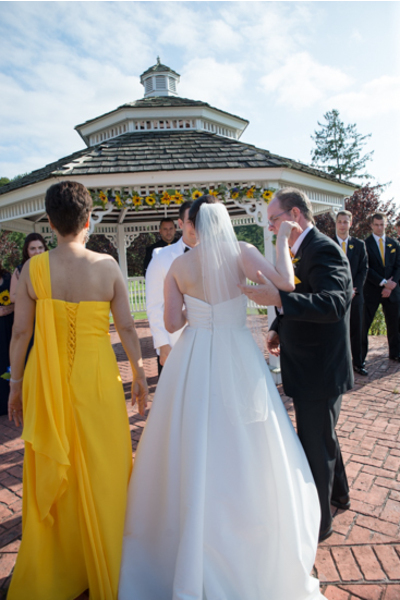 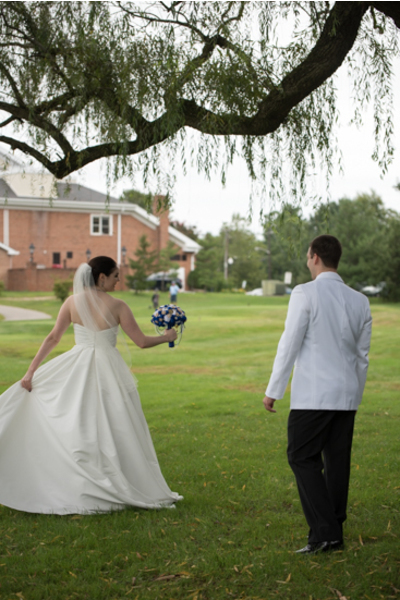 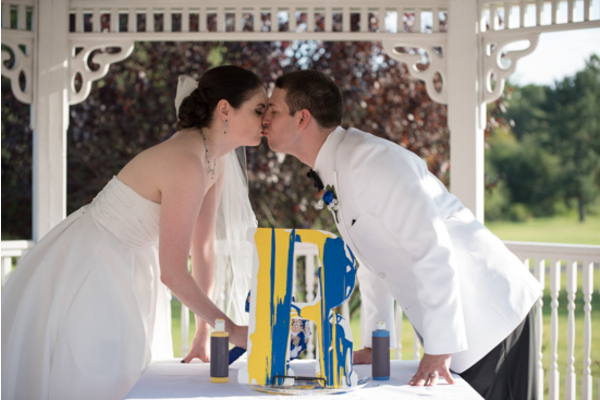 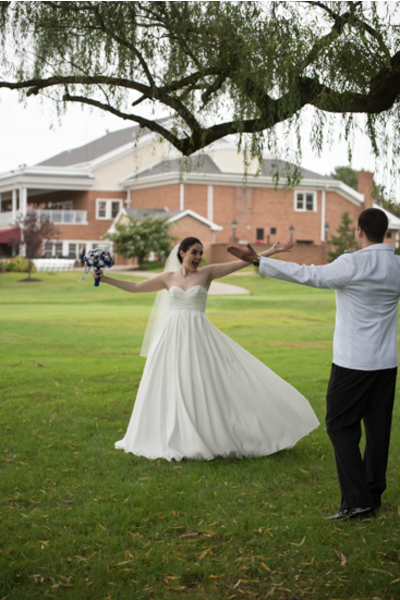 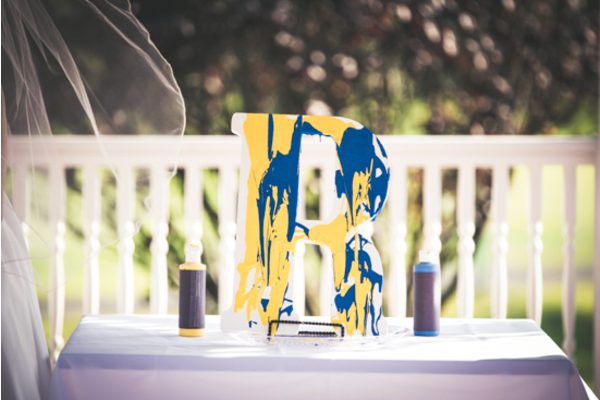 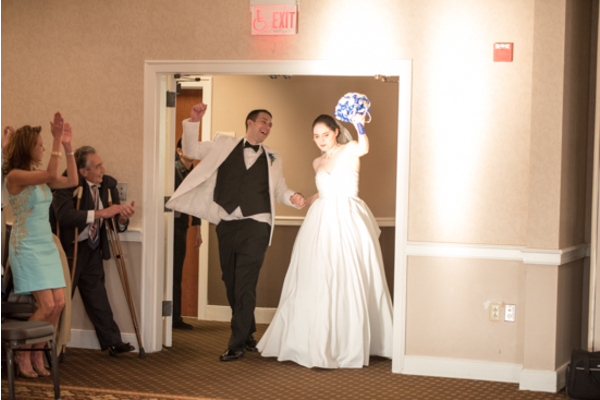 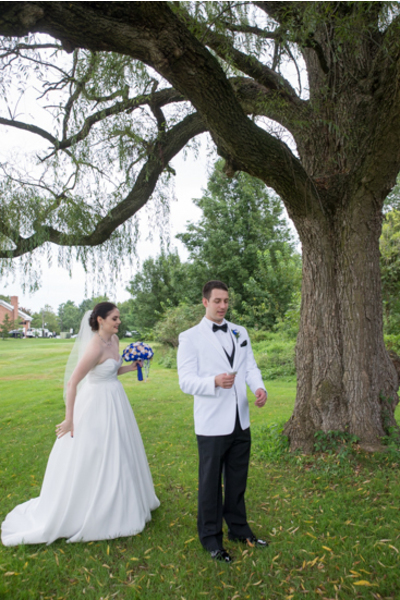 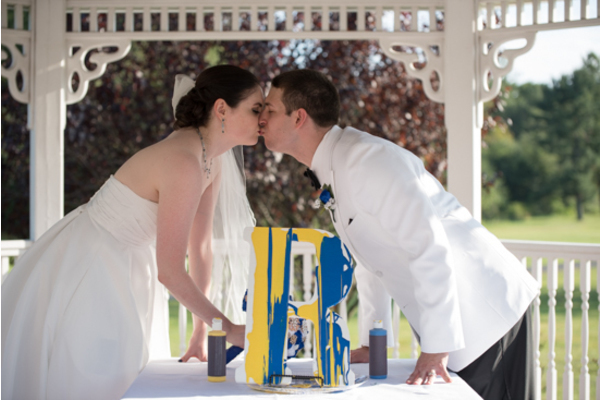 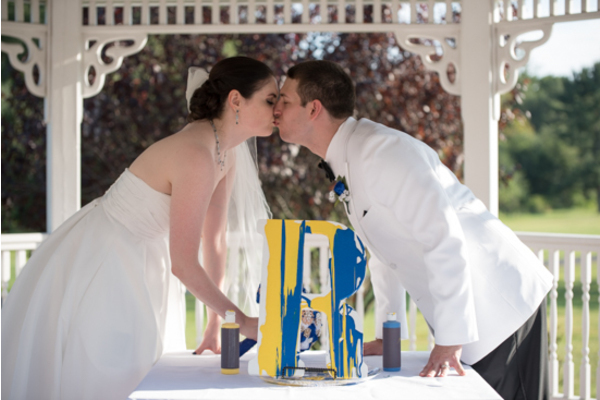 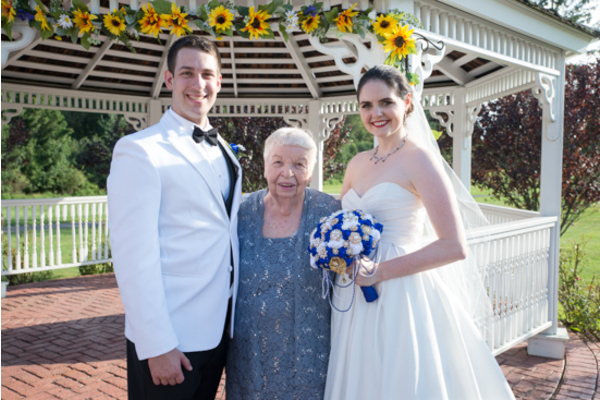 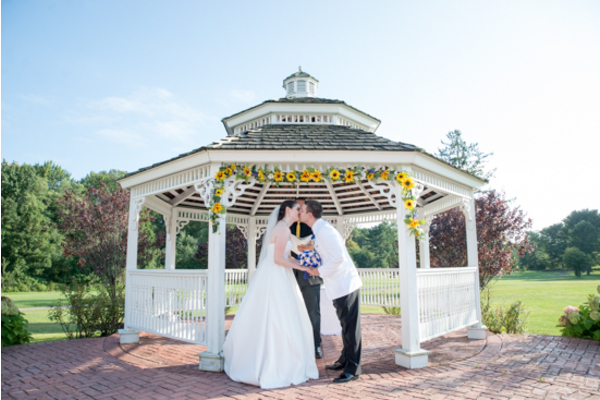 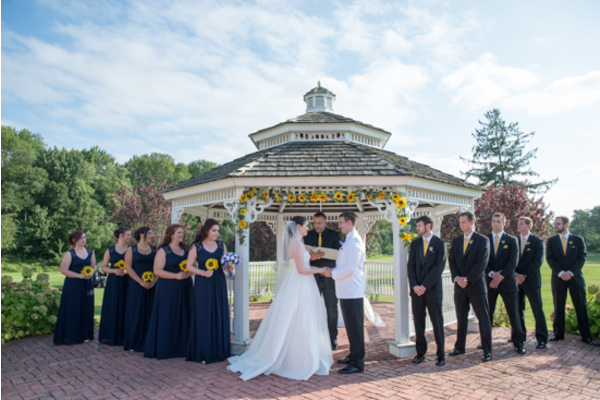 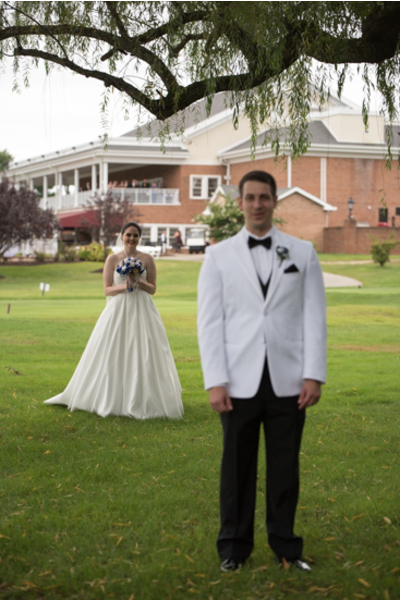 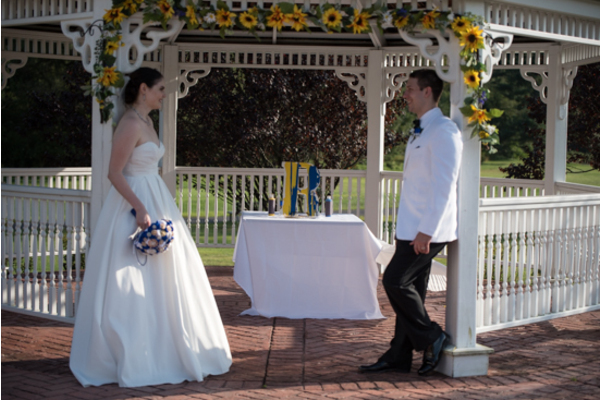 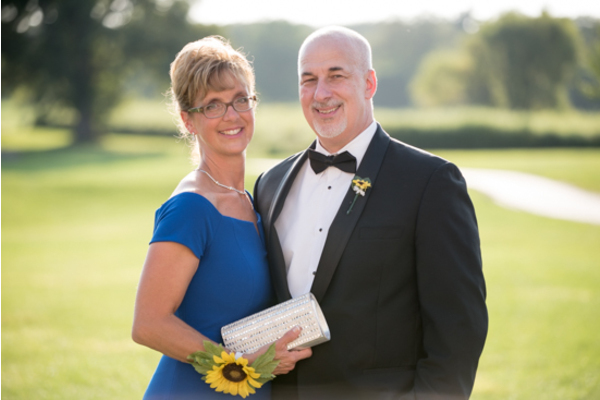 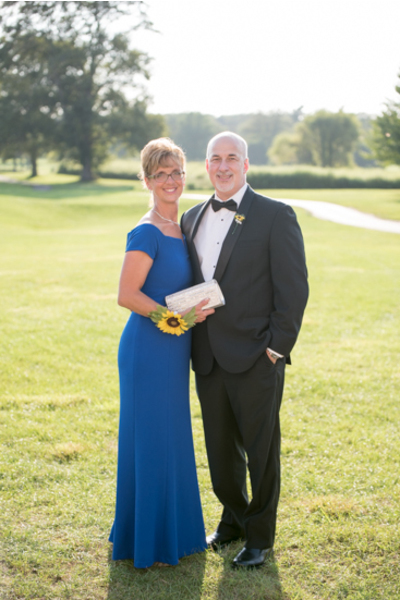 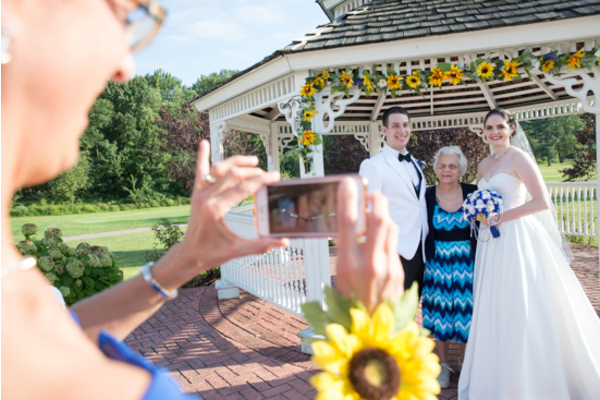 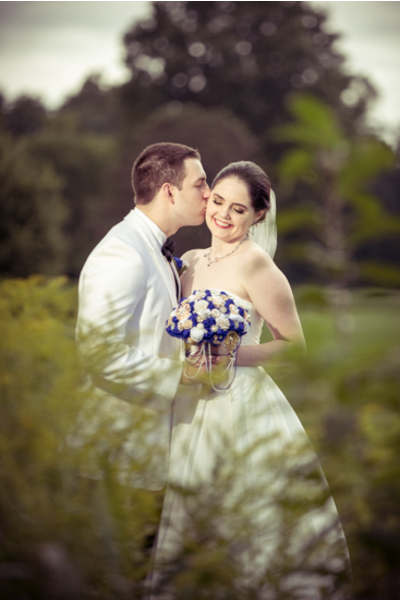 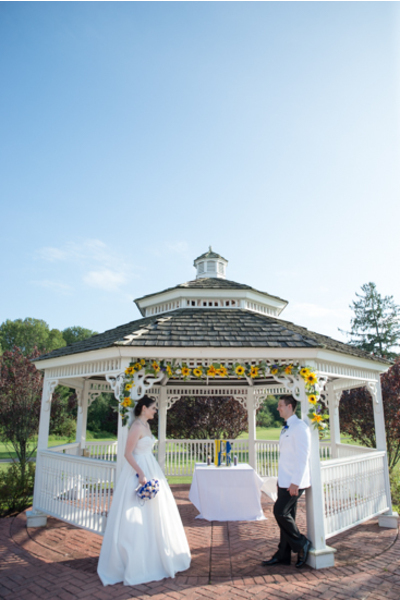 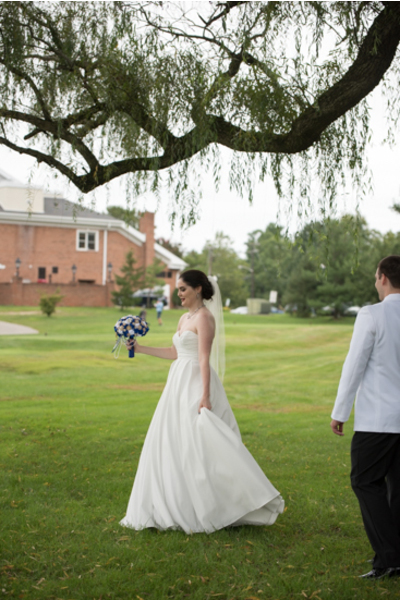 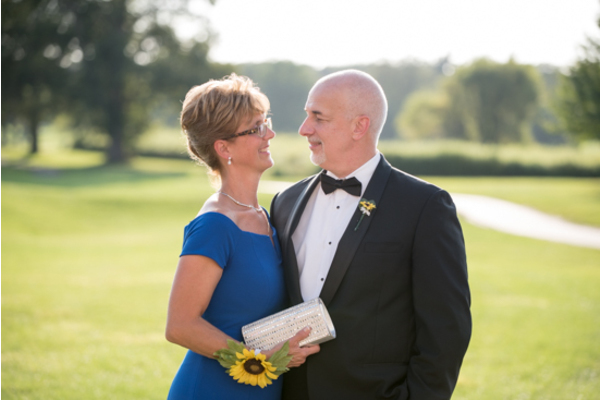 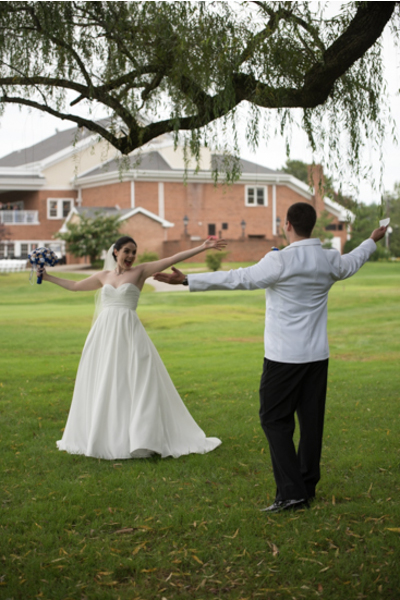 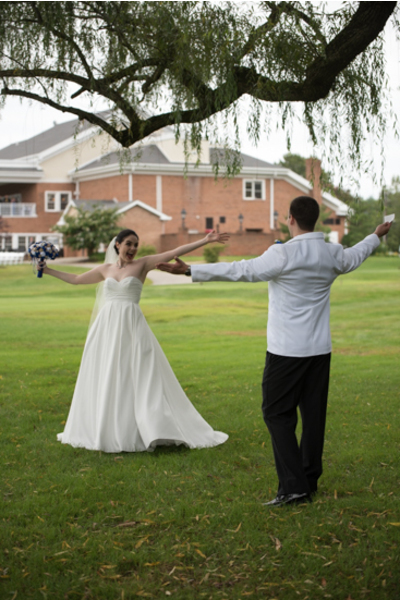 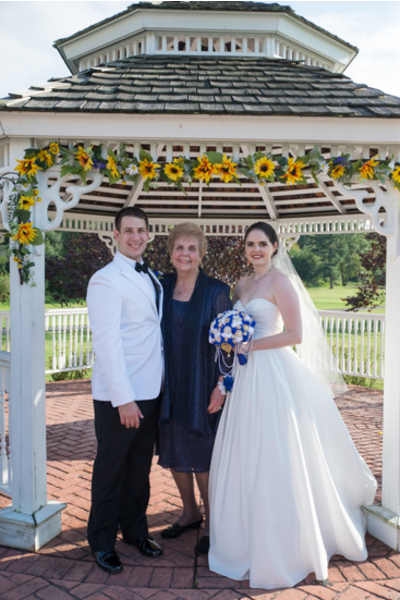 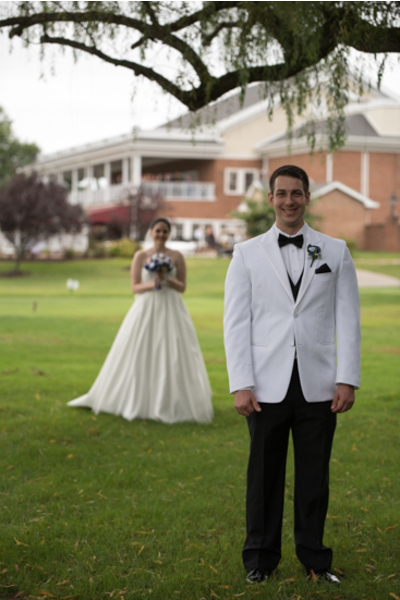 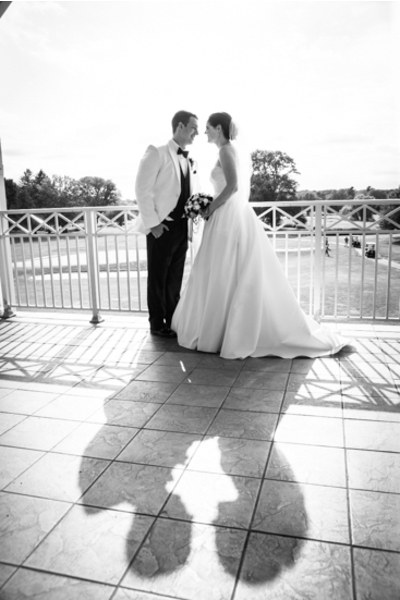 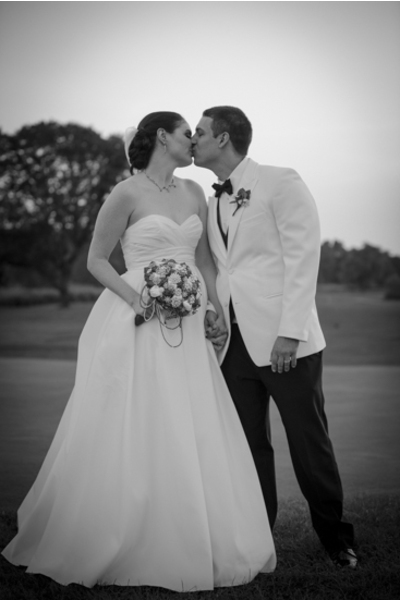 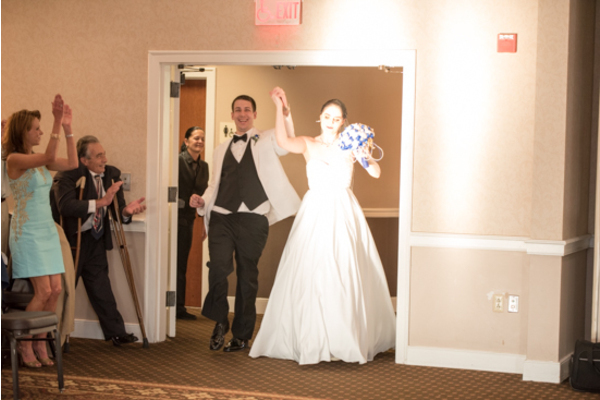 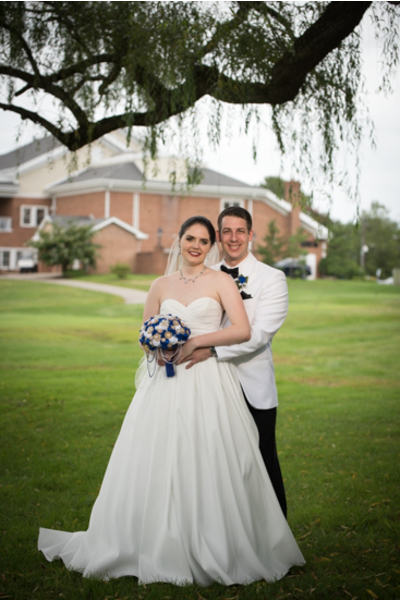 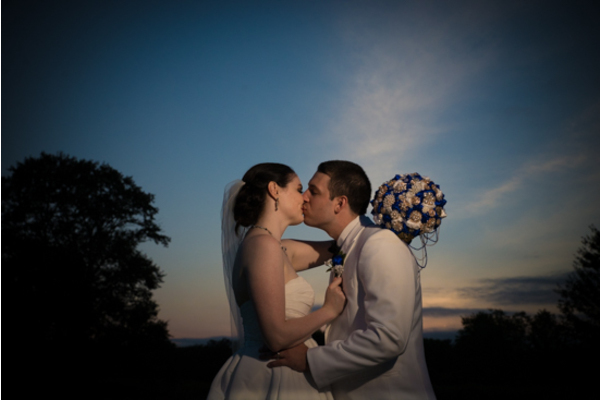 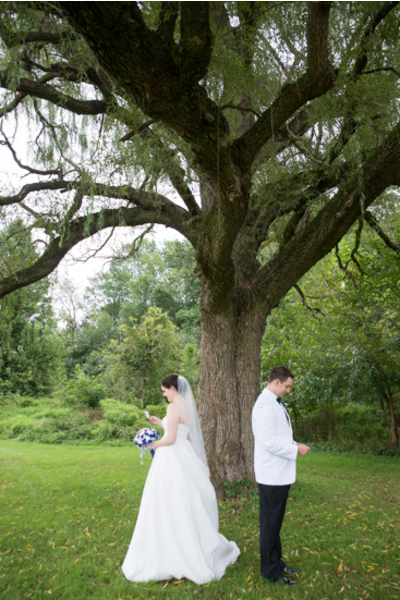 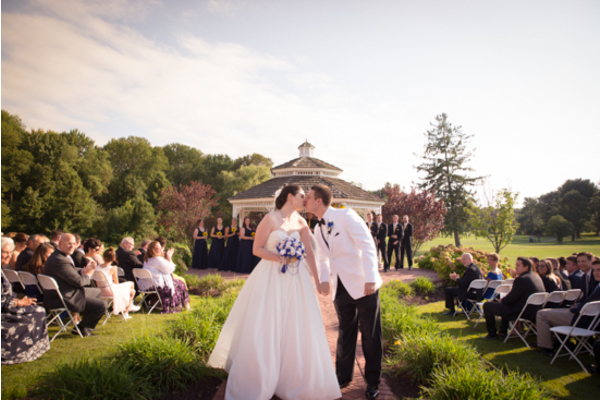 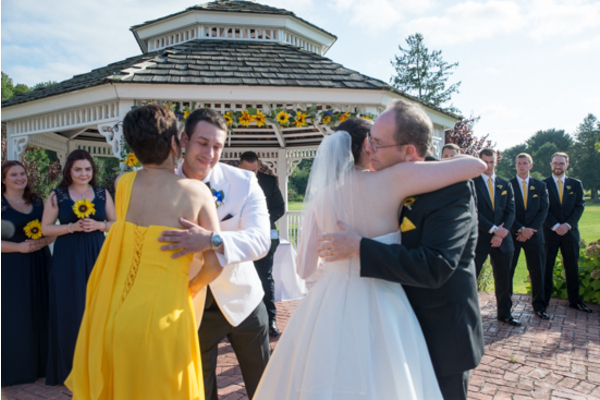 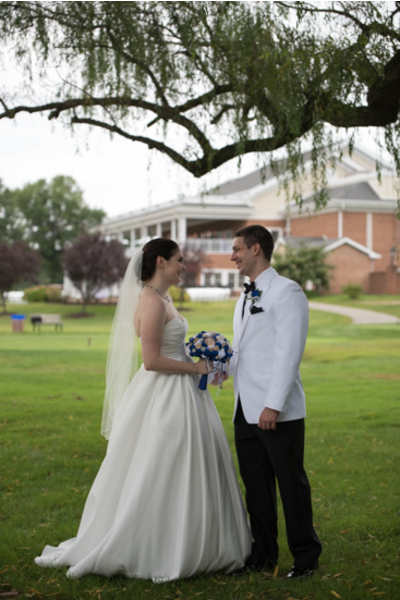 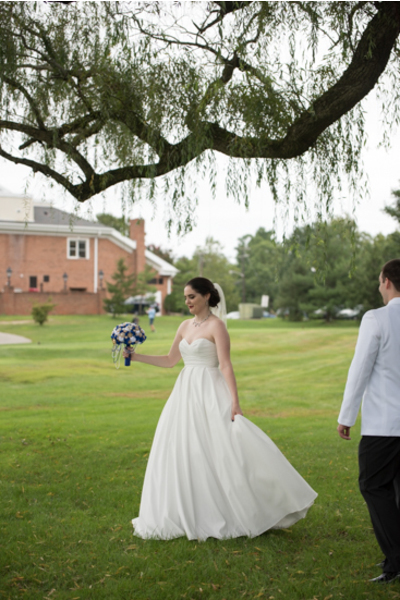 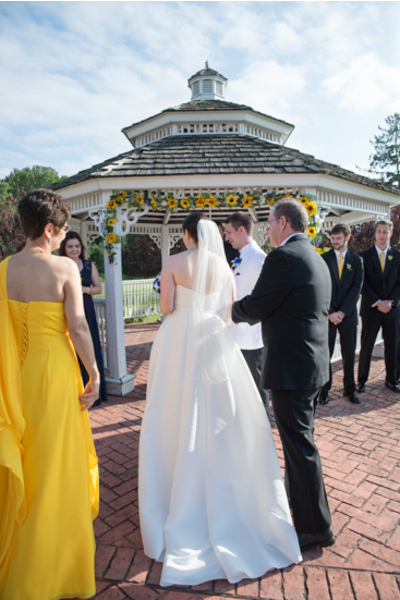 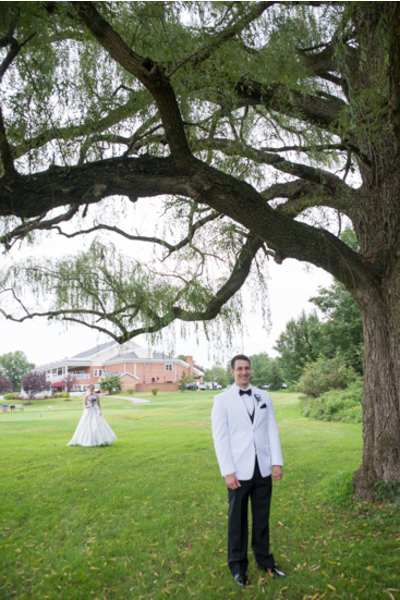 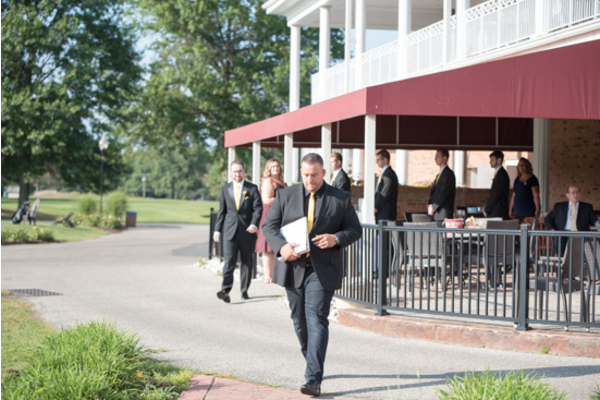 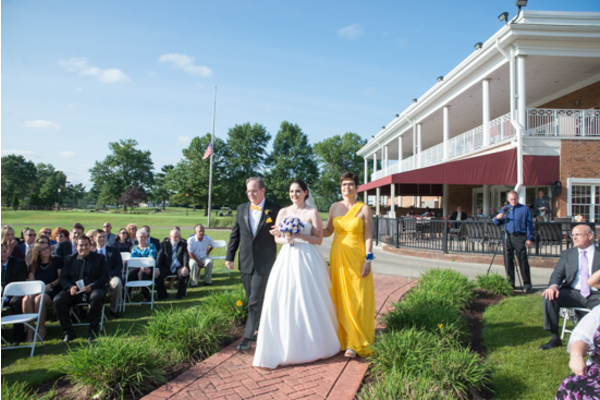 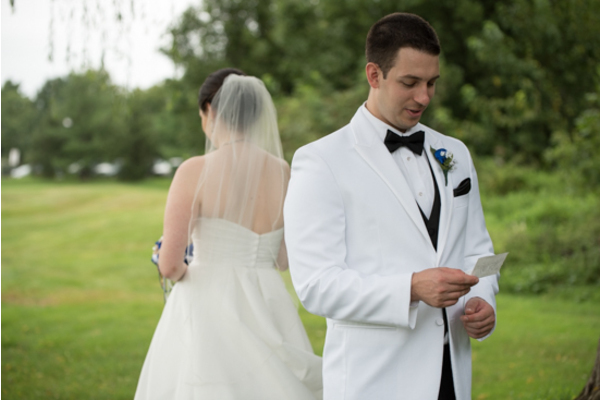 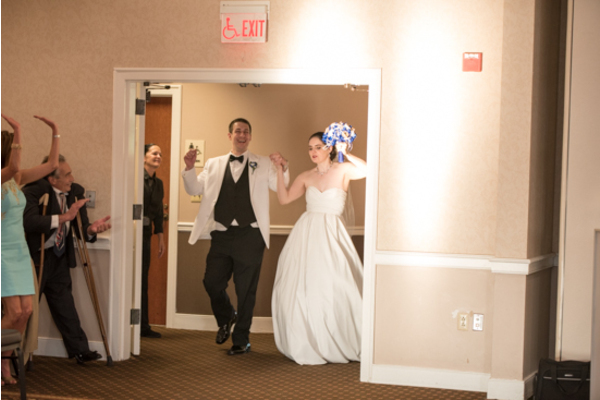 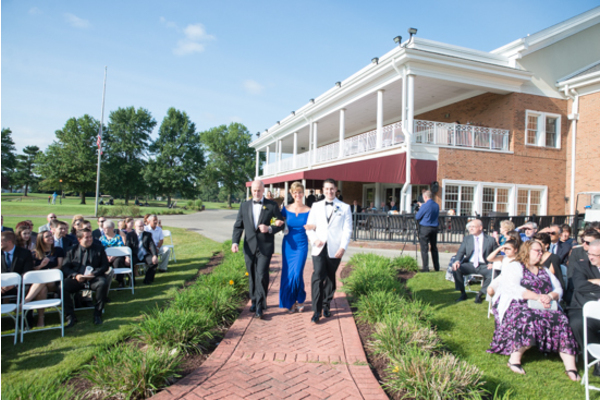 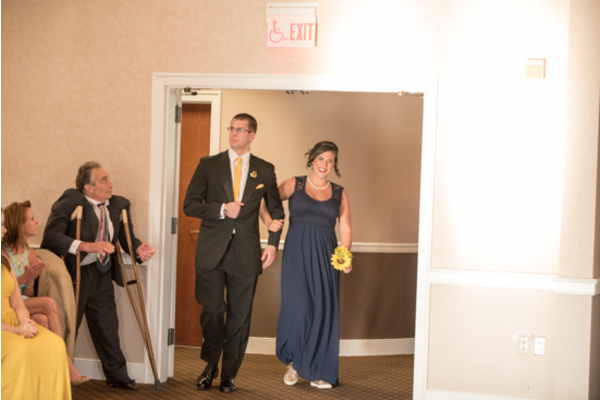 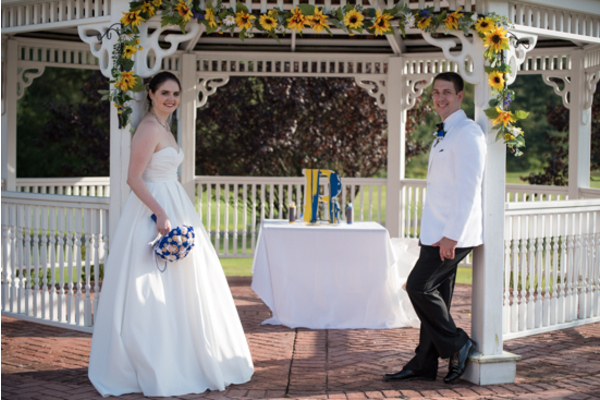 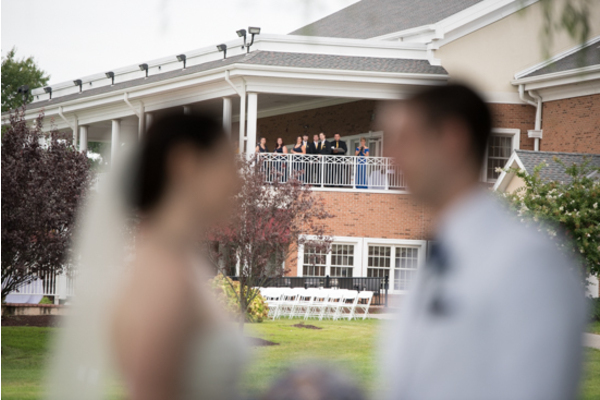 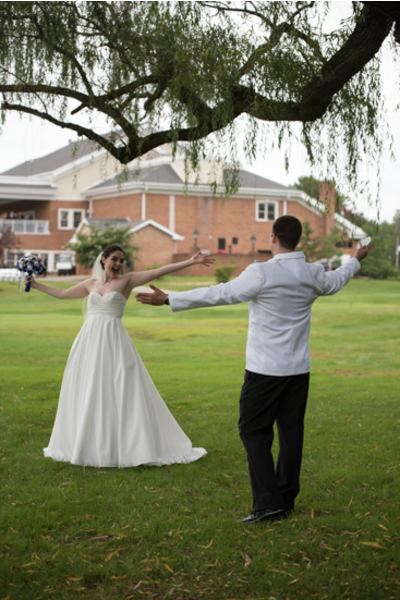 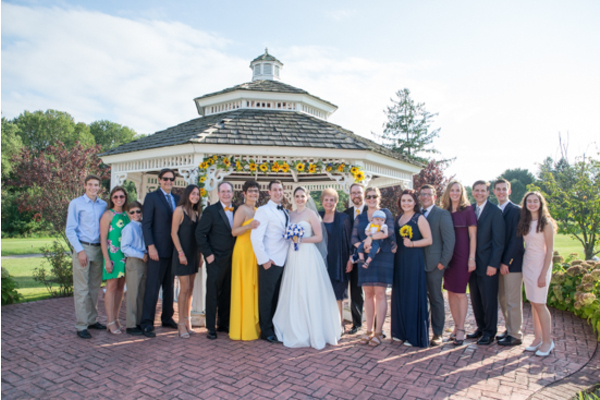 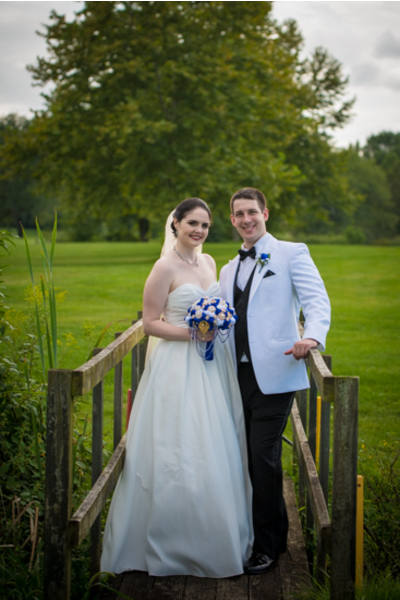 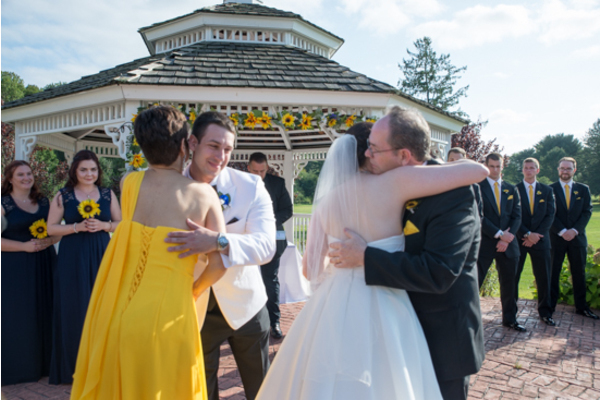 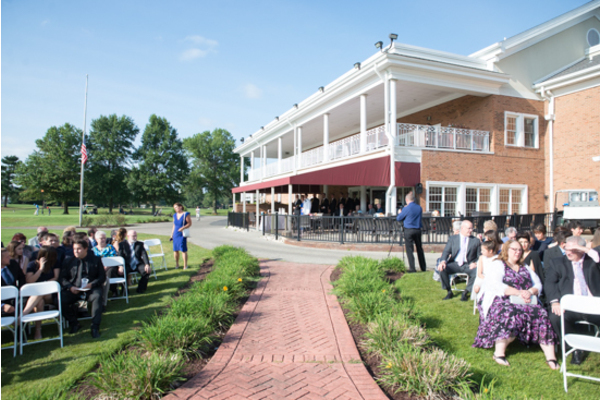 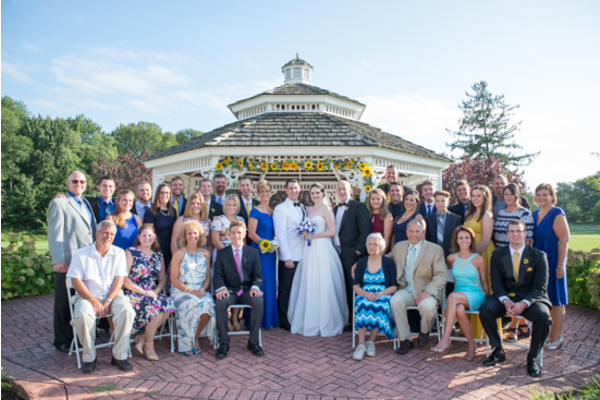 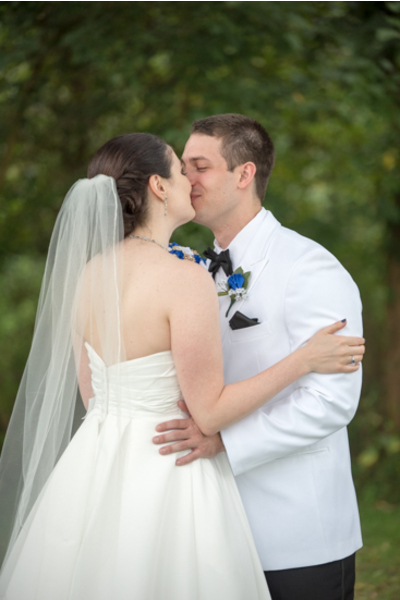 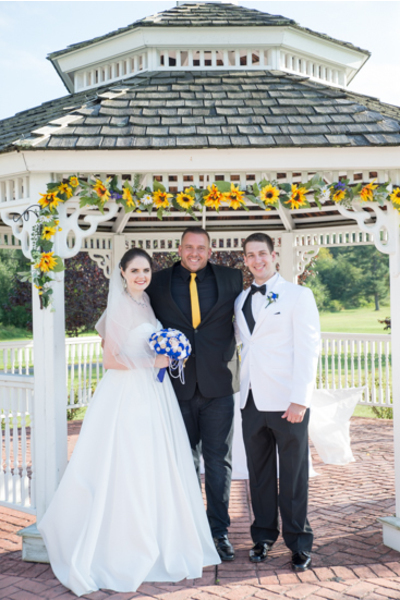 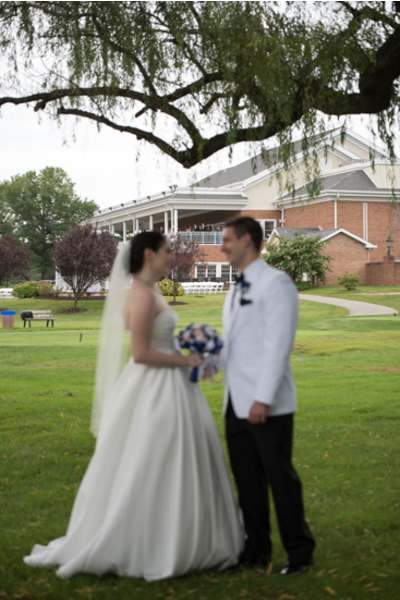 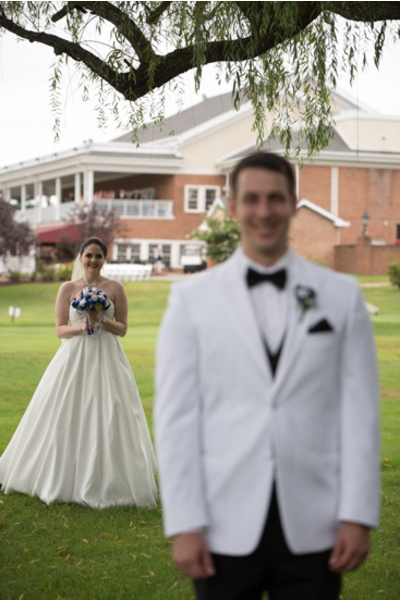 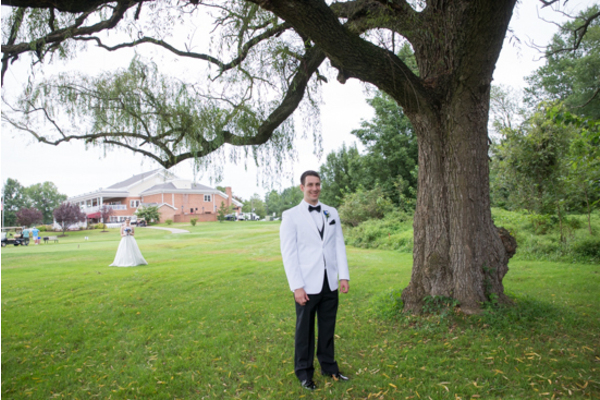 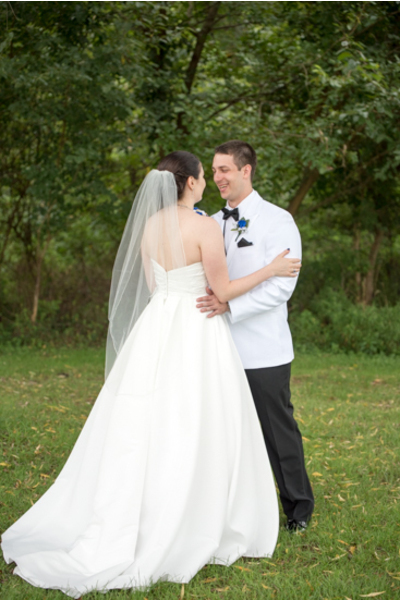 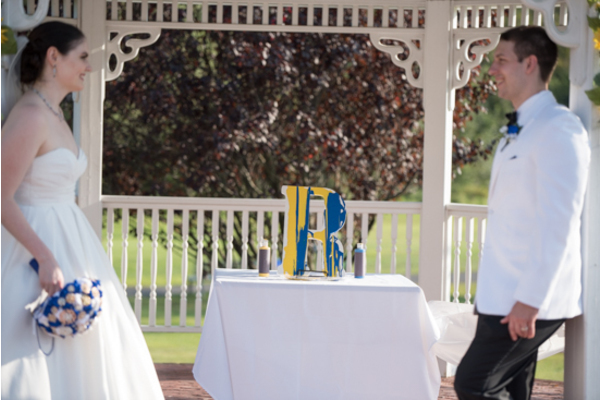 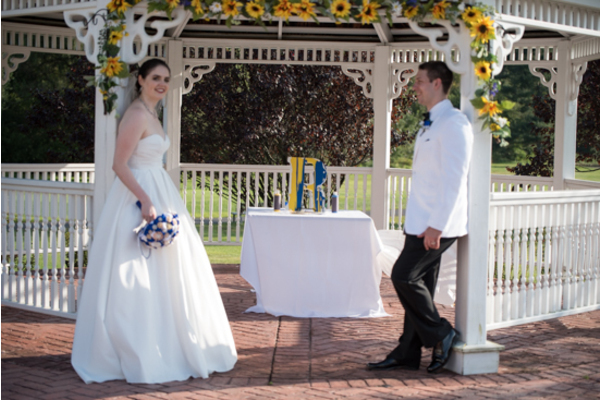 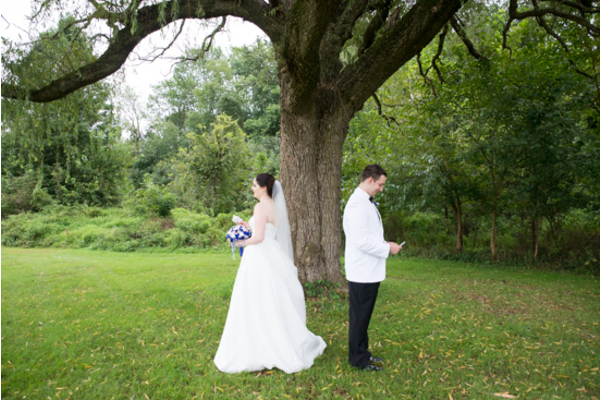 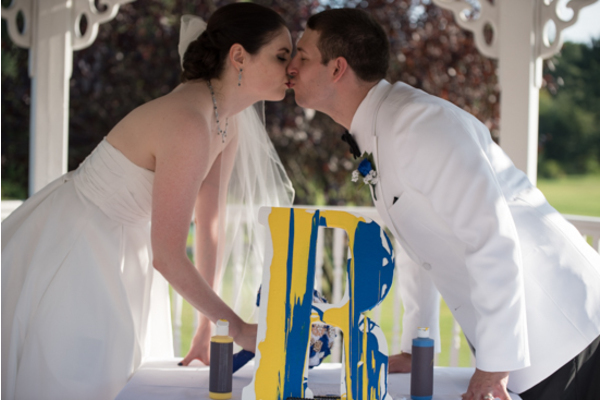 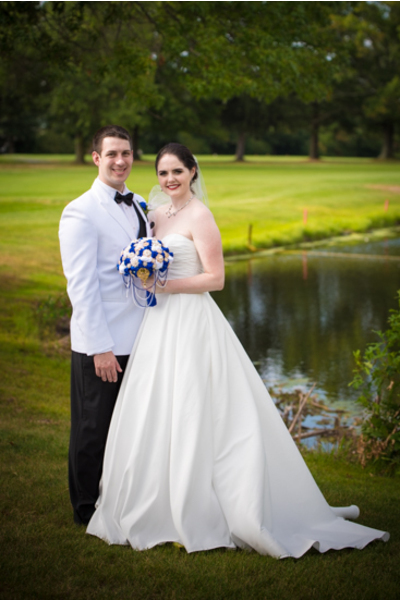 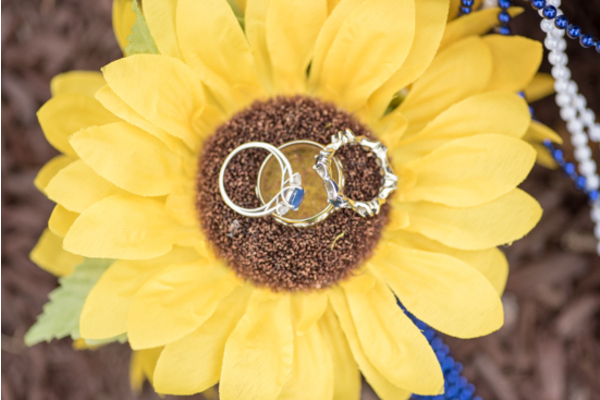 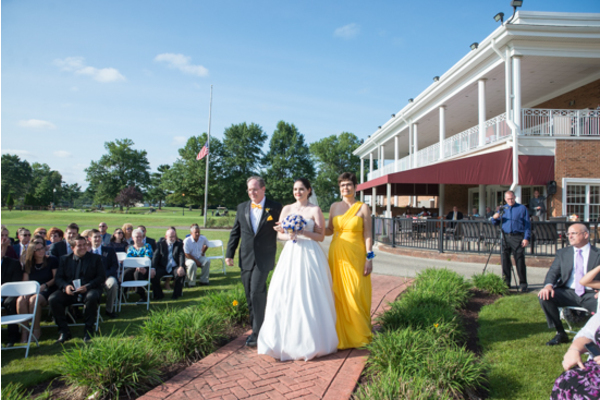 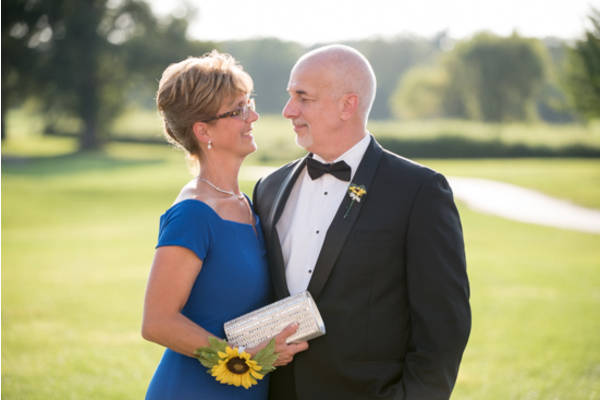 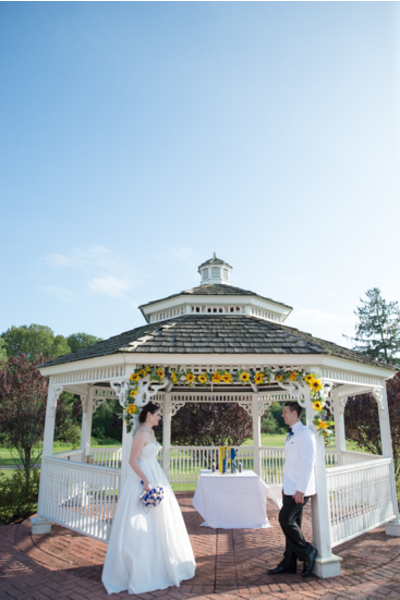 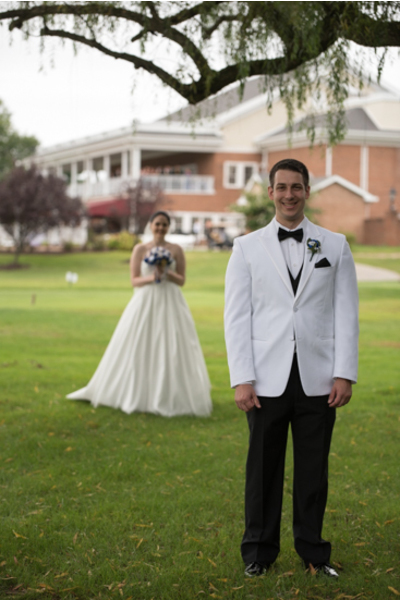 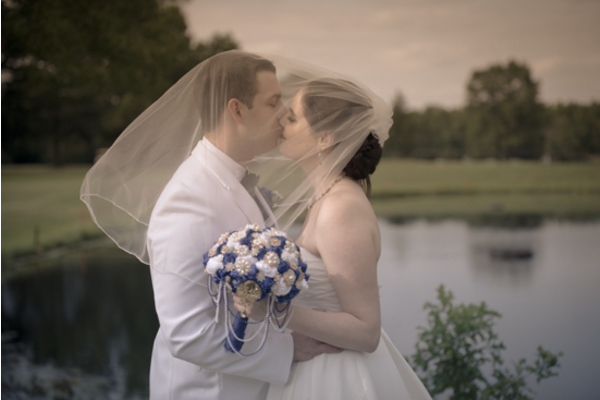 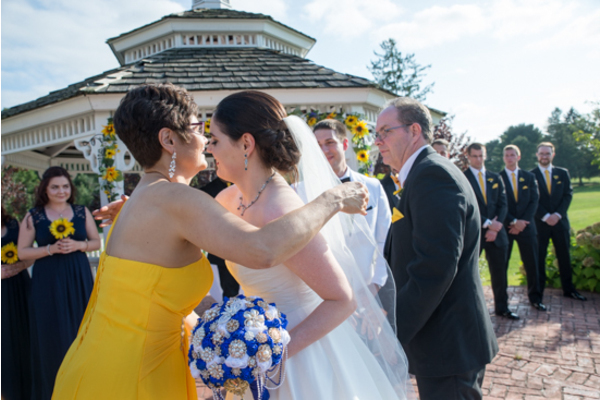 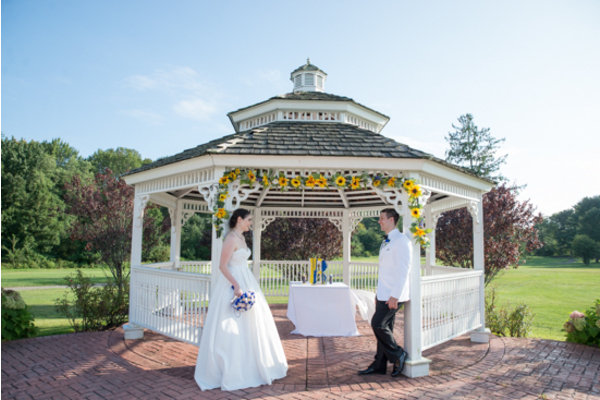 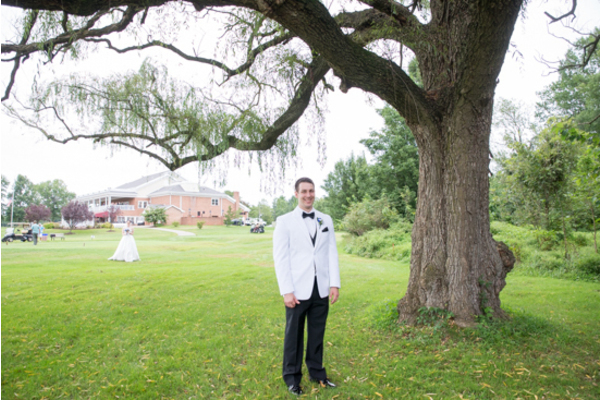 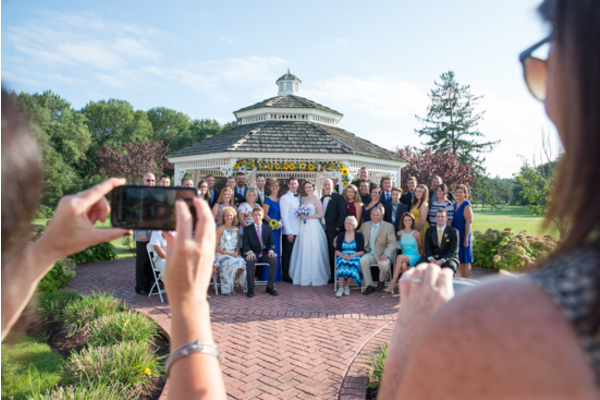 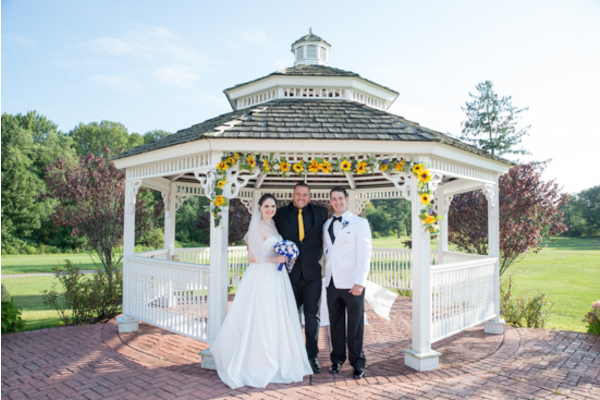 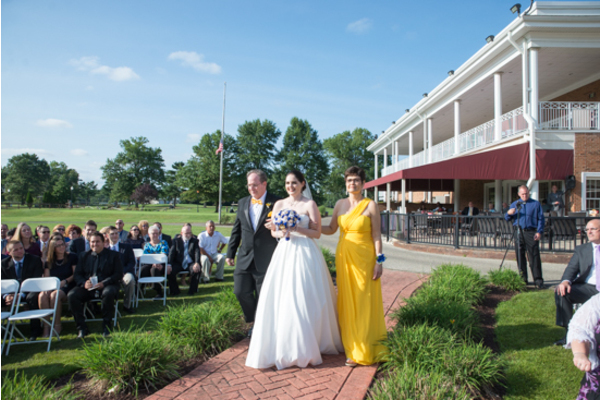 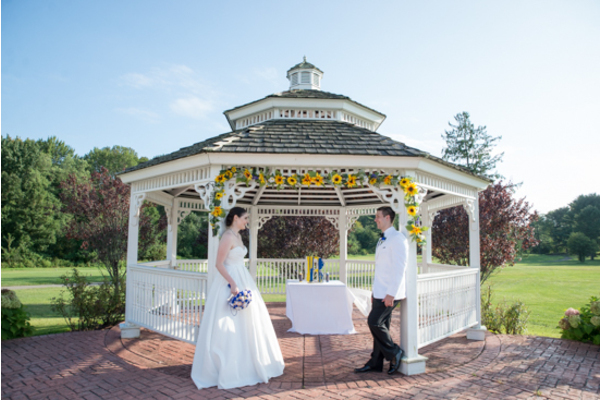 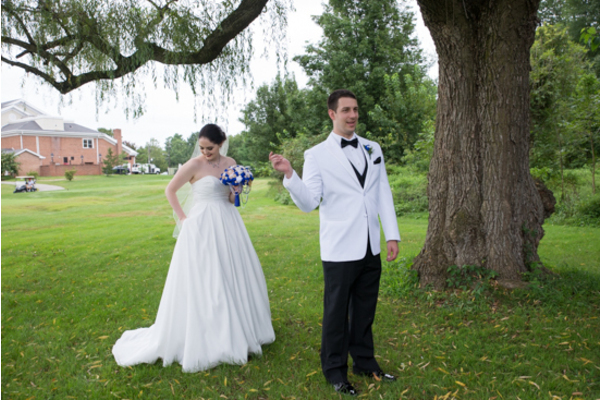 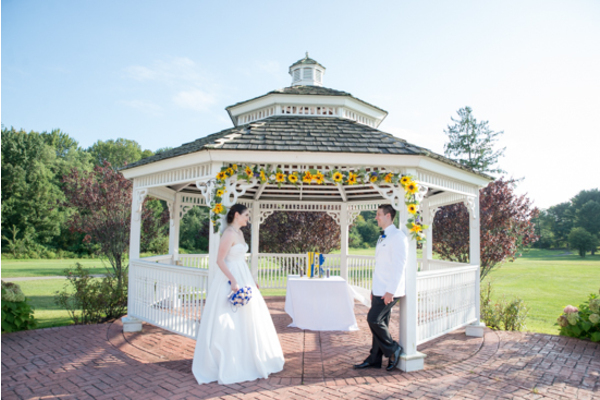 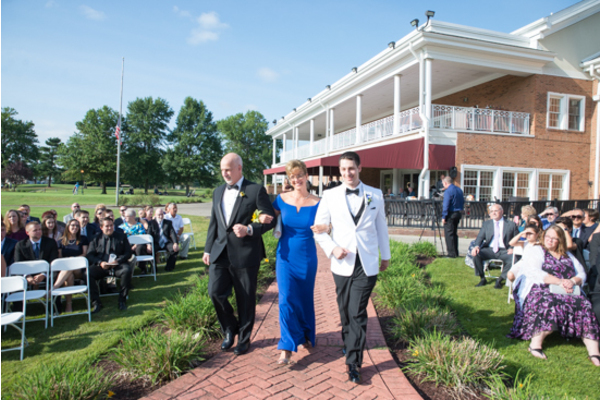 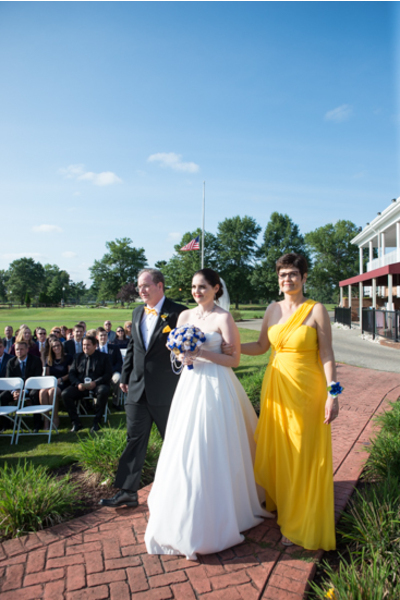 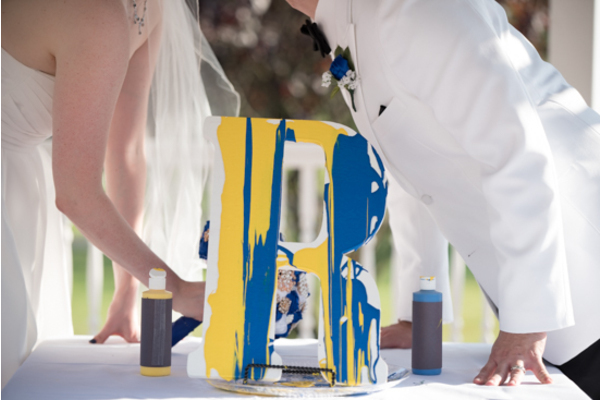 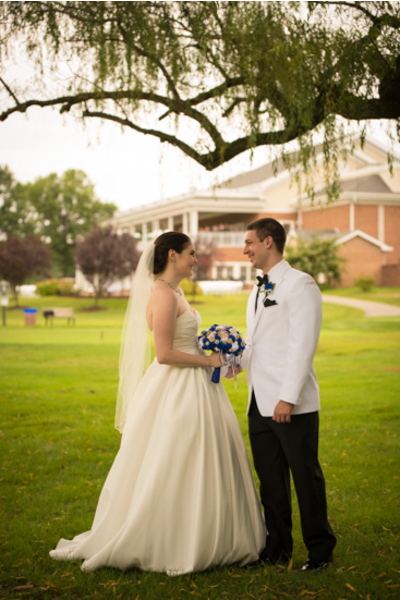 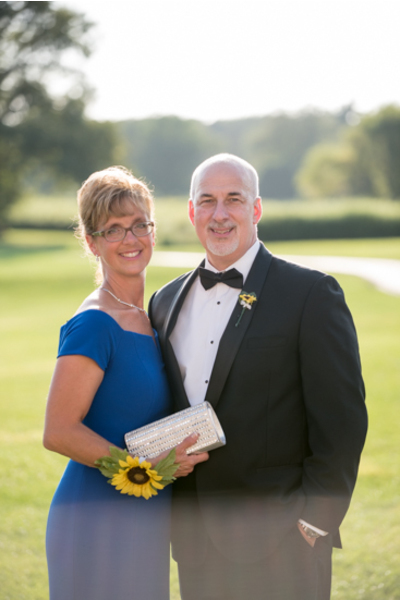 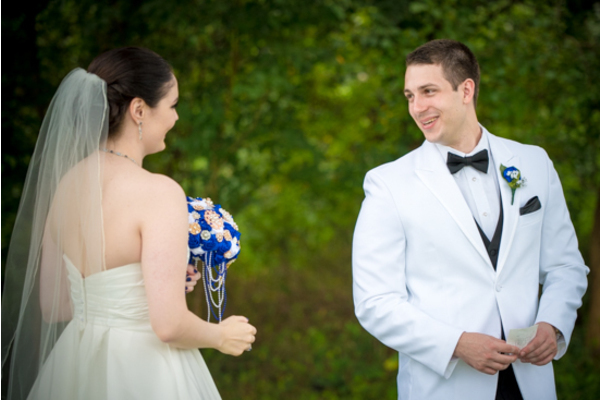 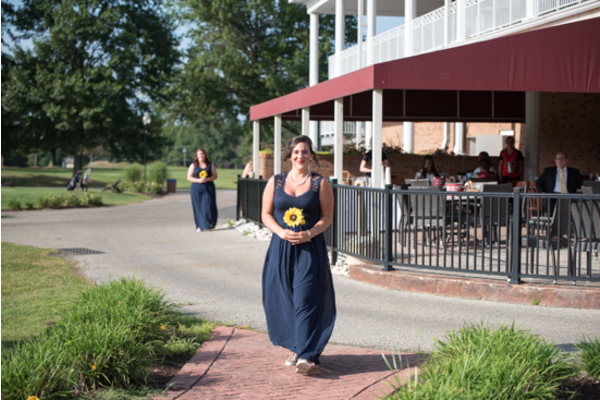 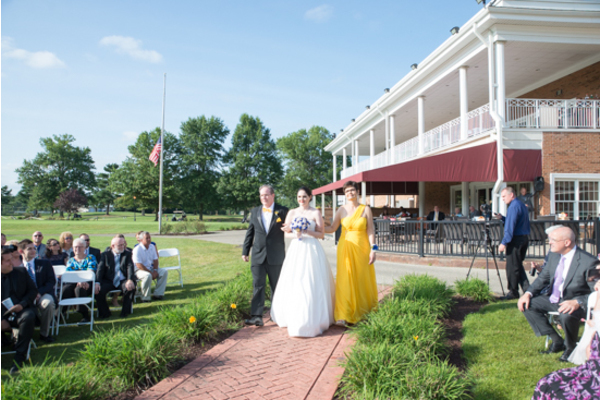 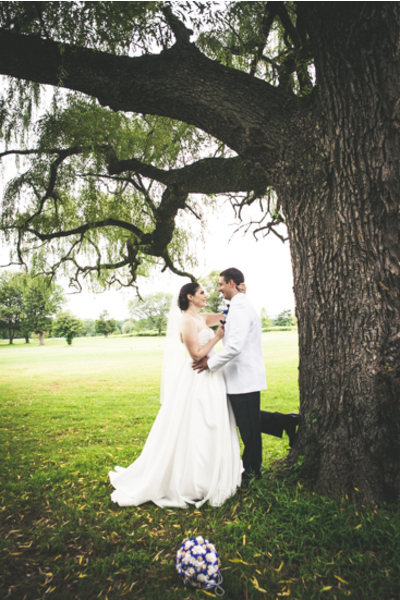 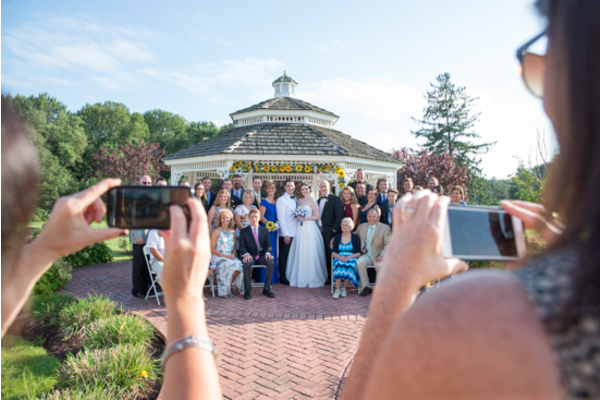 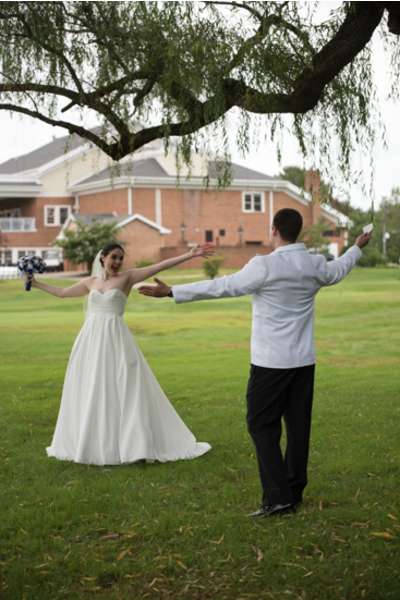 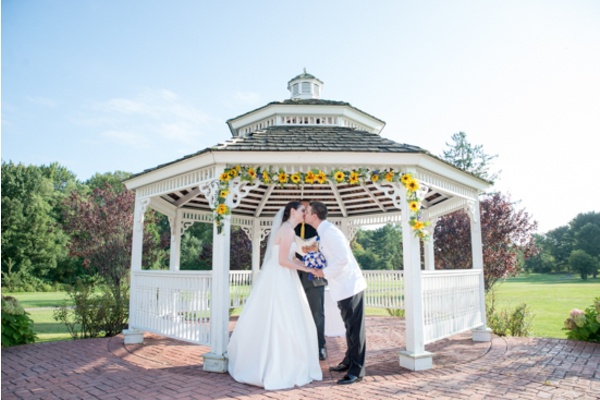 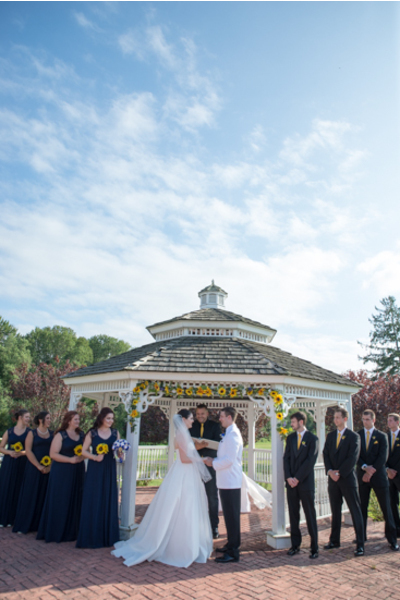 This Mr. and Mrs. tied the knot at the incredible Indian Springs Country Club in Marlton, NJ. 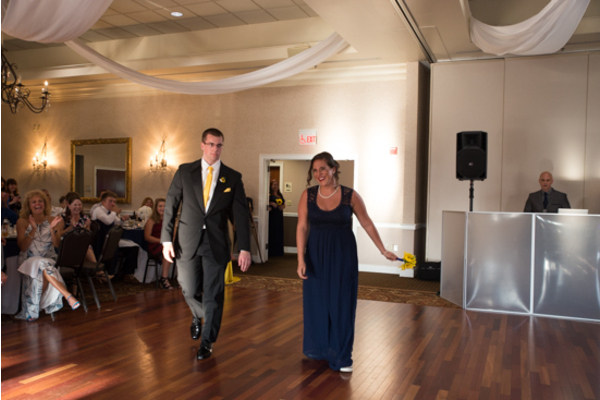 From the decor to the attire and everything in between, it was a night to remember! 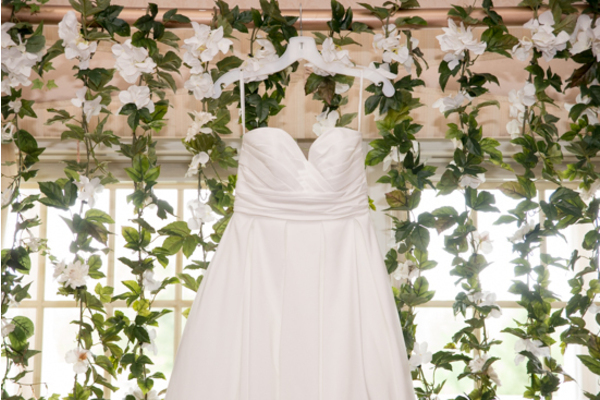 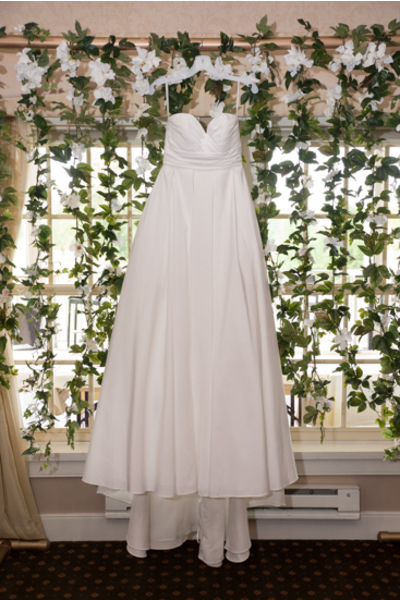 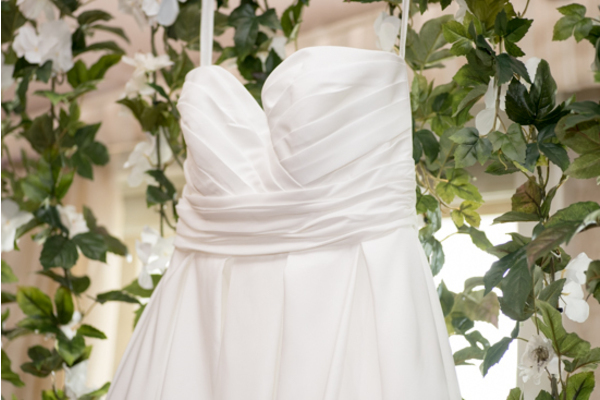 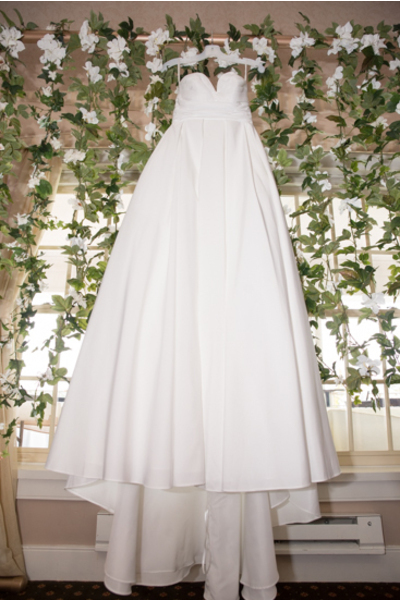 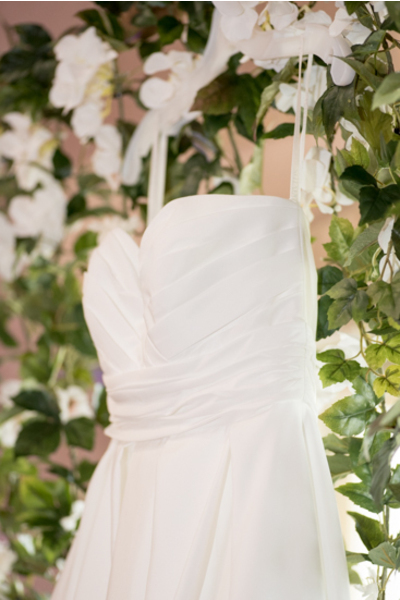 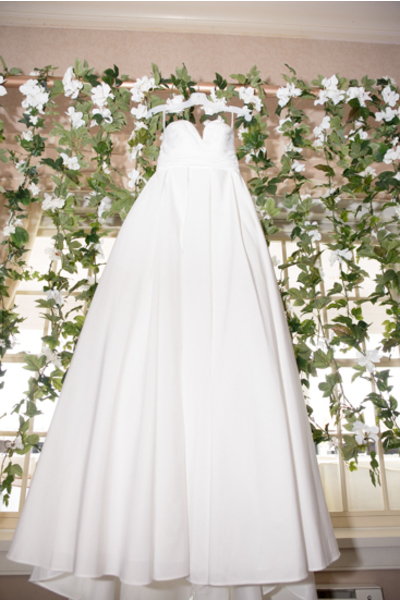 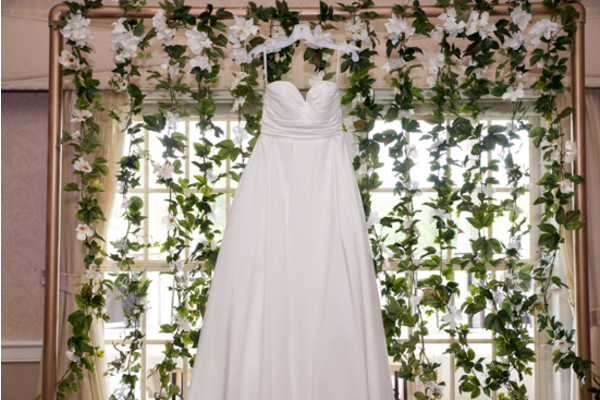 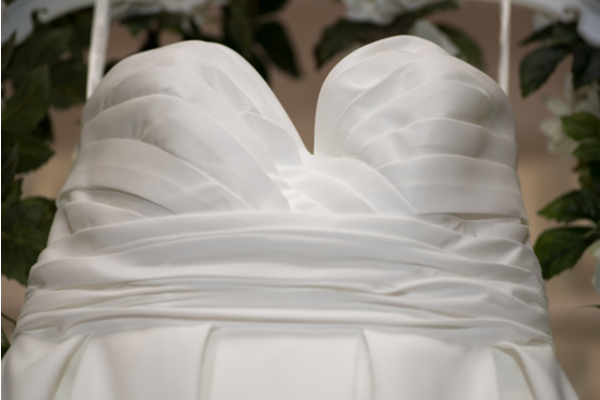 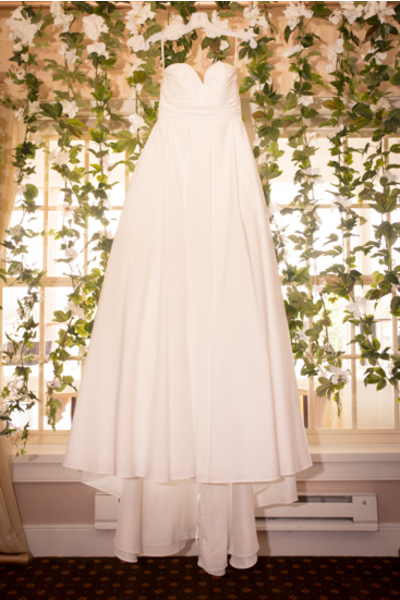 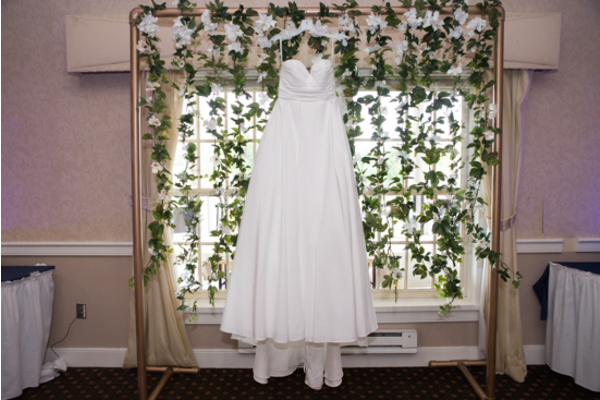 As the sun was rising, Mary’s white and luxurious strapless wedding gown hang in the window in front of the white and green florals. 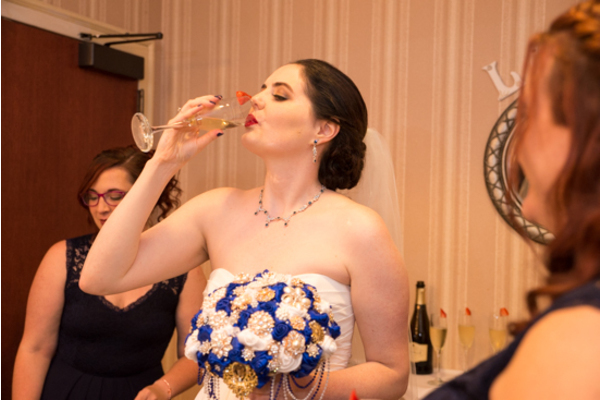 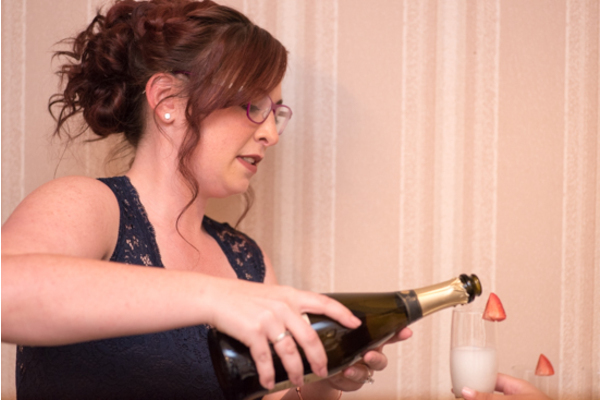 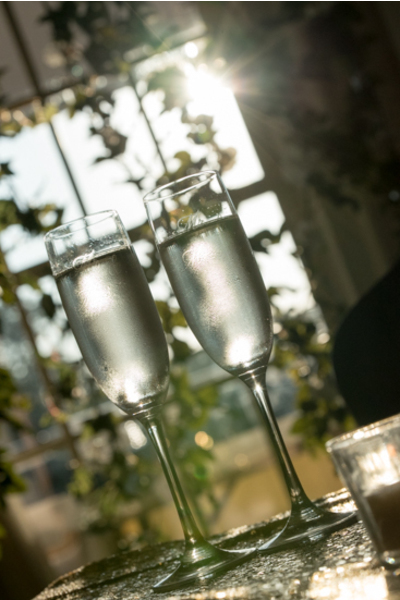 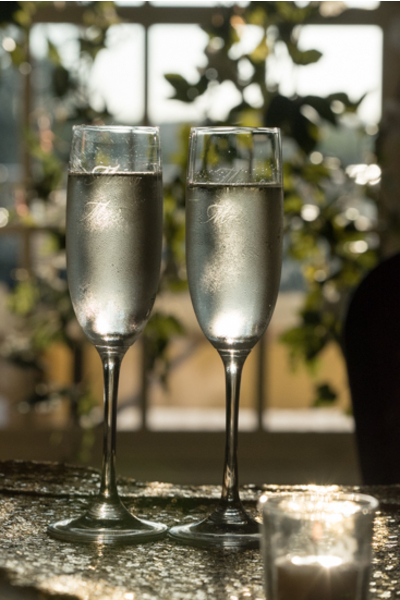 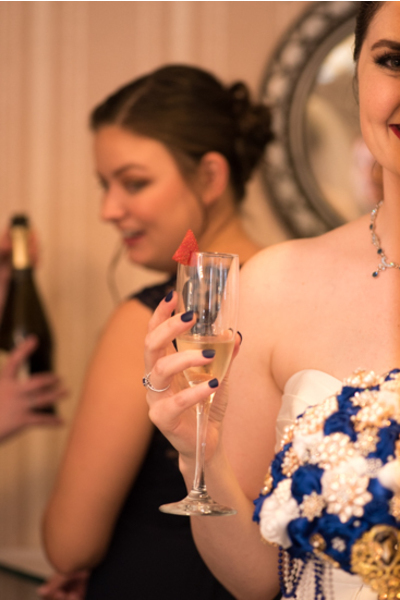 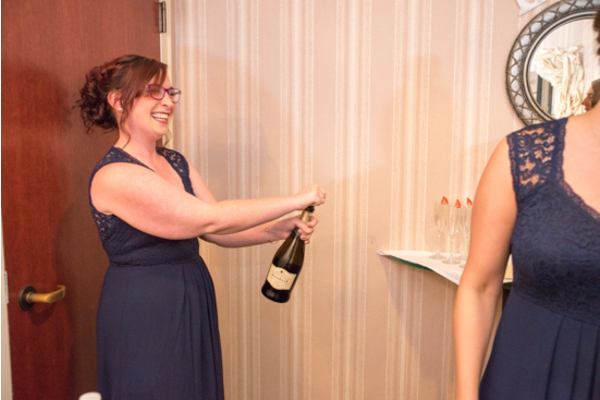 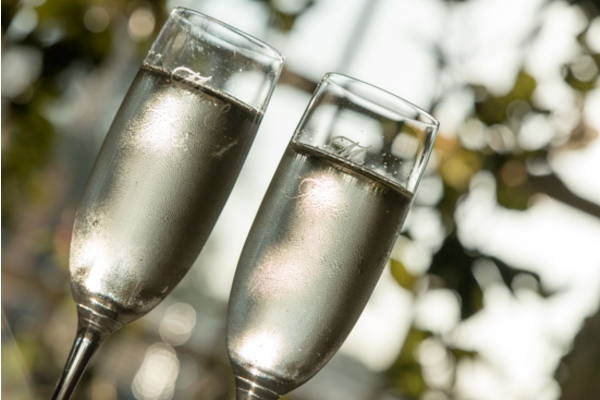 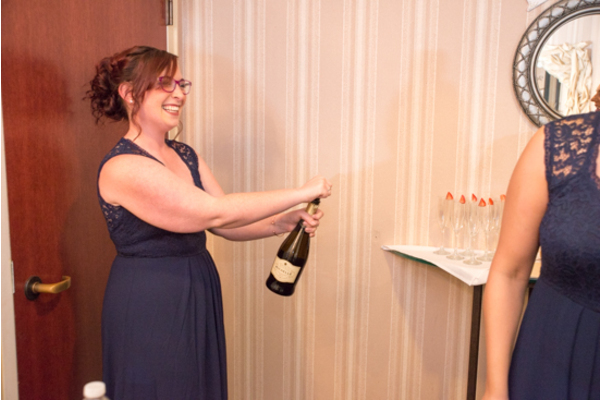 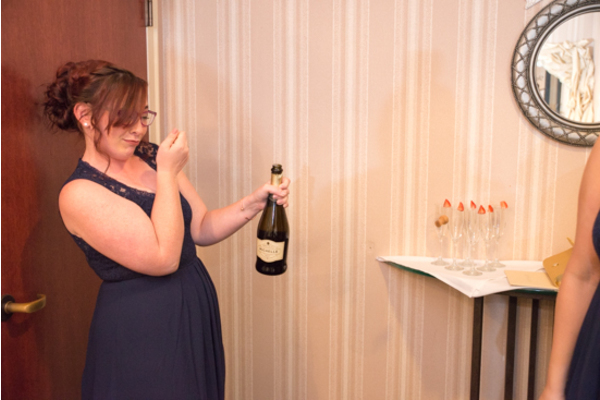 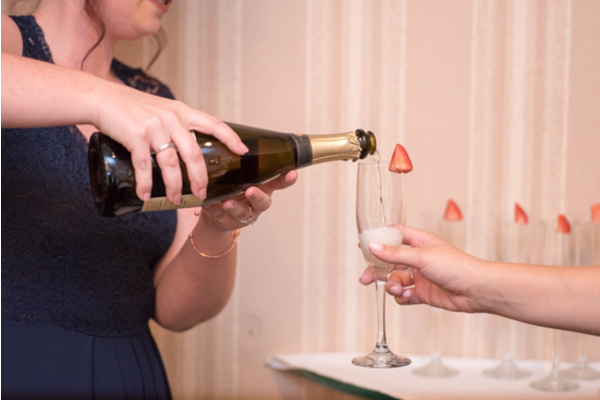 Her bridesmaids popped the champagne to kick off the great day they were all about to have! 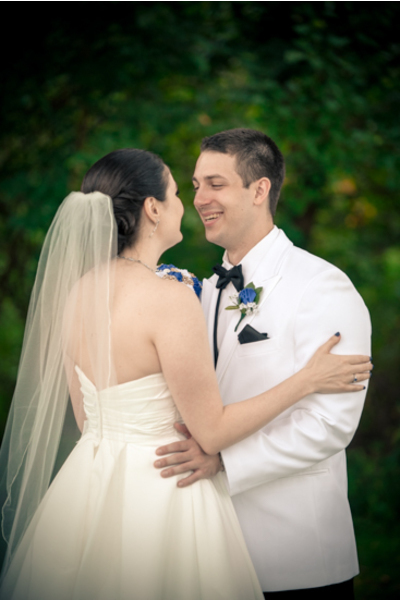 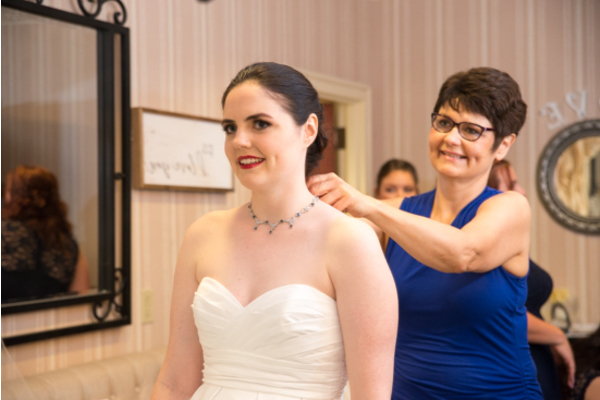 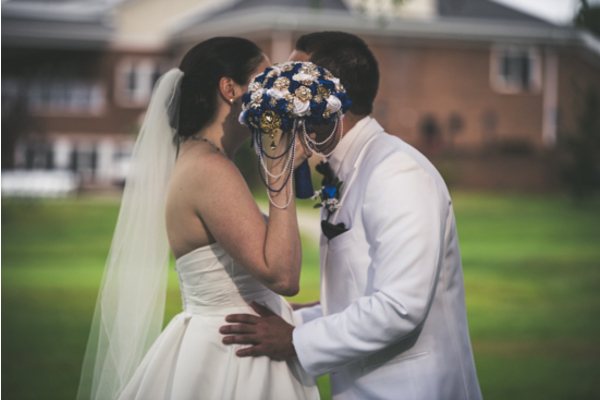 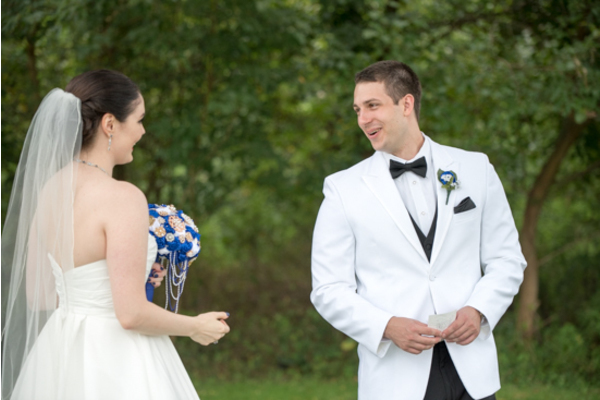 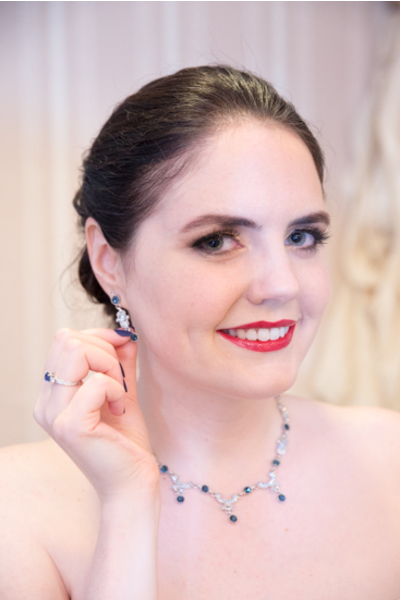 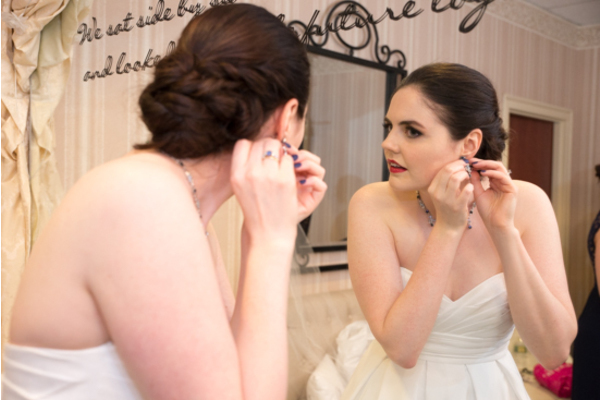 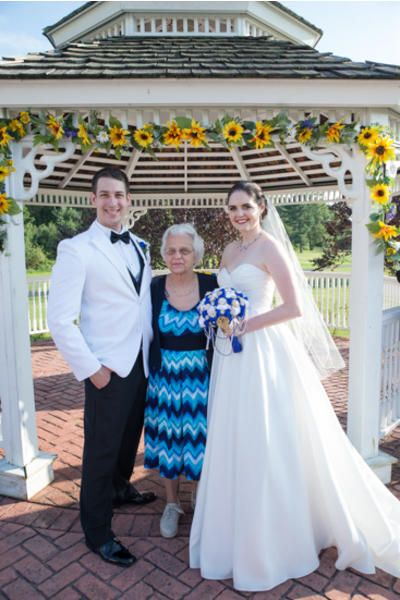 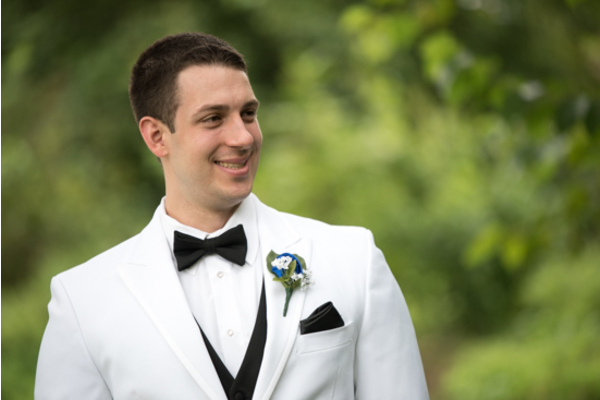 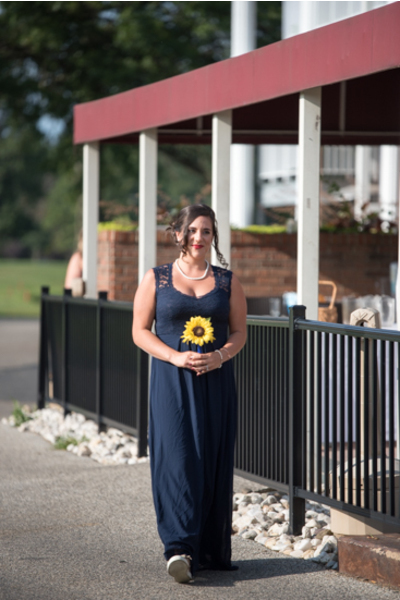 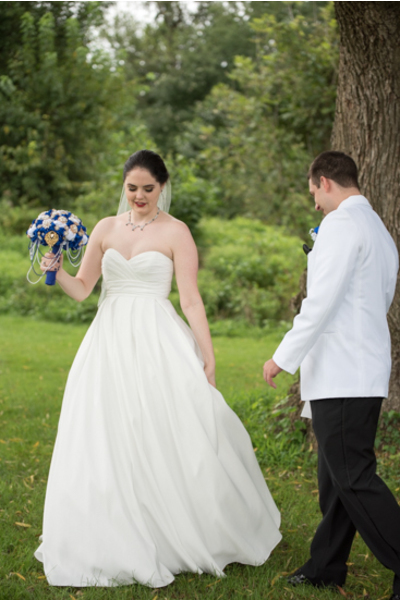 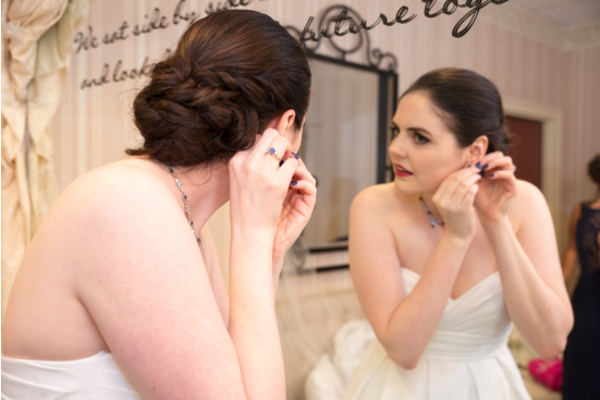 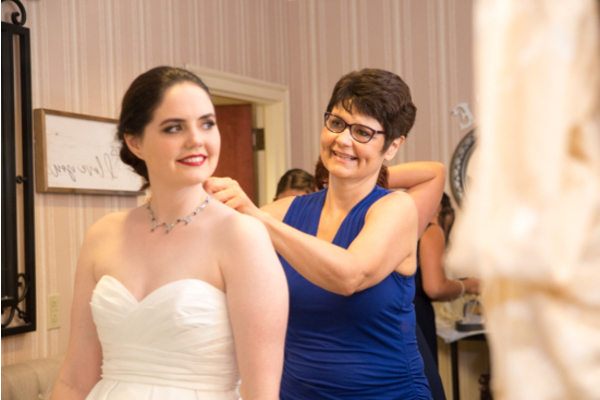 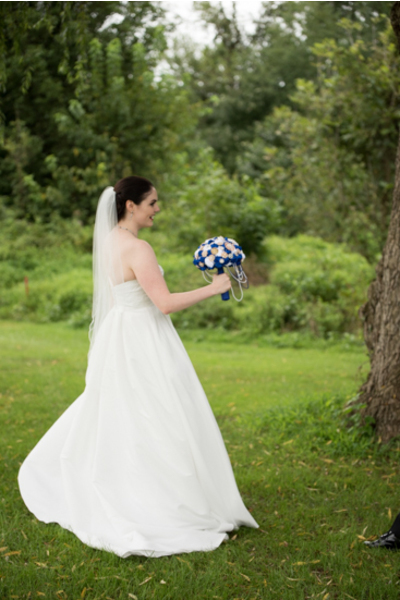 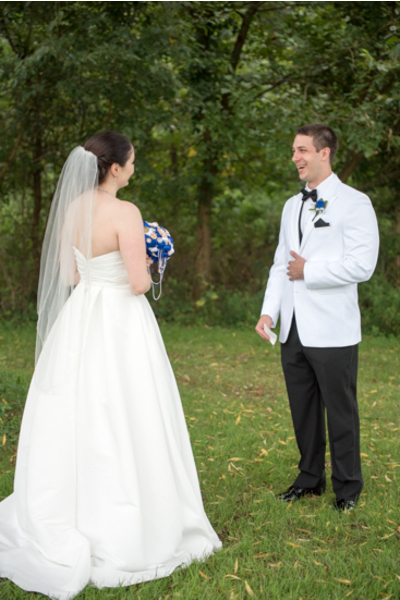 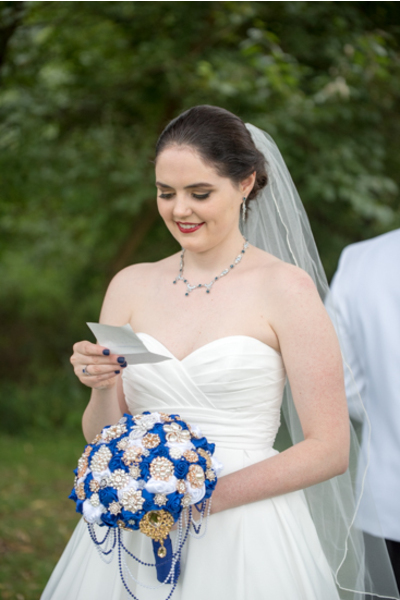 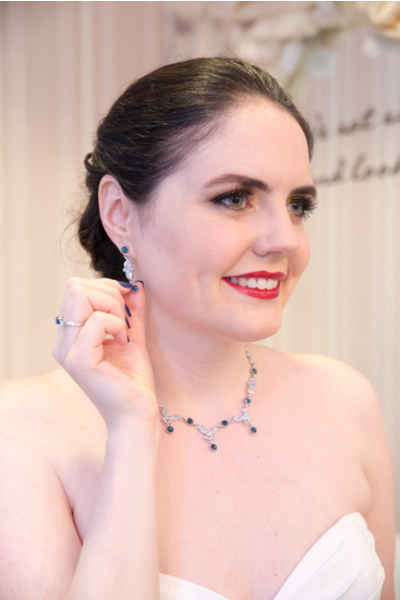 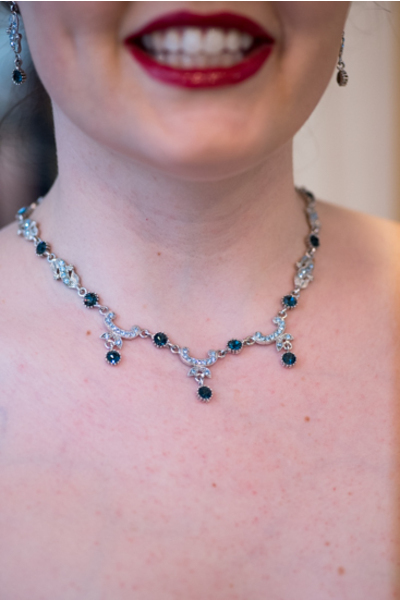 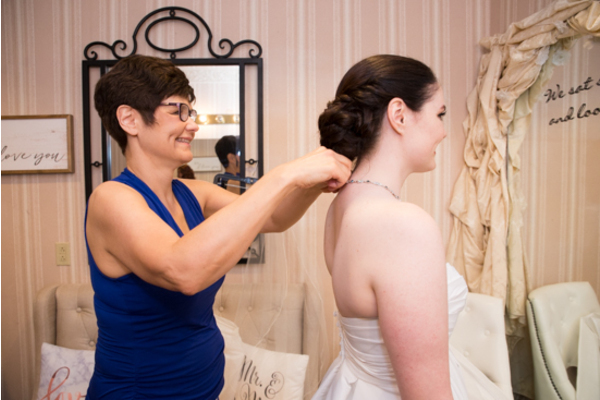 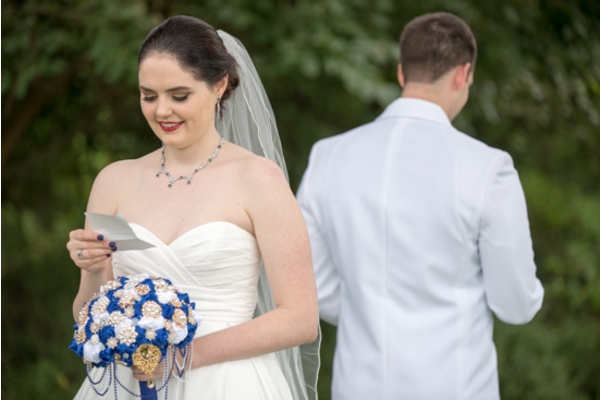 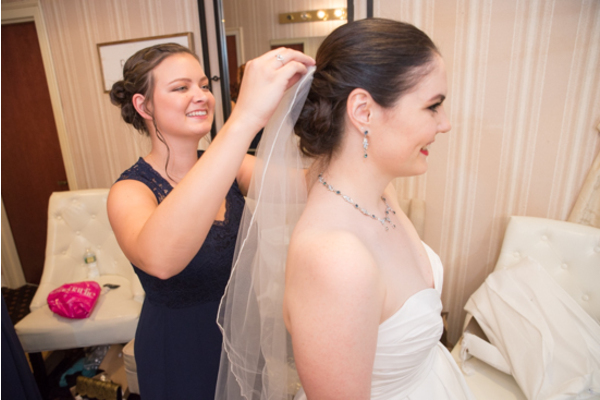 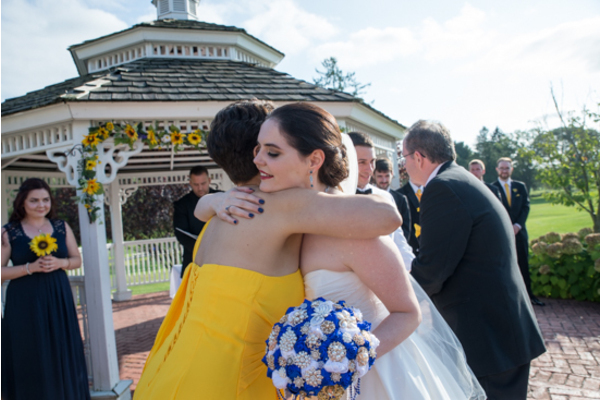 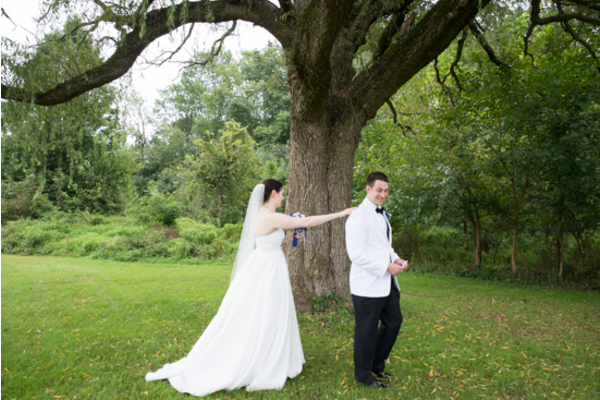 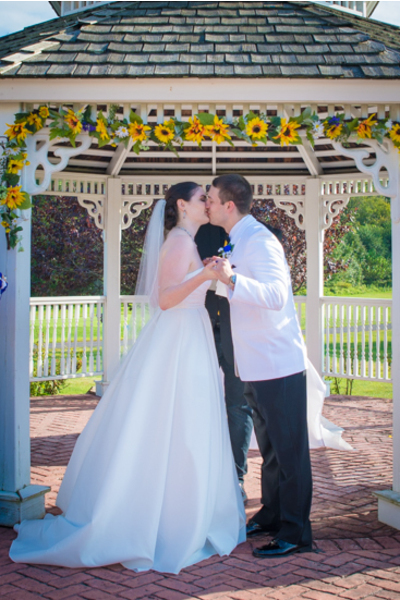 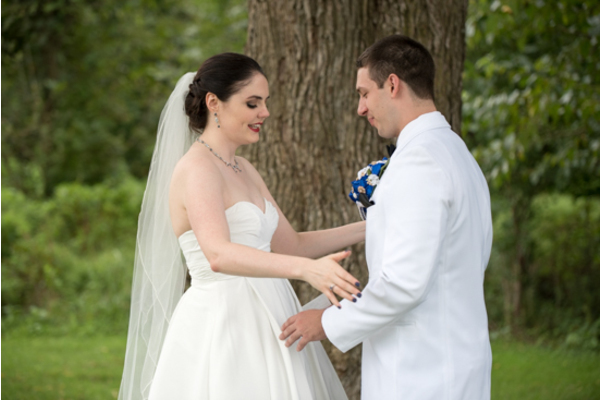 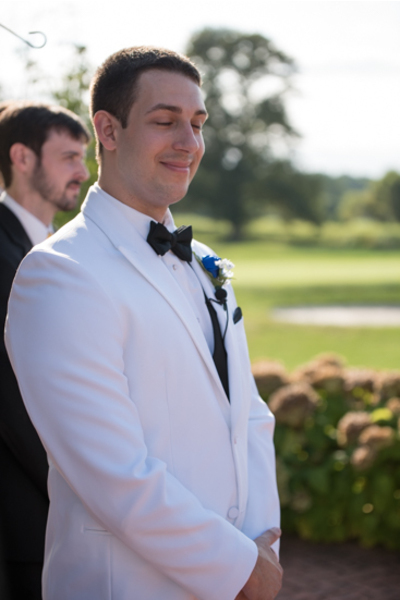 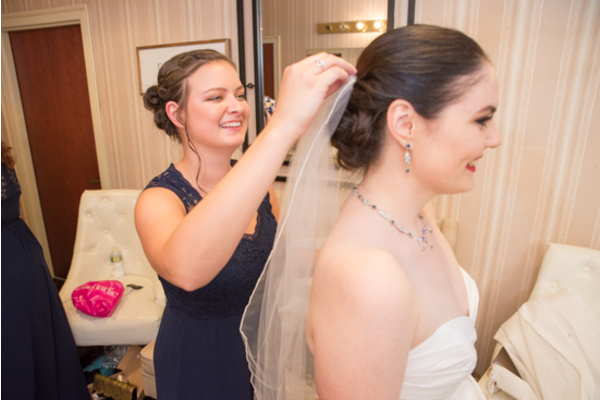 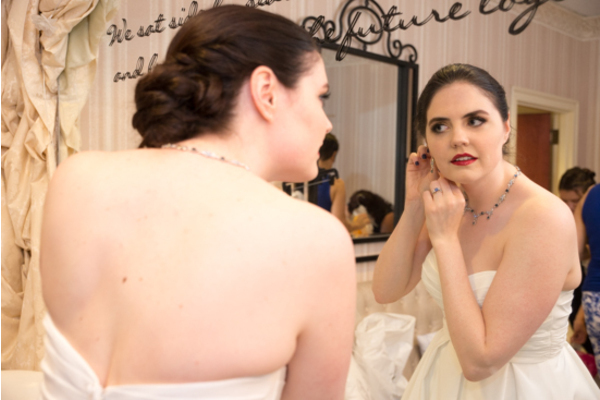 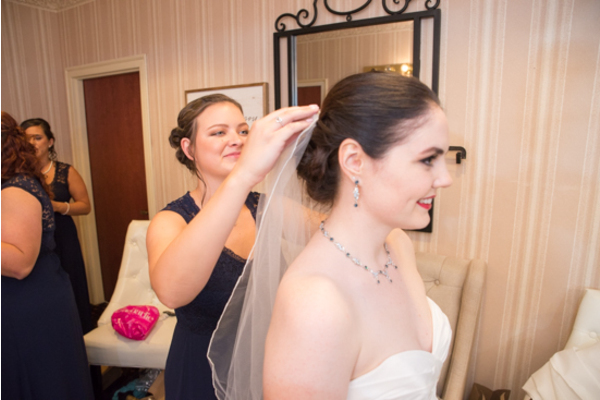 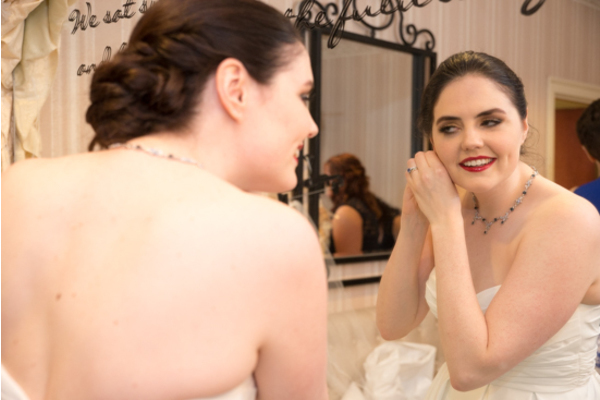 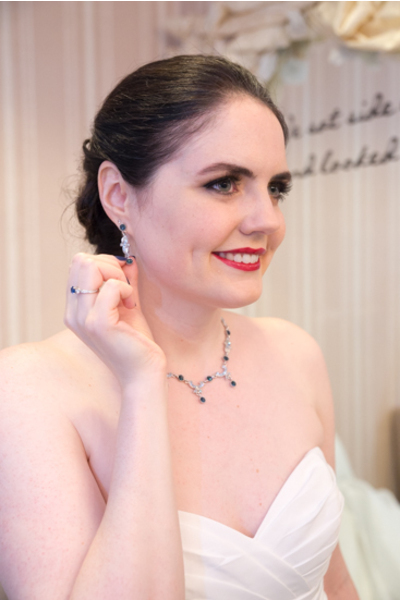 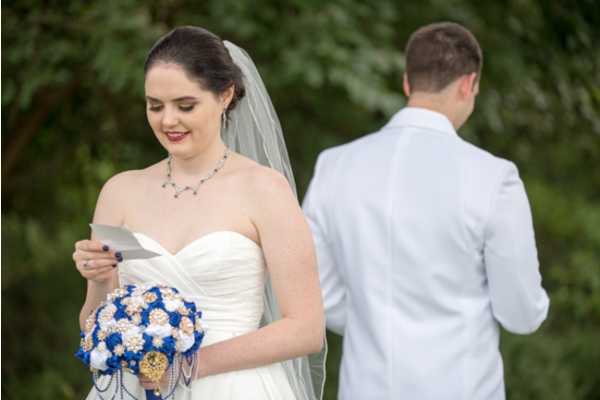 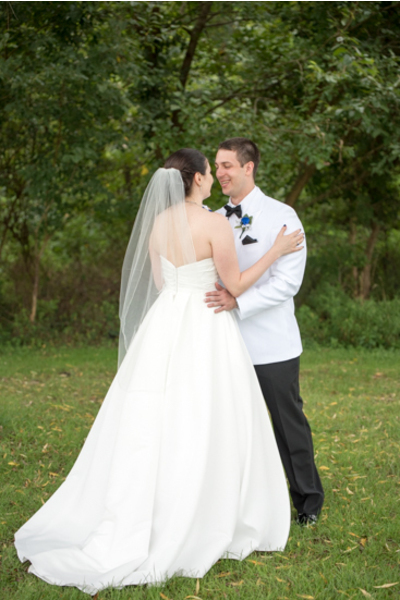 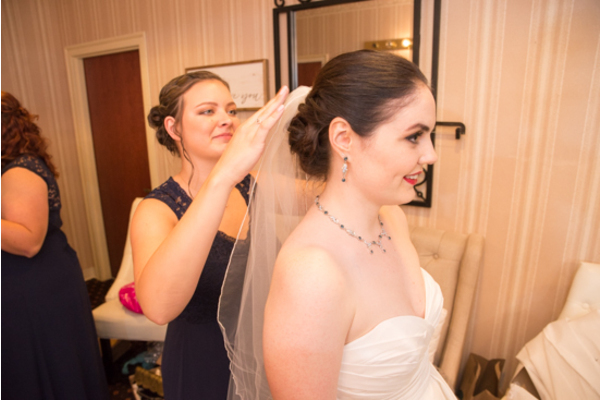 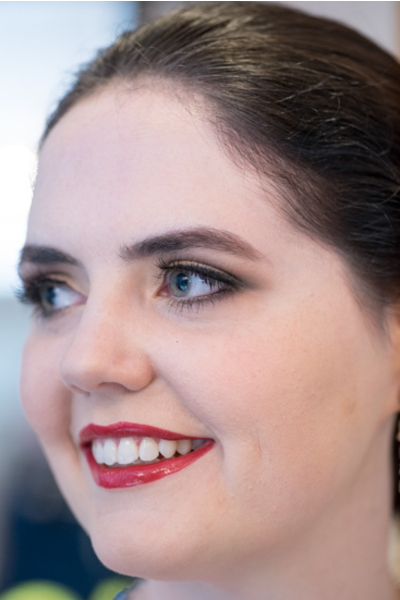 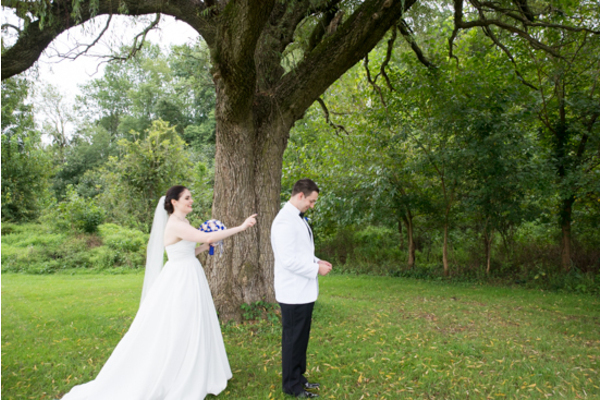 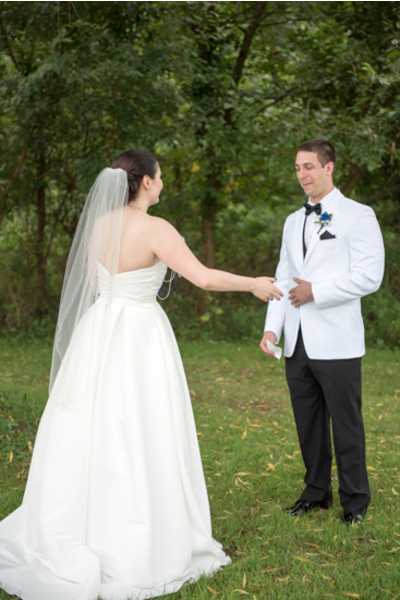 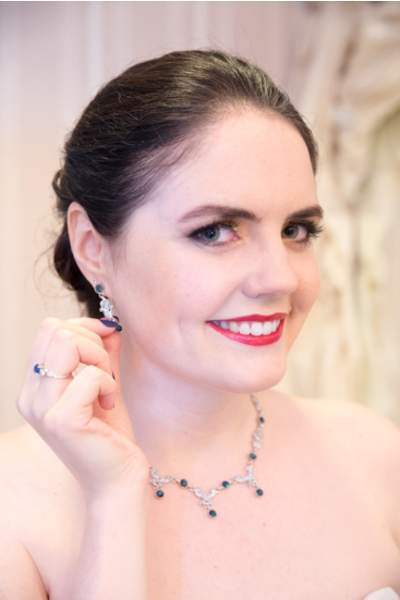 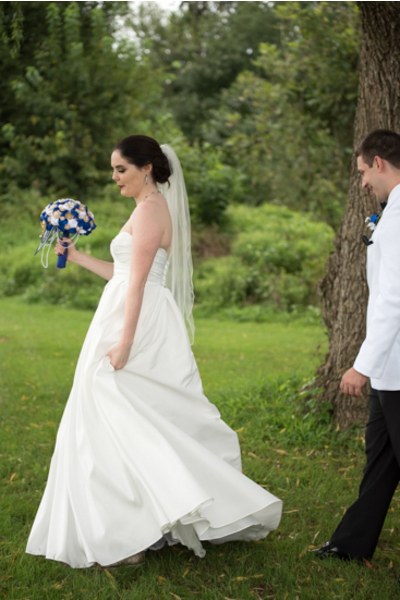 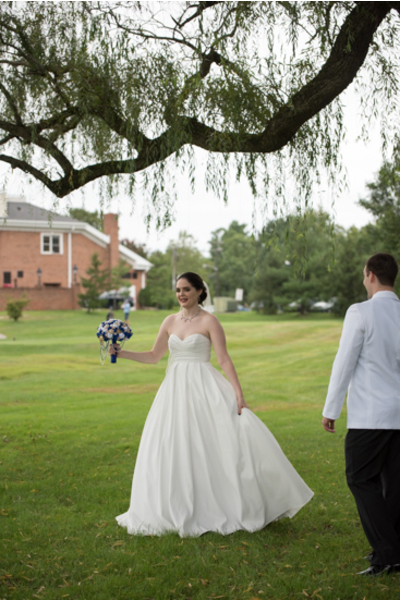 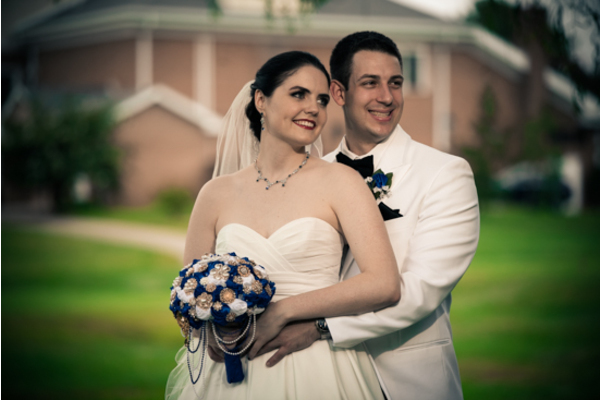 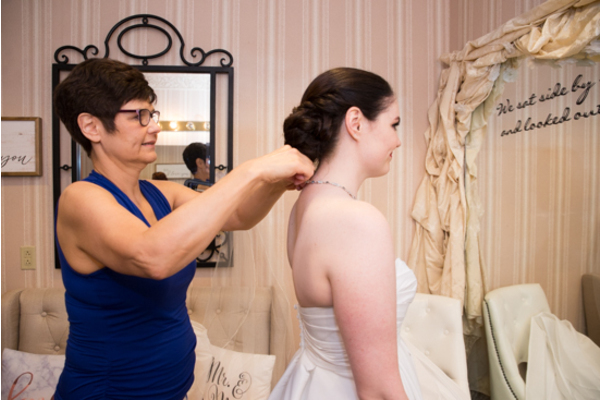 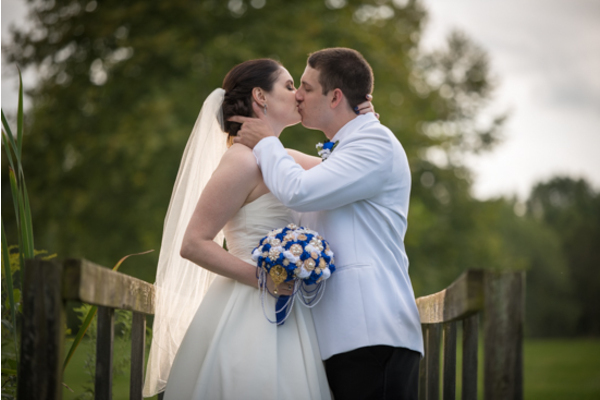 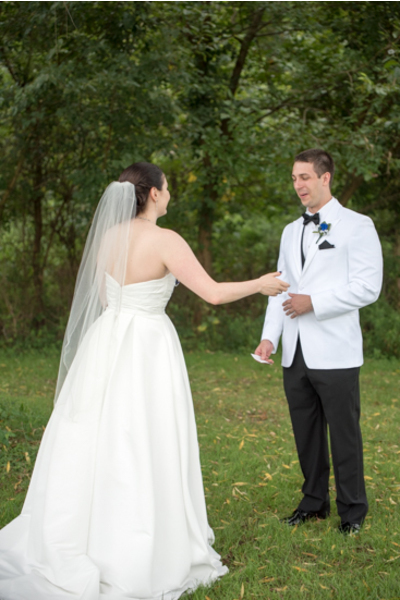 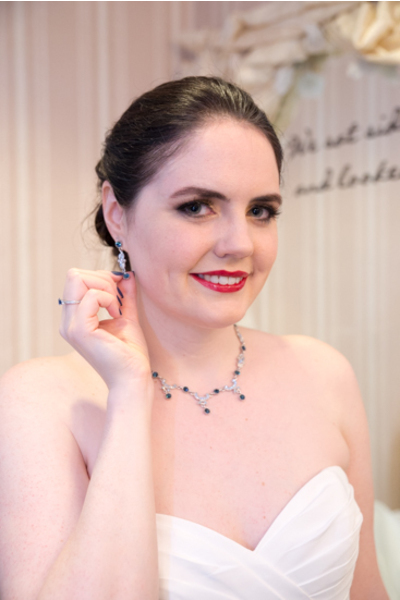 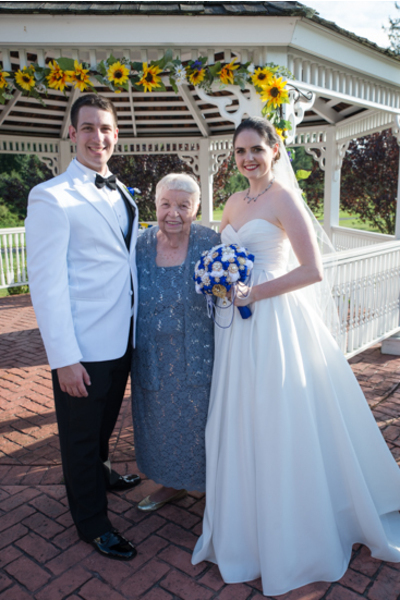 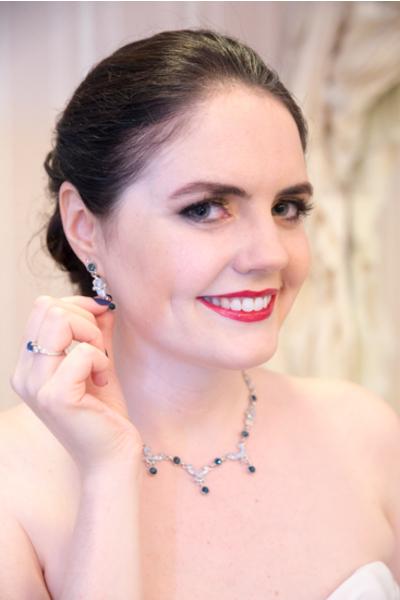 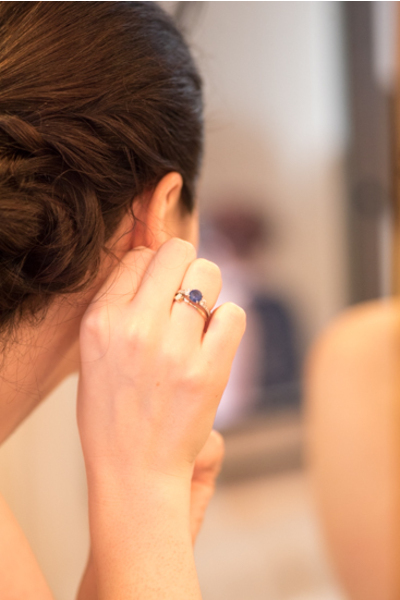 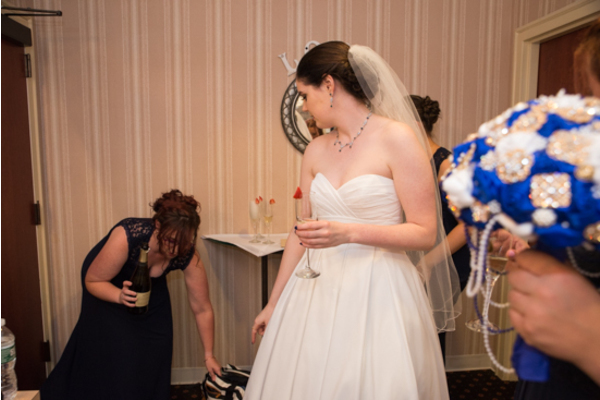 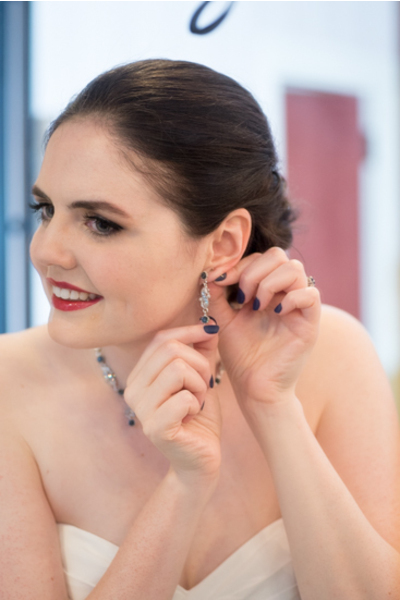 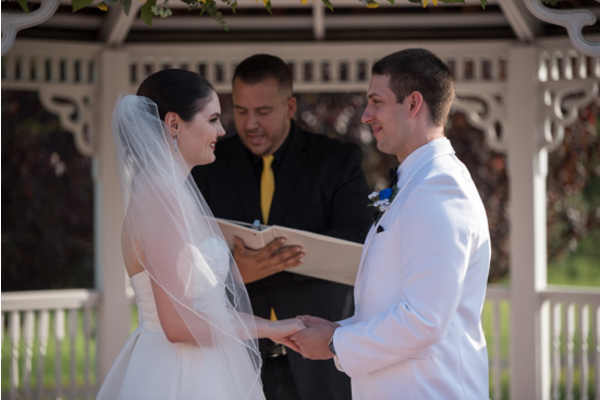 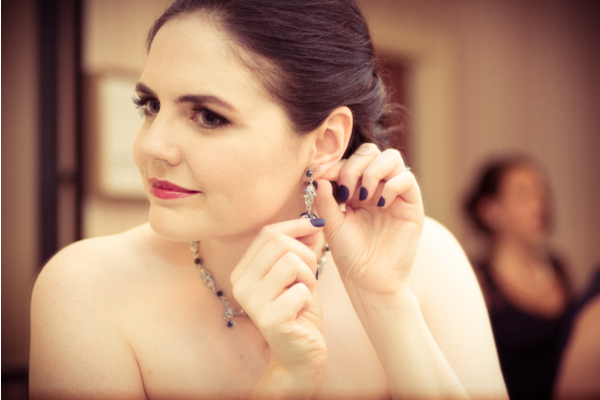 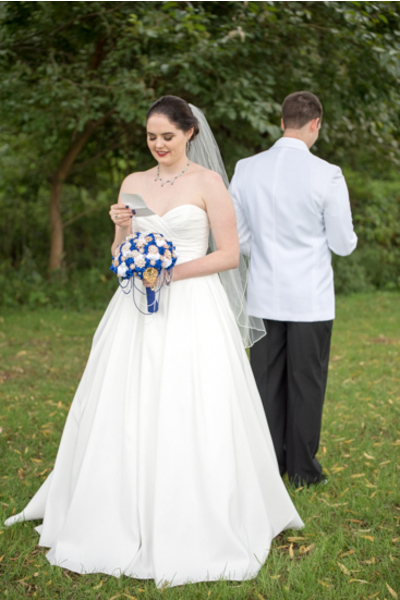 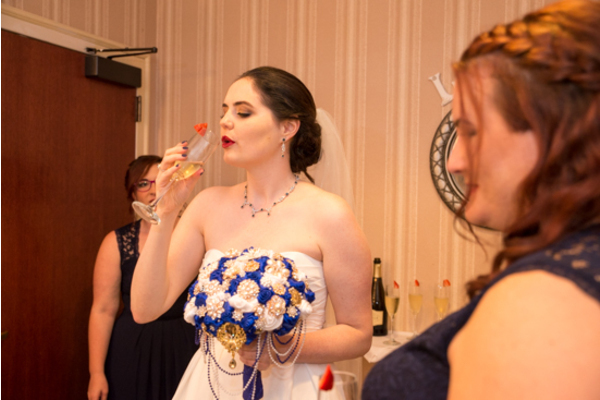 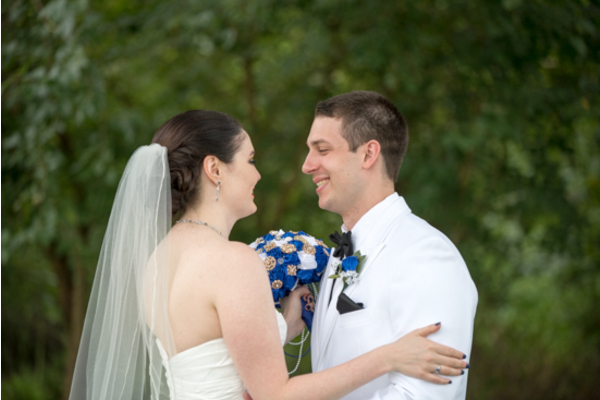 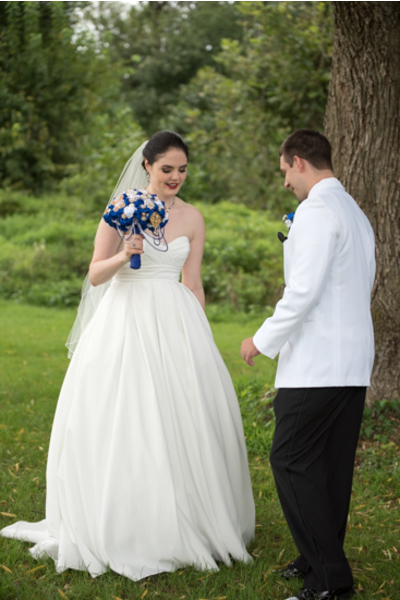 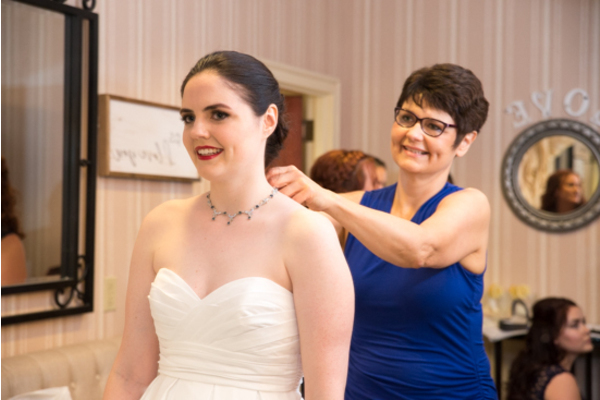 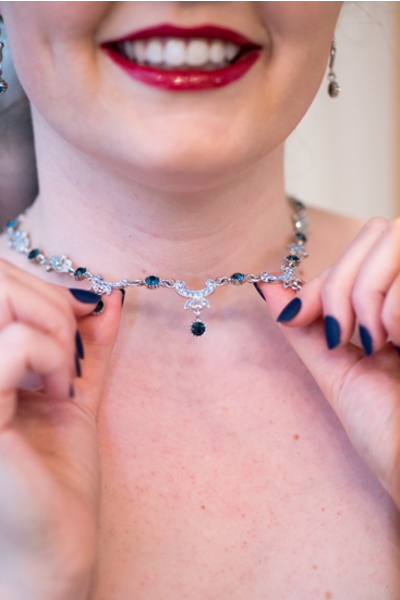 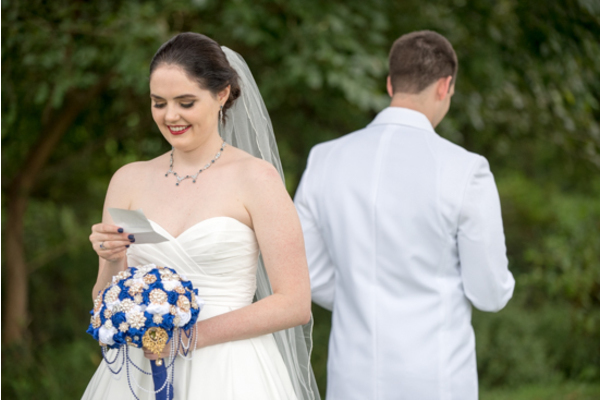 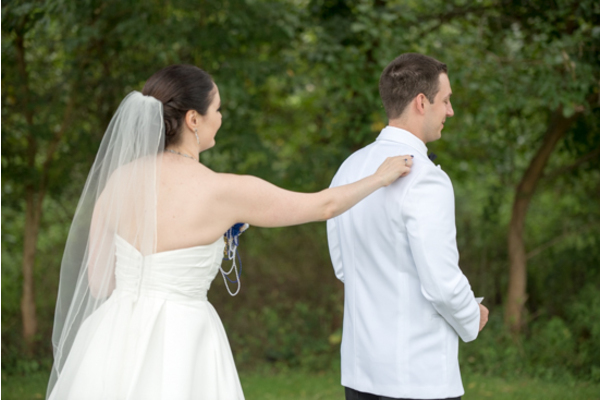 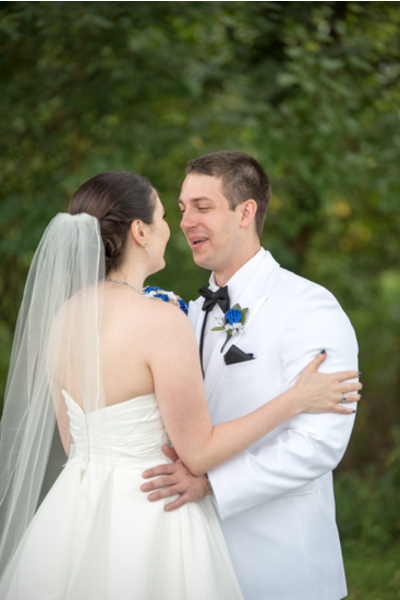 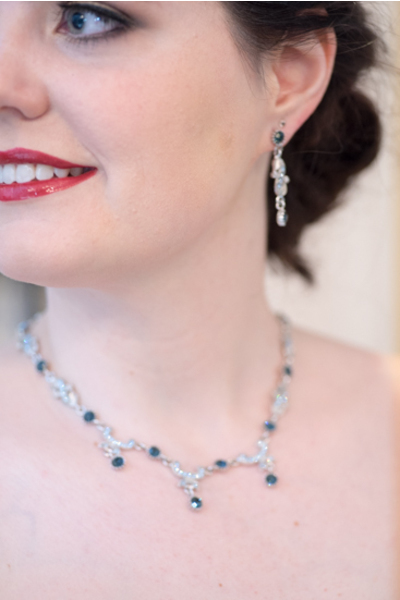 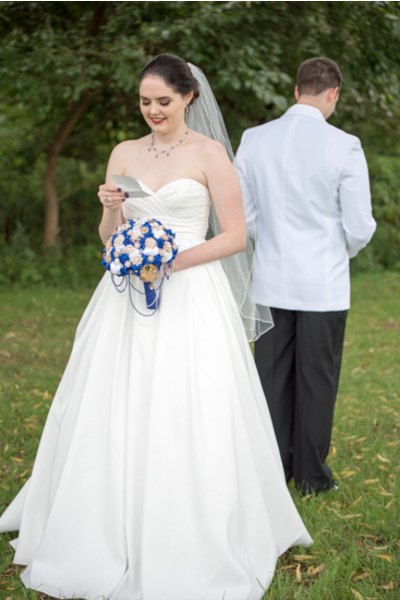 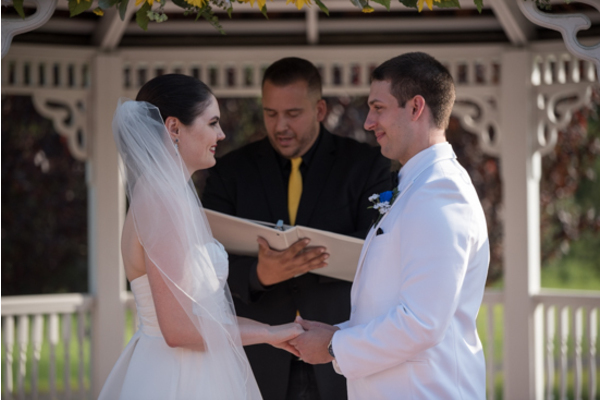 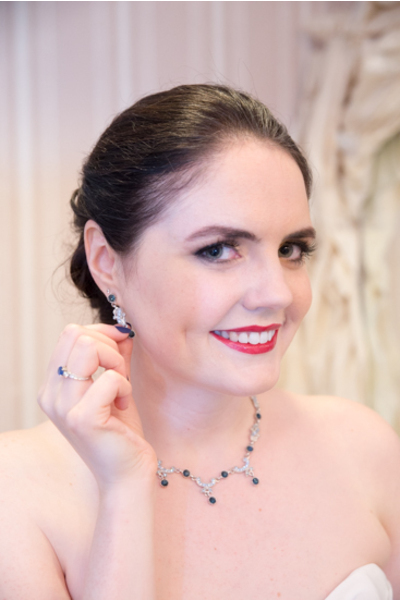 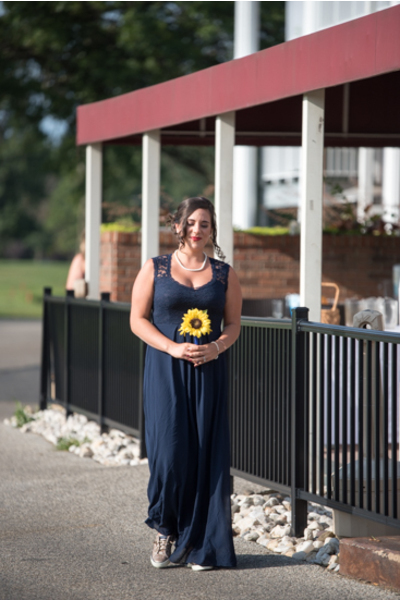 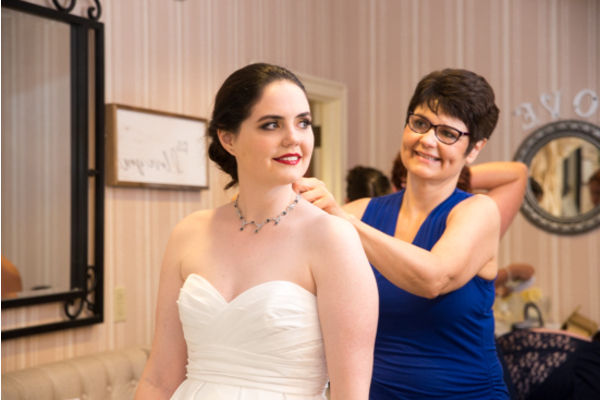 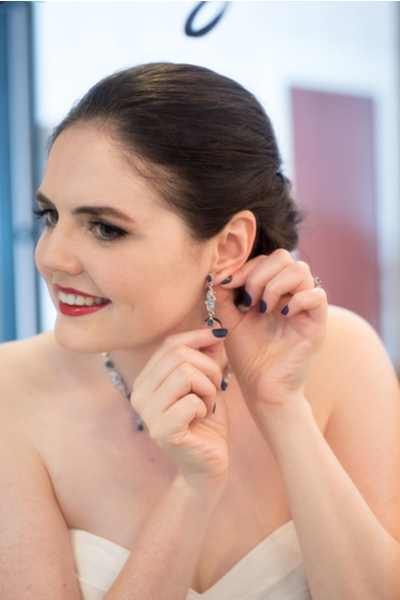 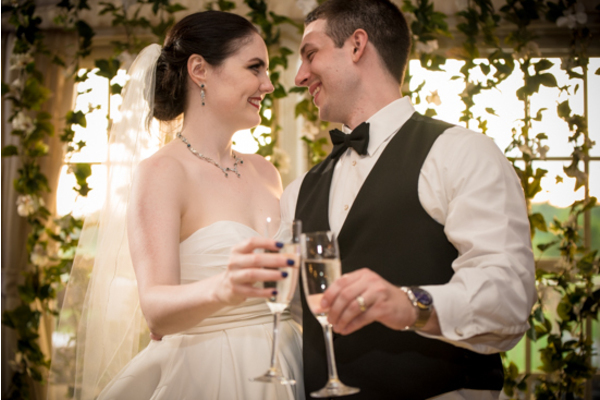 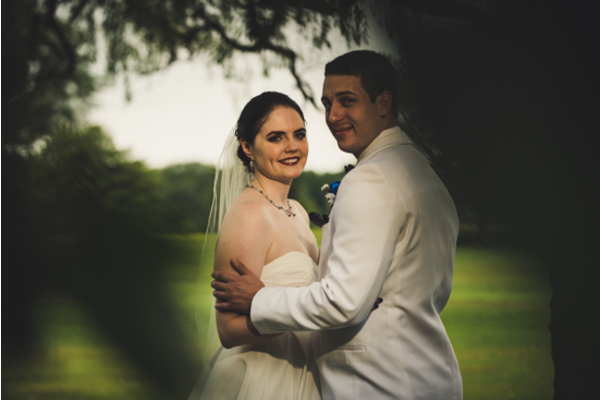 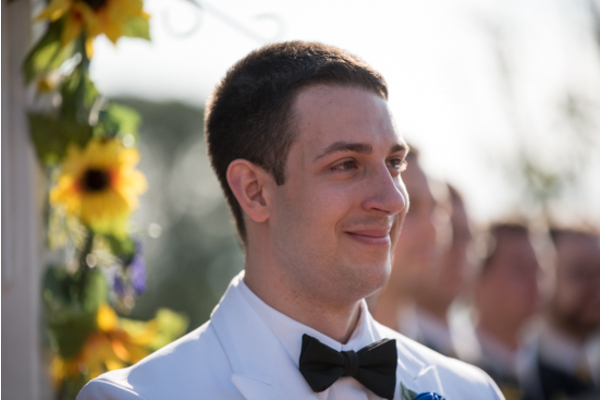 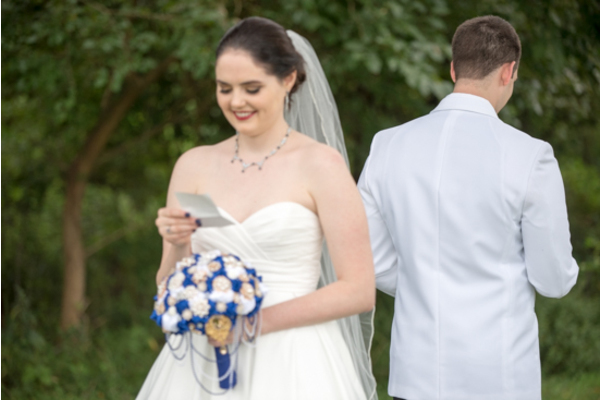 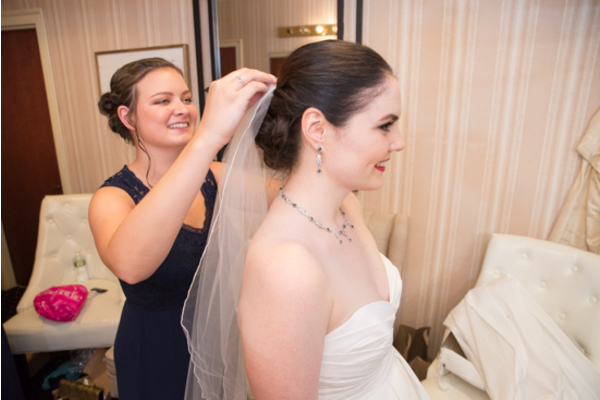 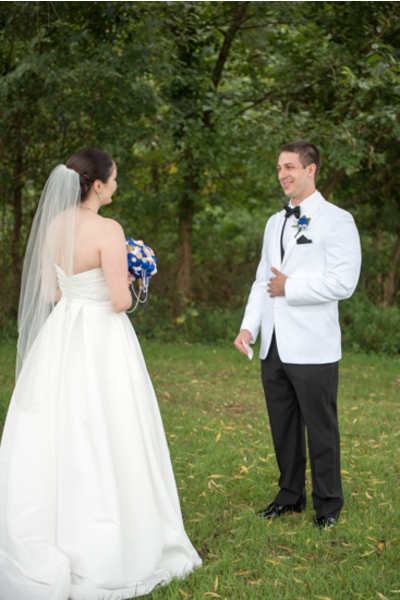 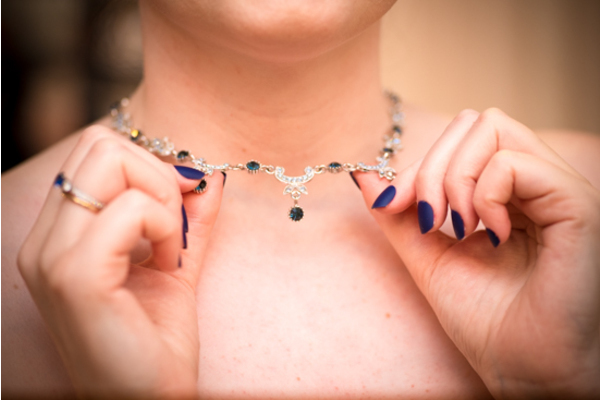 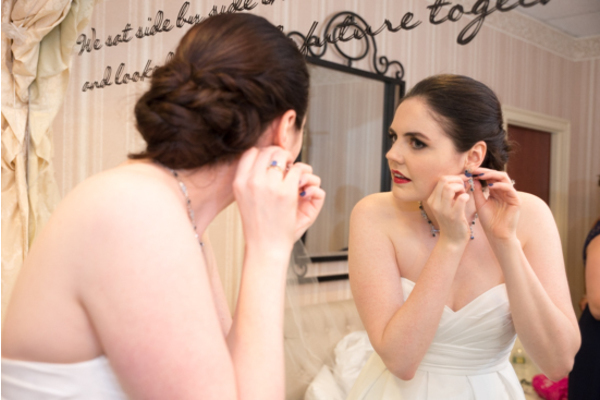 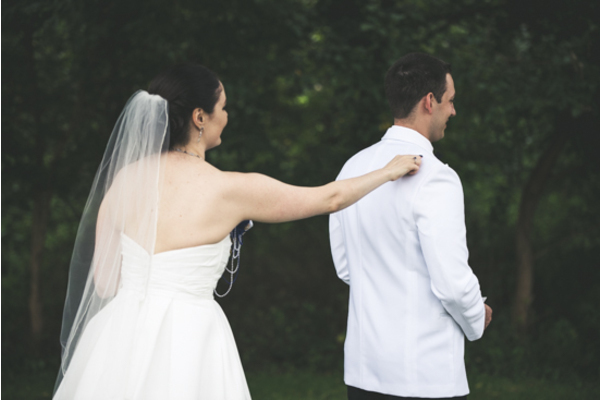 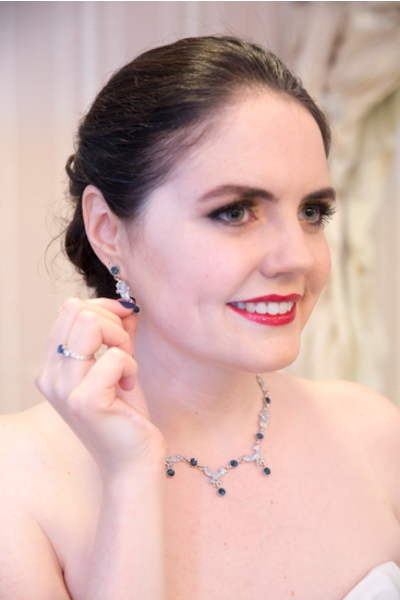 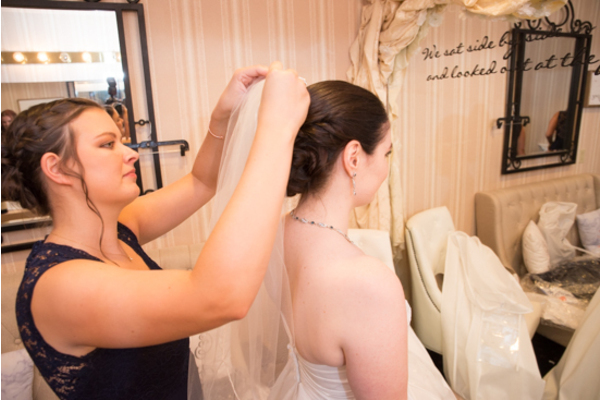 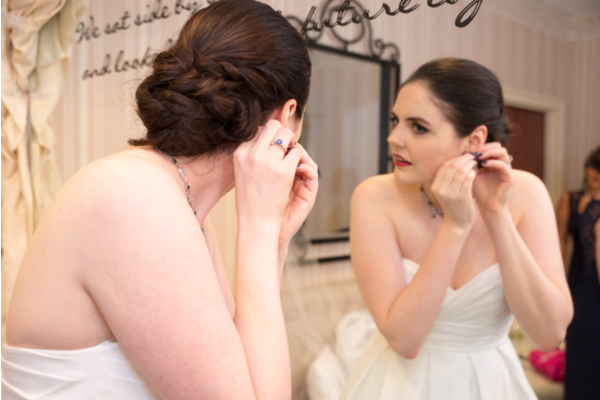 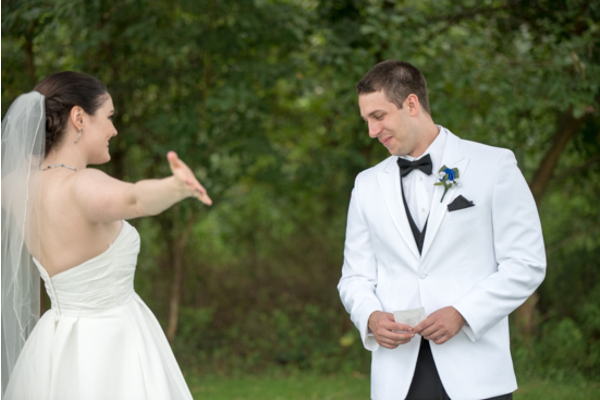 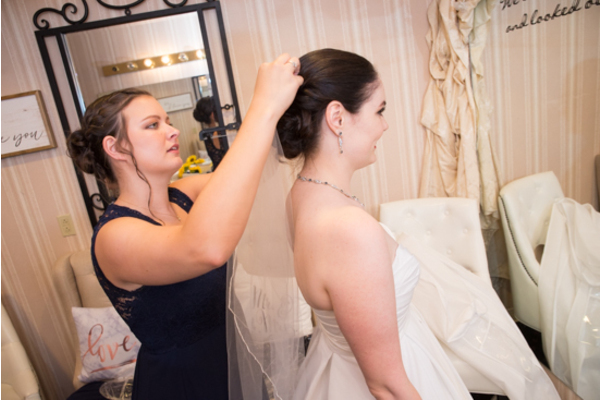 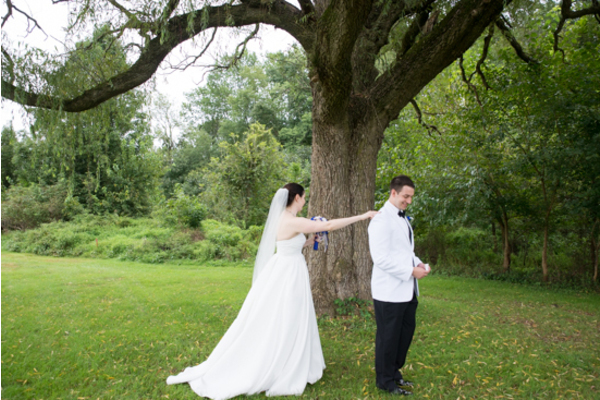 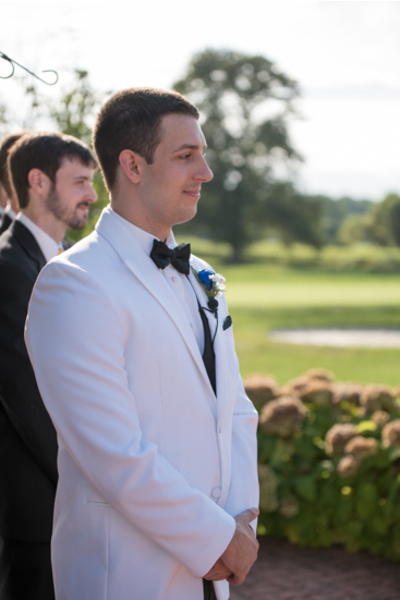 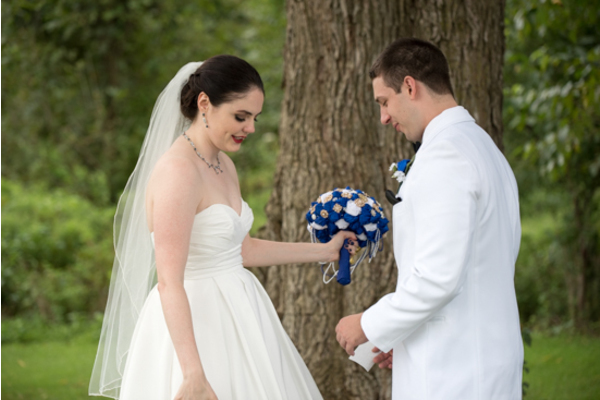 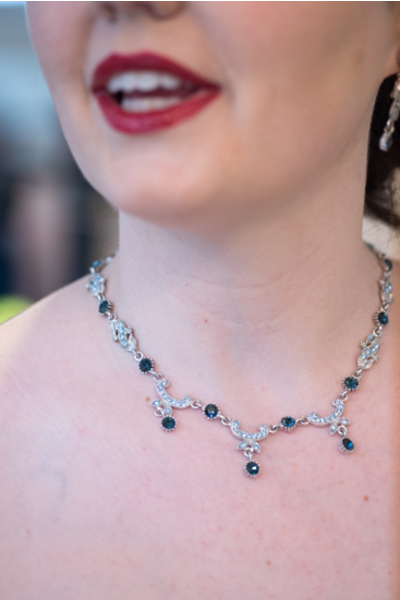 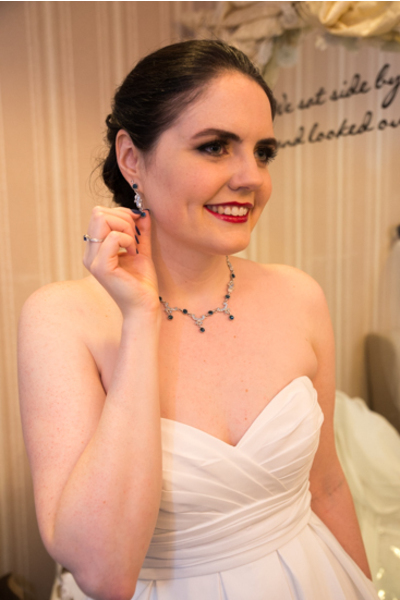 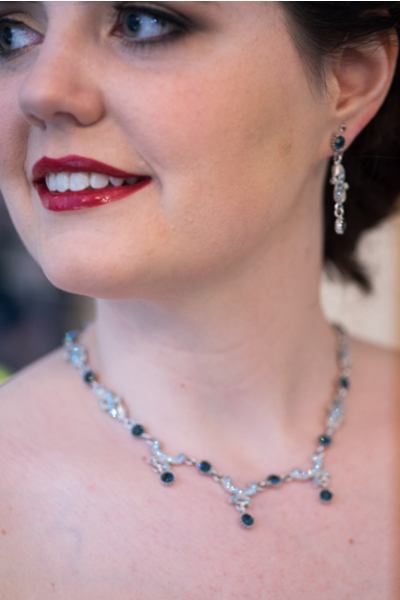 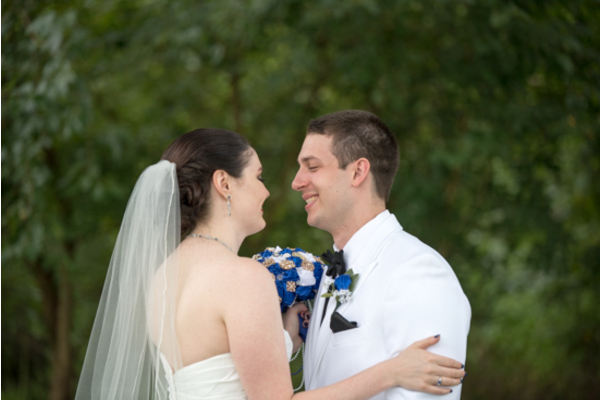 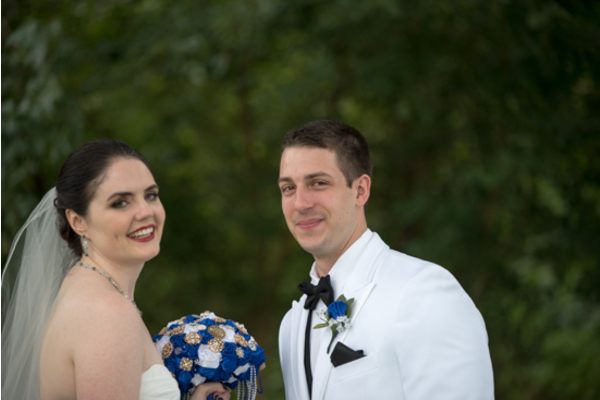 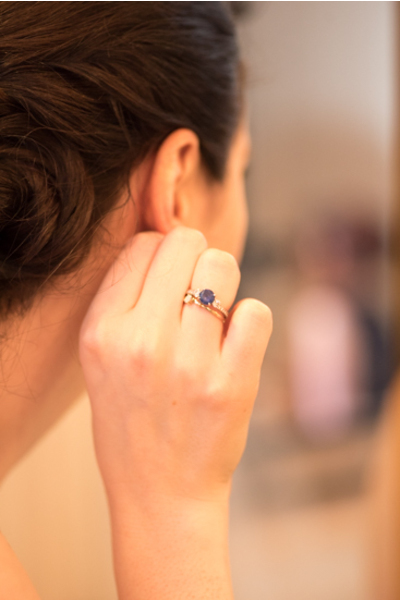 They helped Mary with her jewelry and her veil and our NJ Wedding Photographer was there for it all! 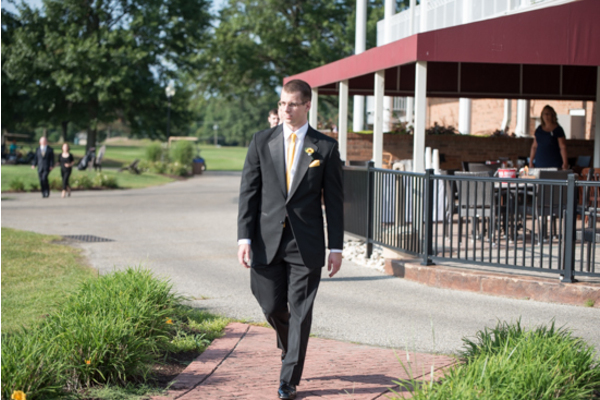 Outside, Austin was patiently waiting to lay eyes on his beautiful bride. 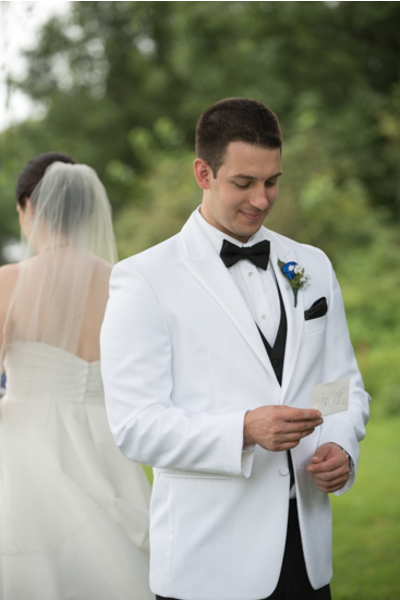 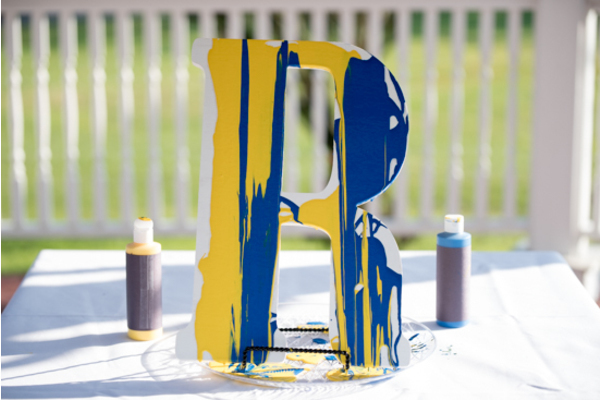 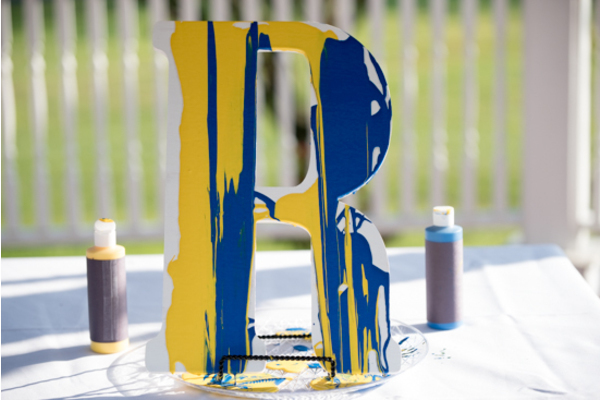 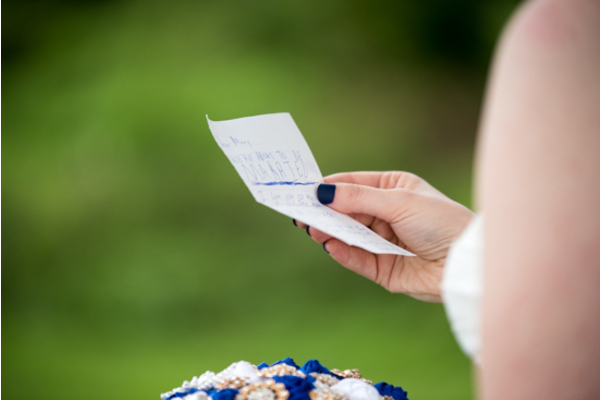 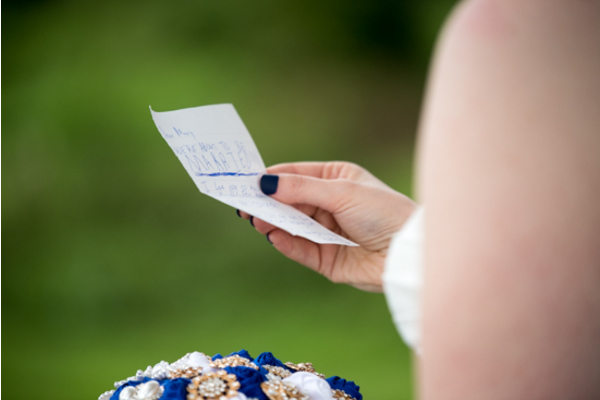 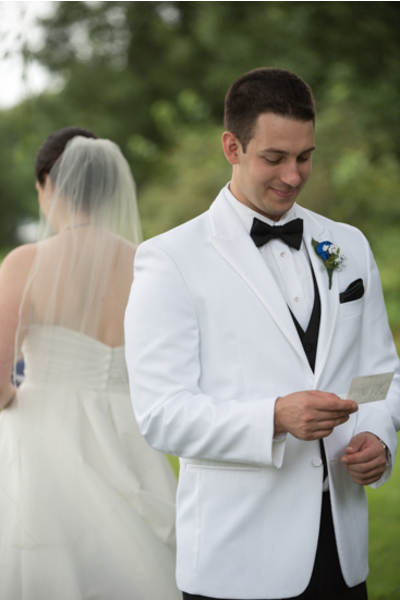 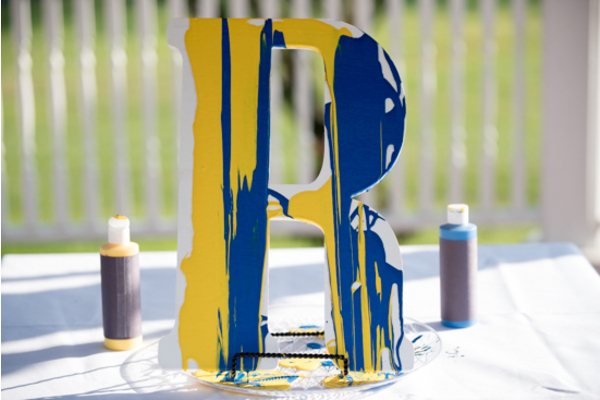 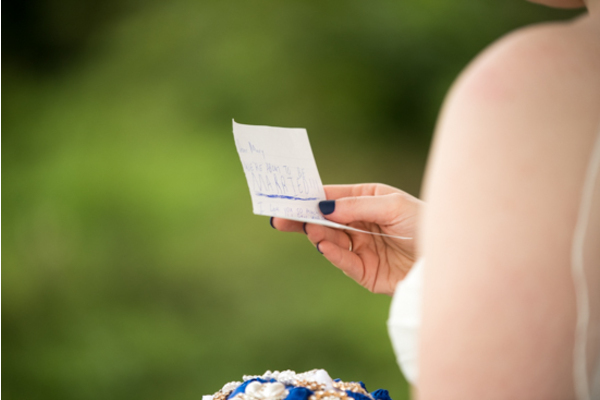 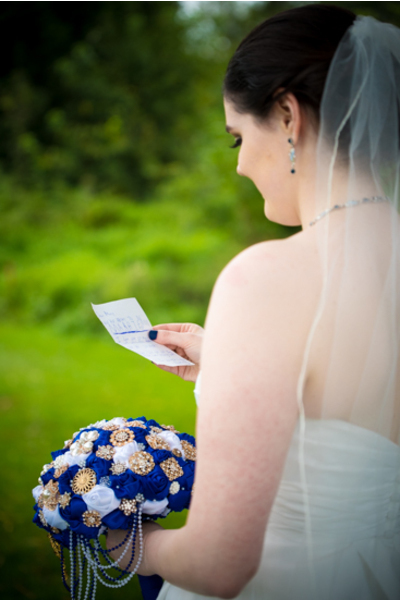 Before turning around, they exchanged a short and sweet letter to one another and then the big reveal took place! 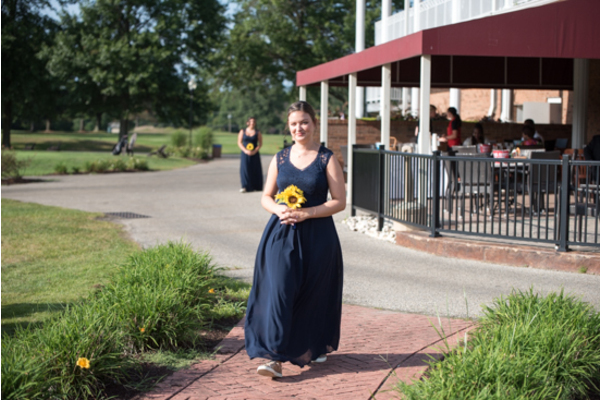 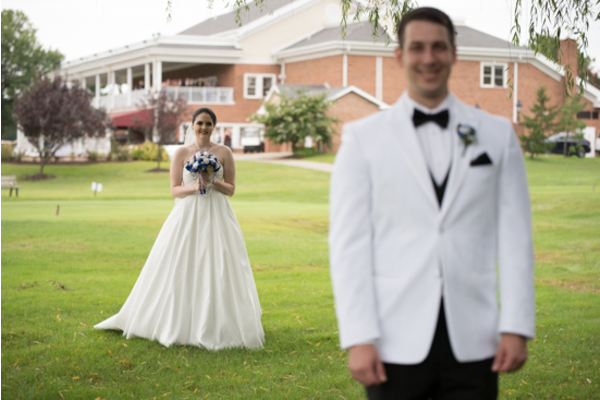 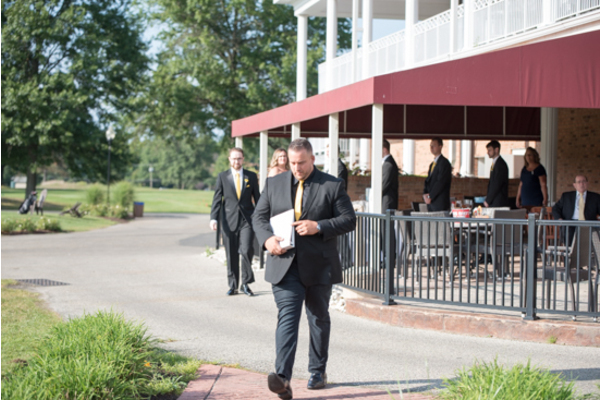 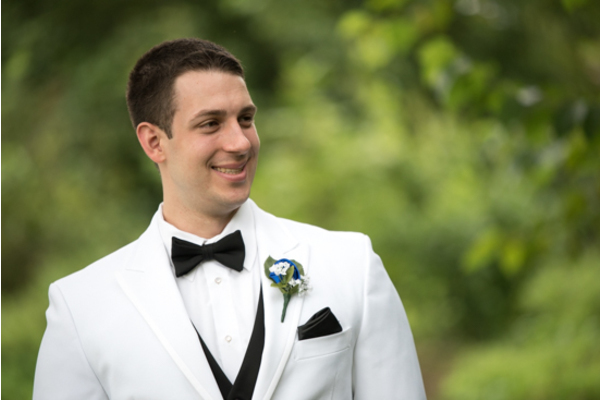 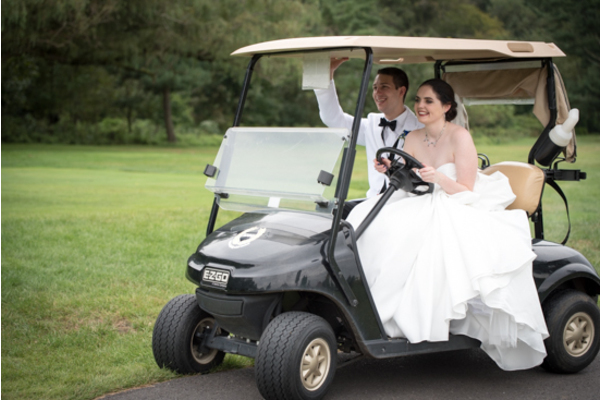 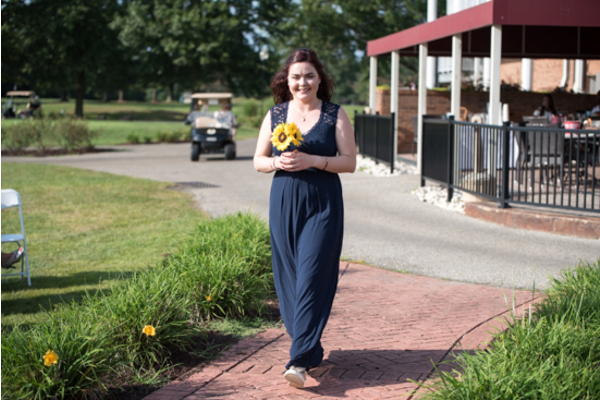 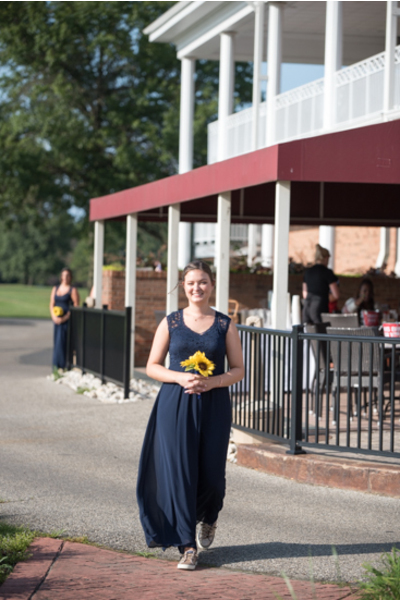 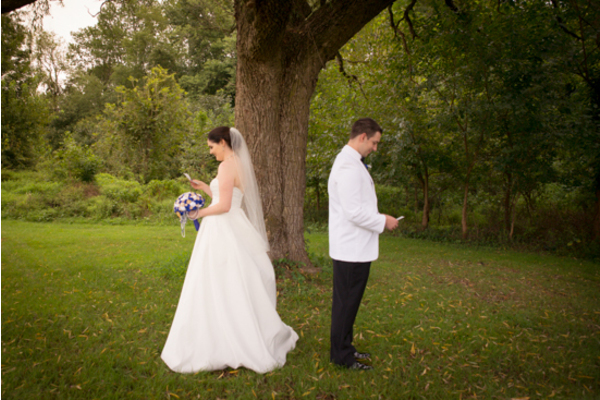 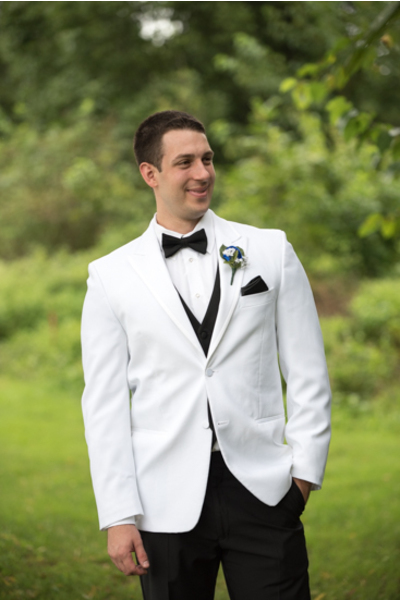 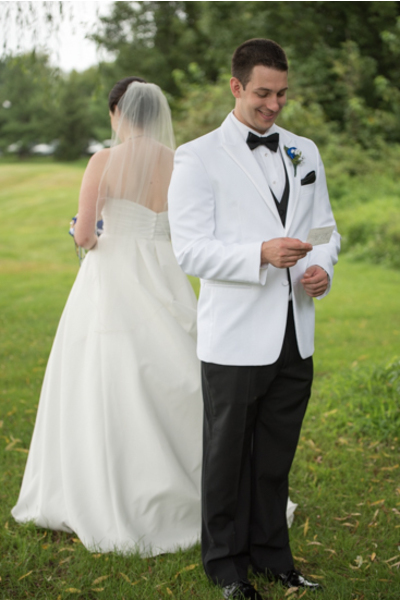 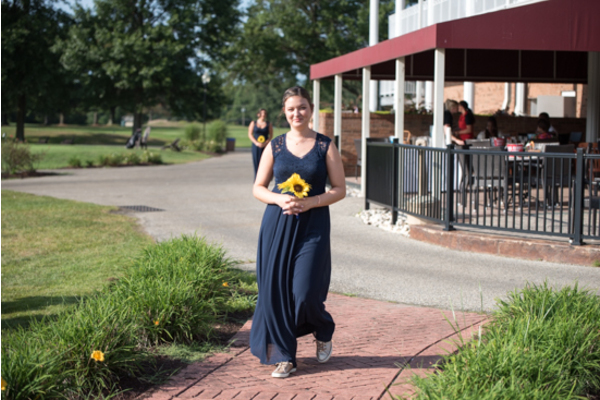 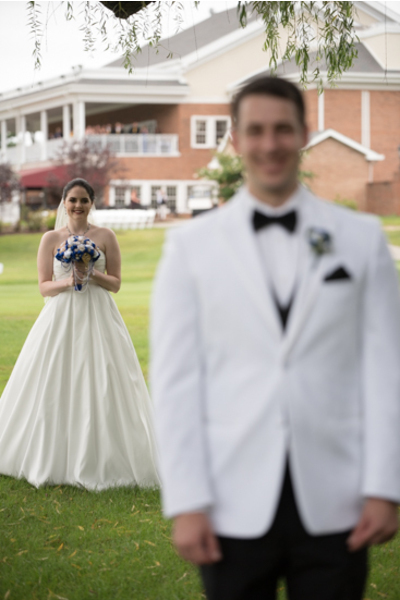 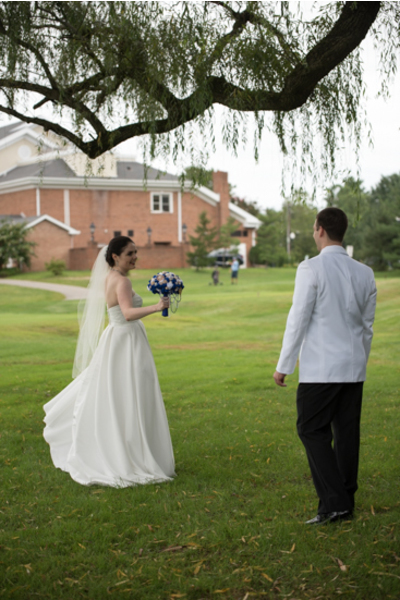 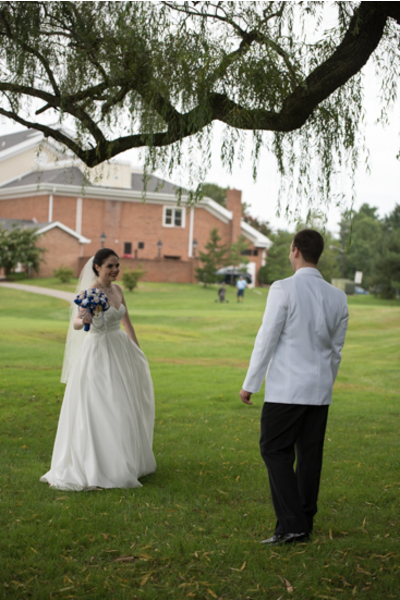 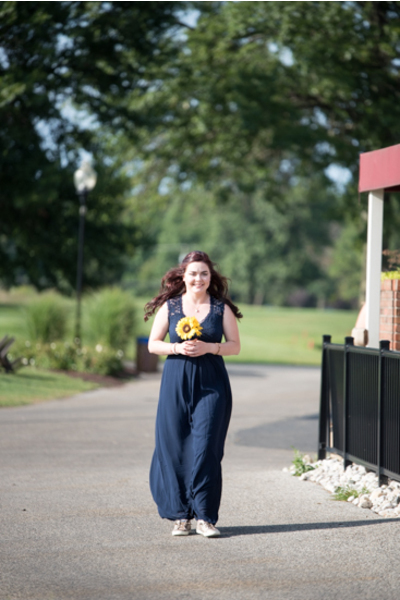 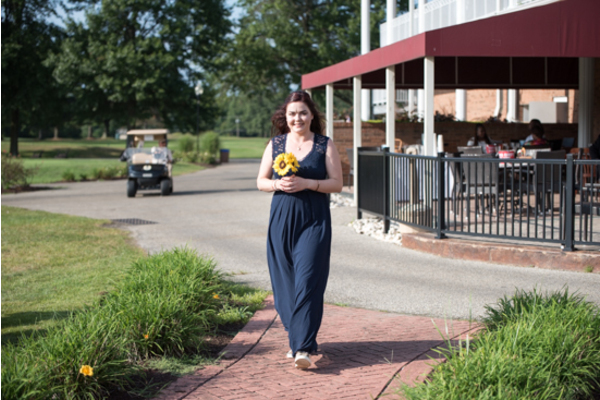 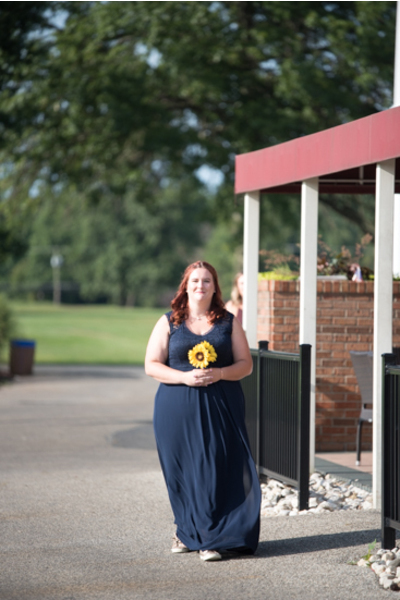 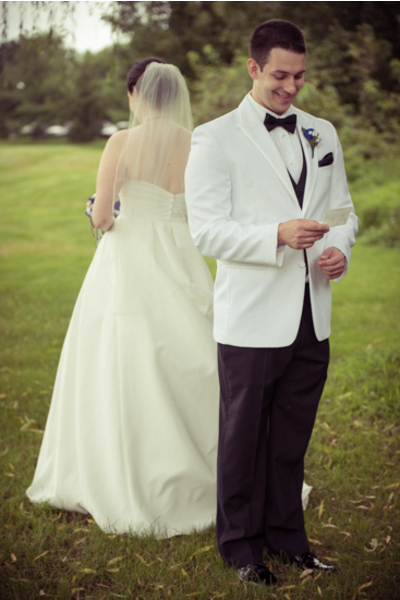 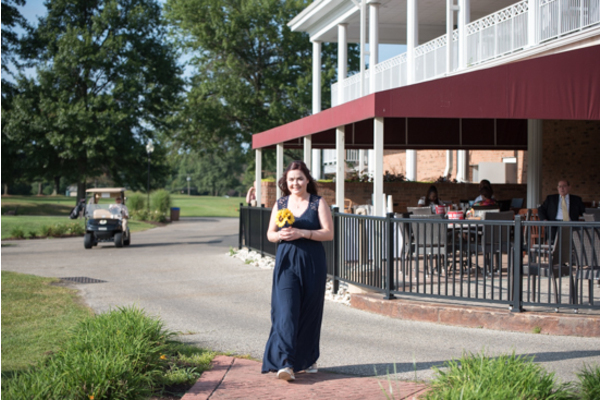 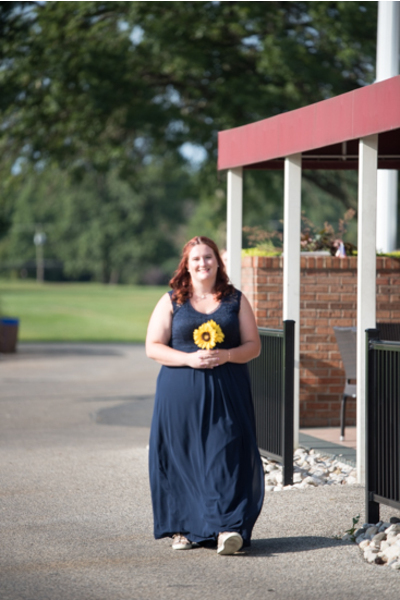 Our NJ Wedding Videographer was with the couple as they rode to the ceremony in style in the golf cart! 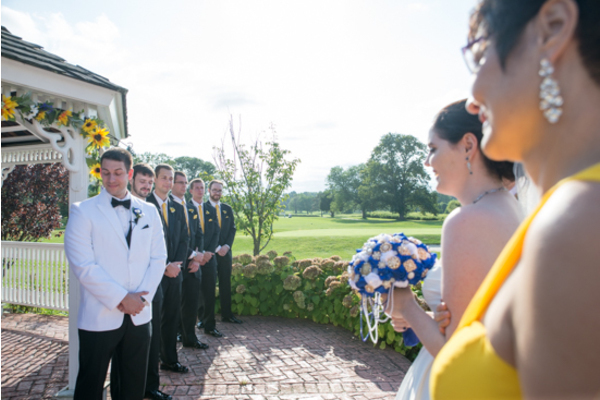 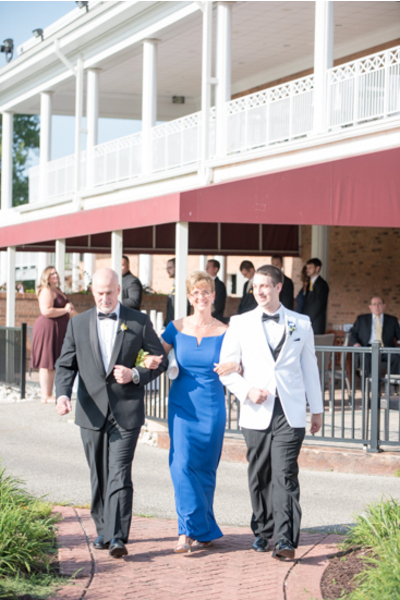 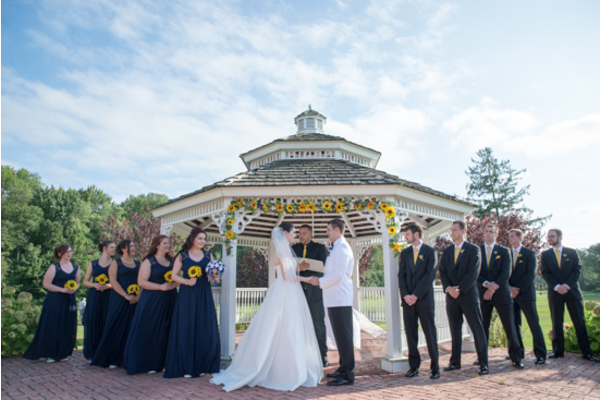 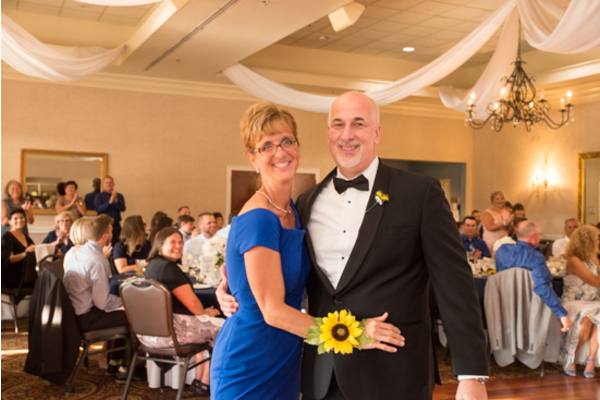 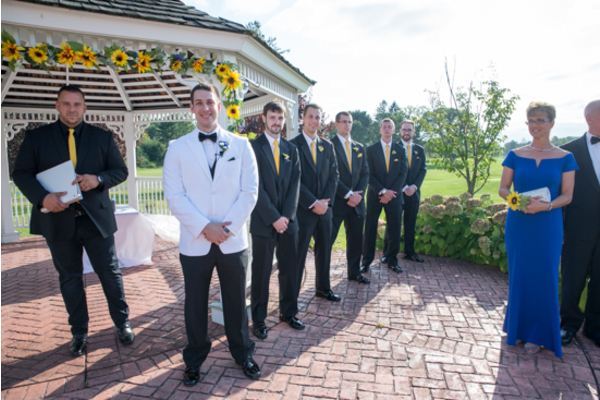 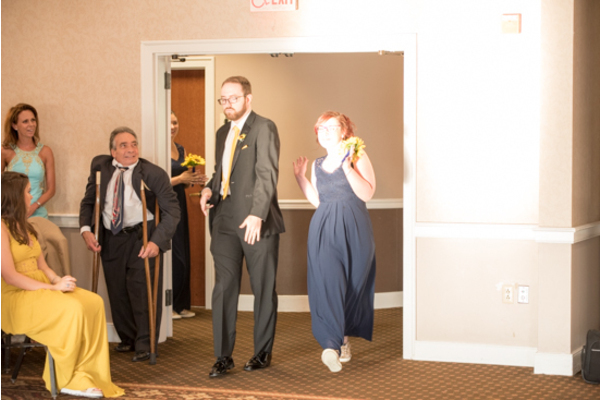 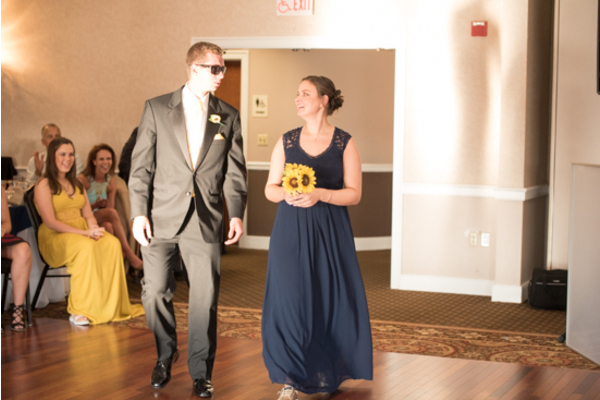 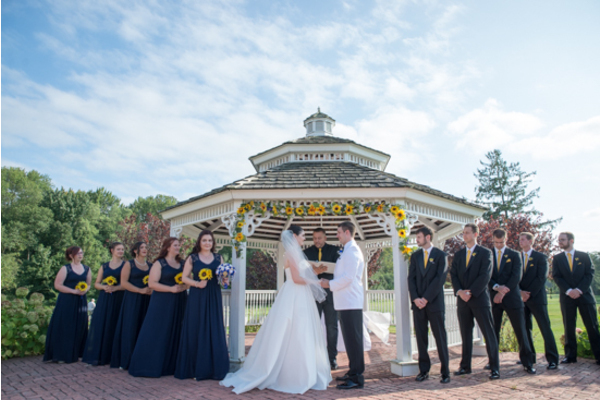 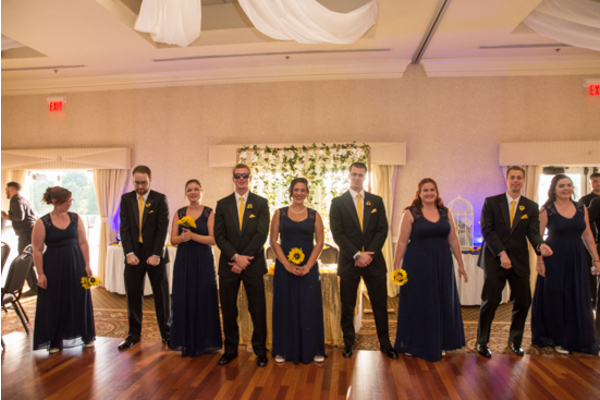 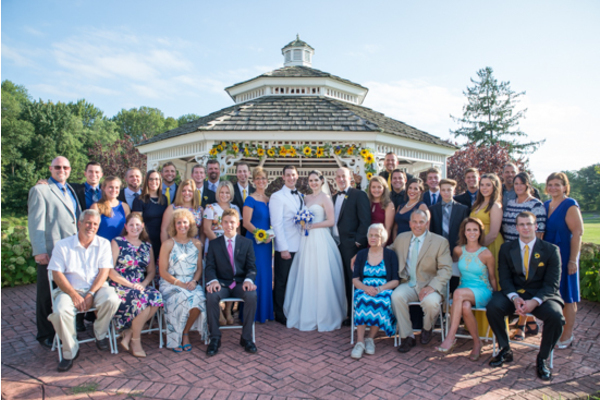 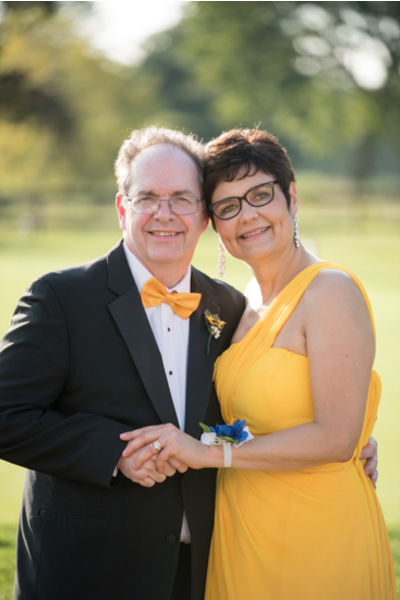 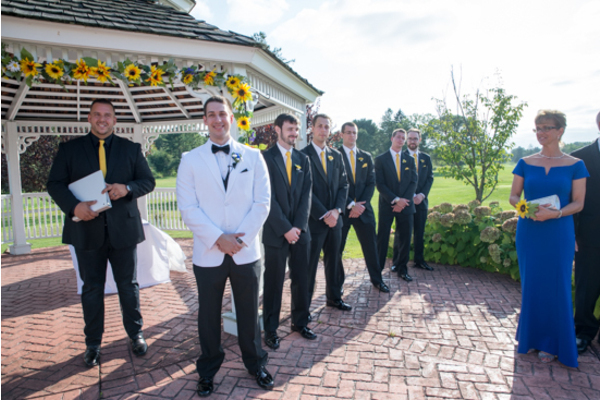 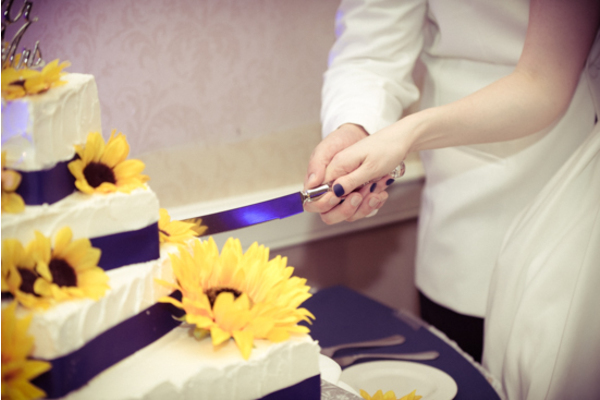 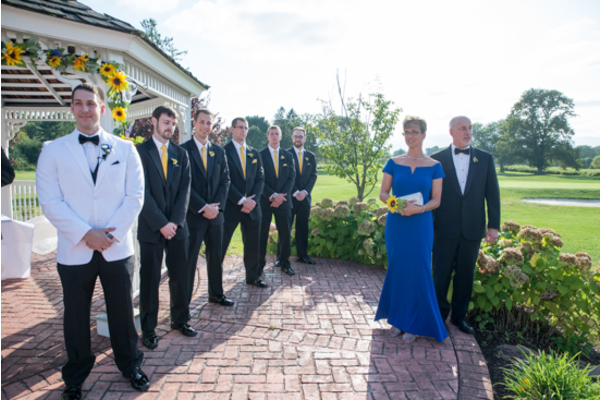 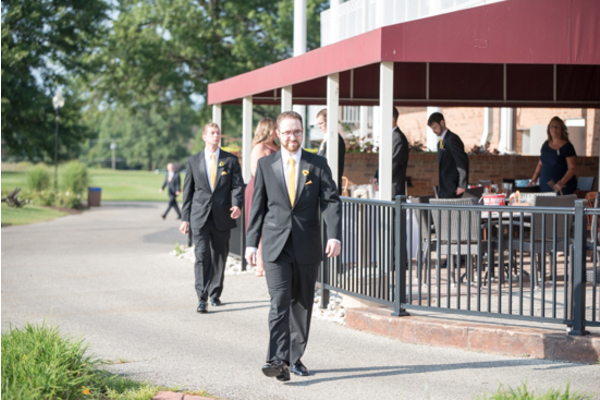 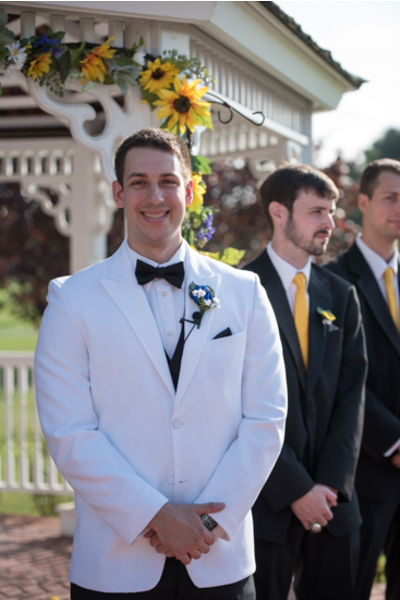 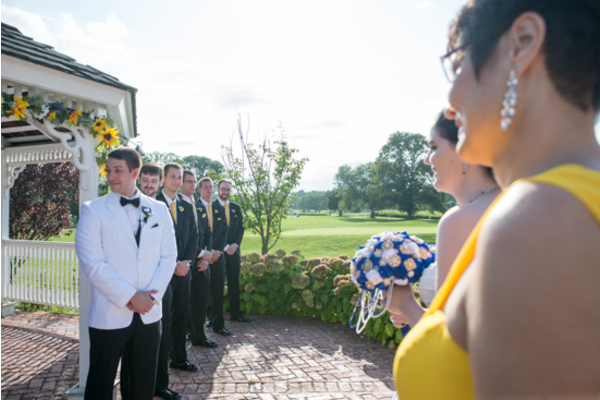 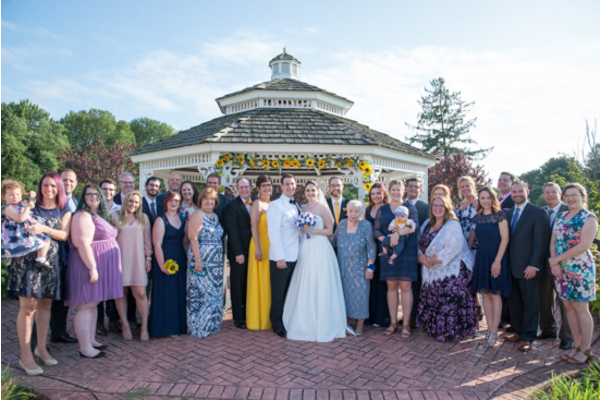 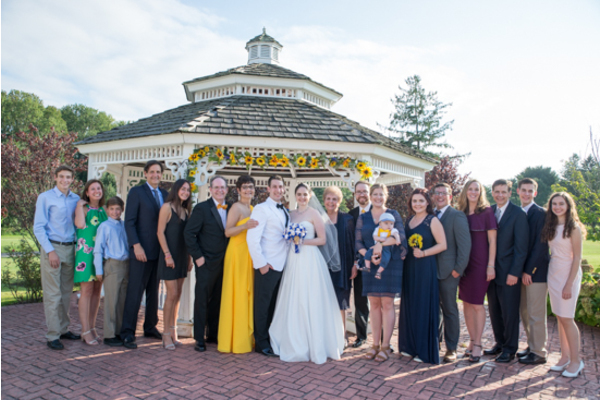 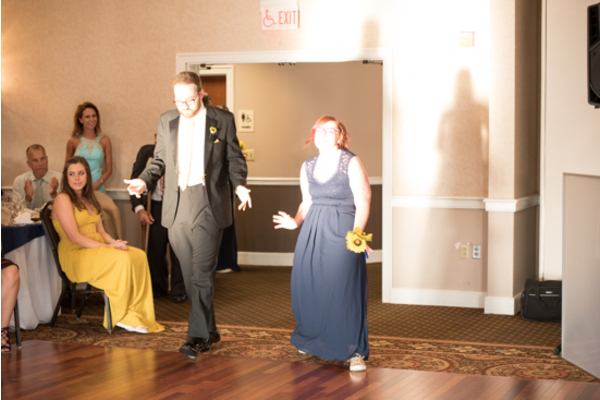 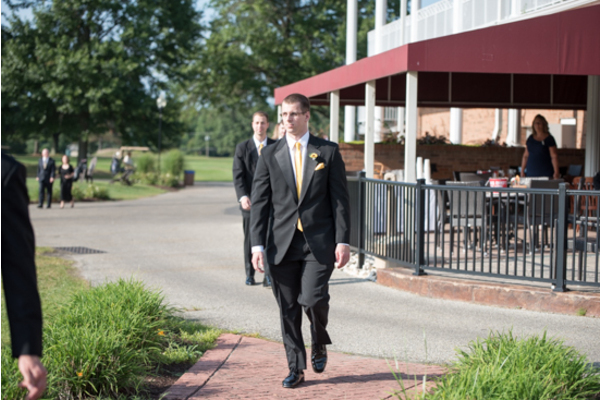 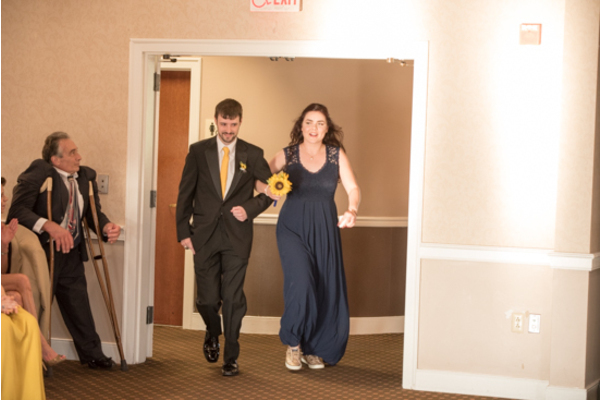 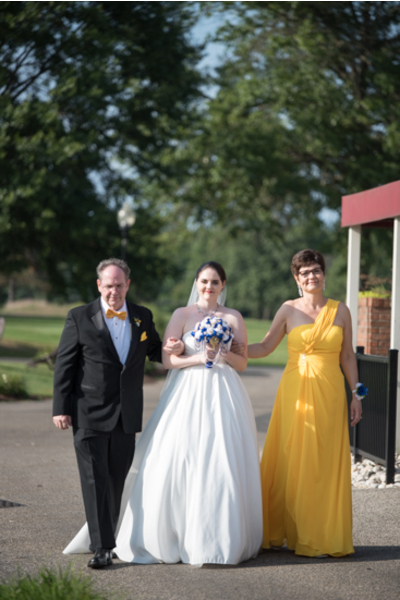 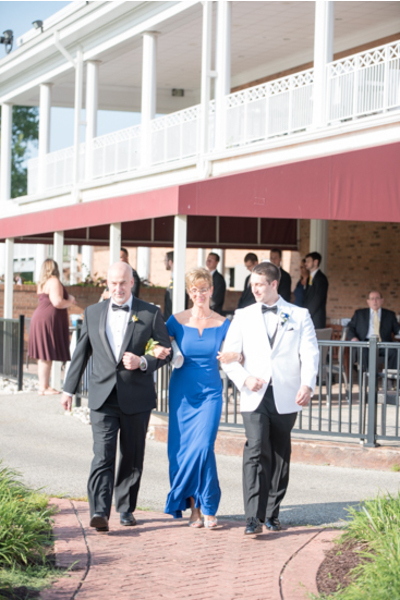 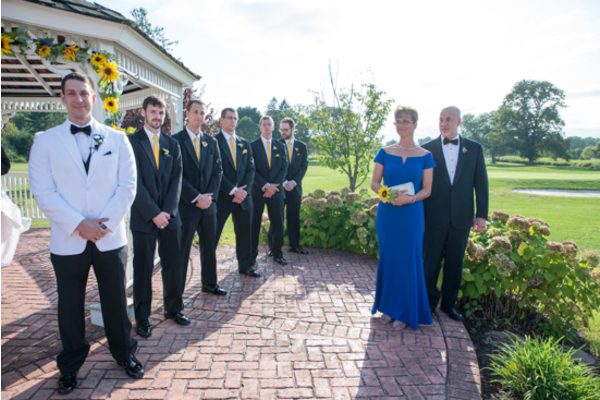 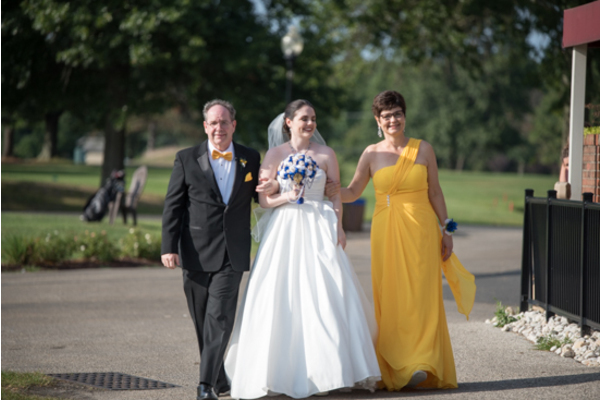 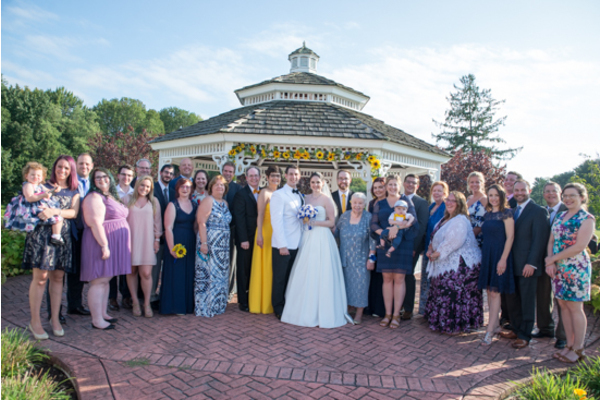 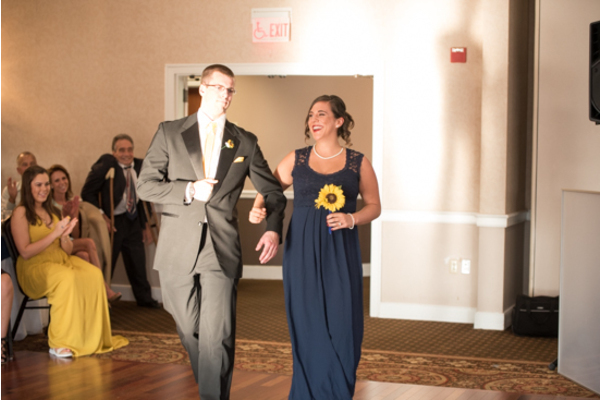 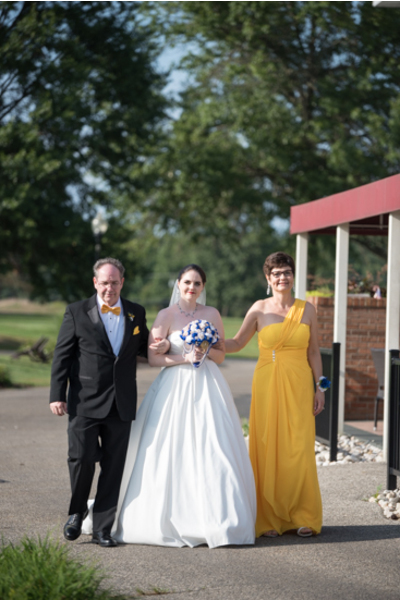 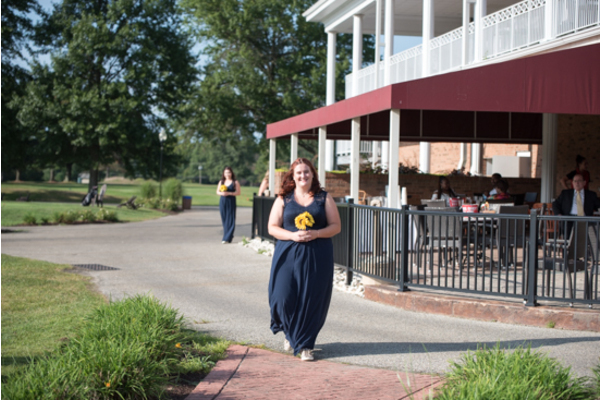 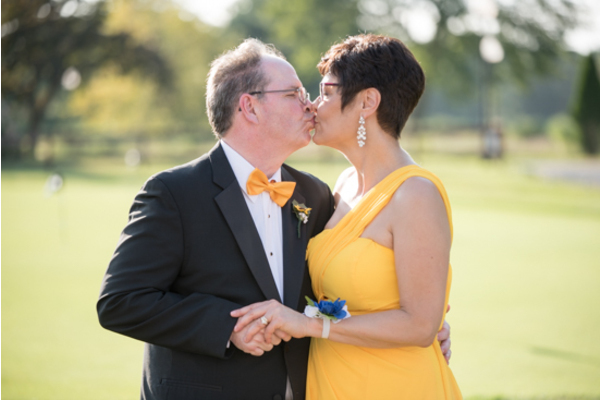 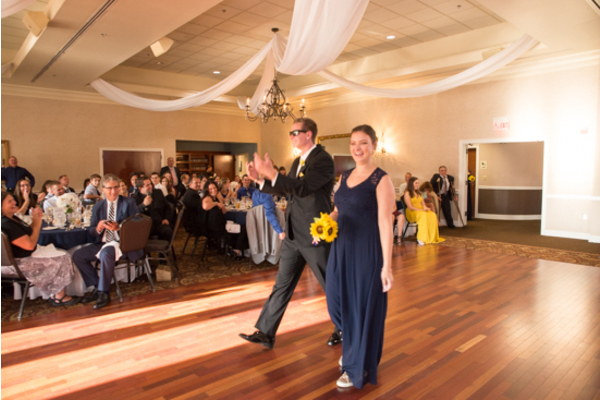 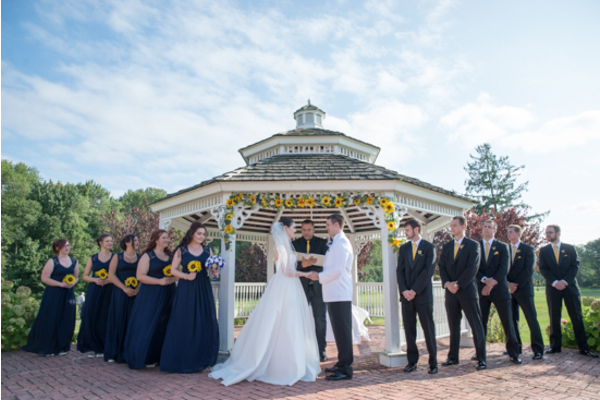 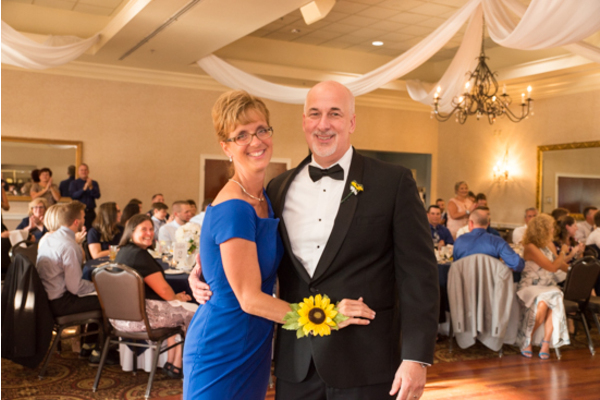 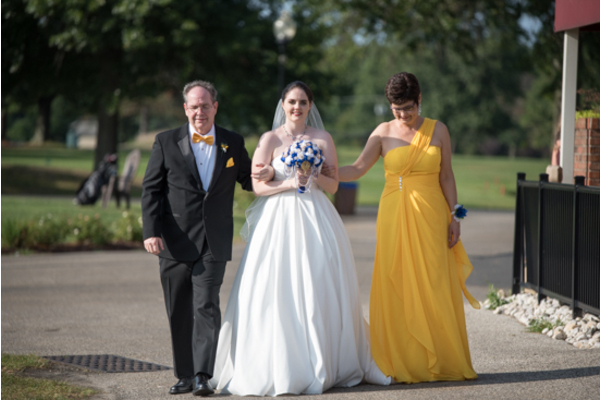 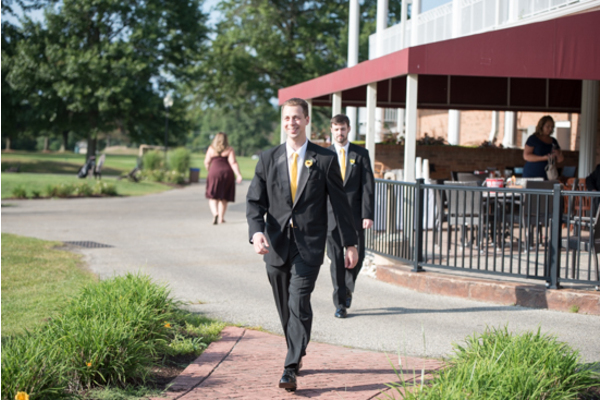 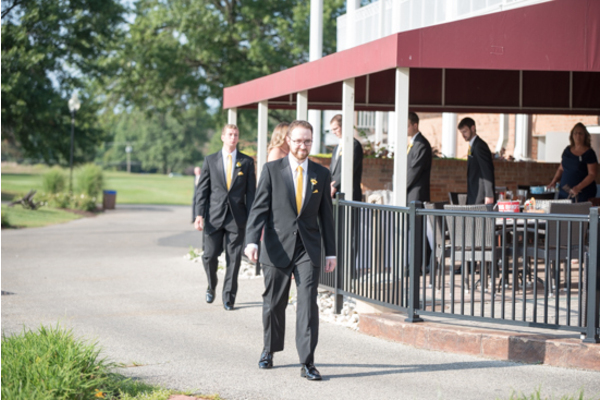 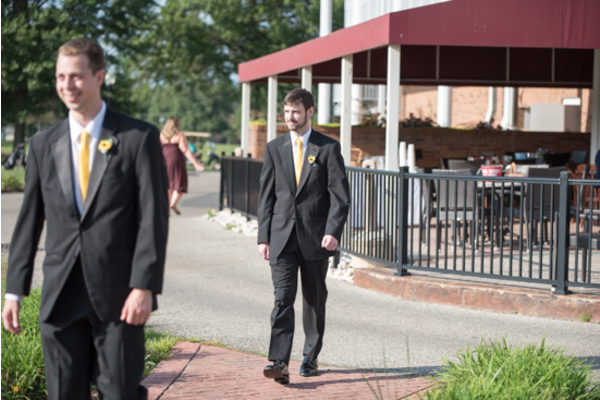 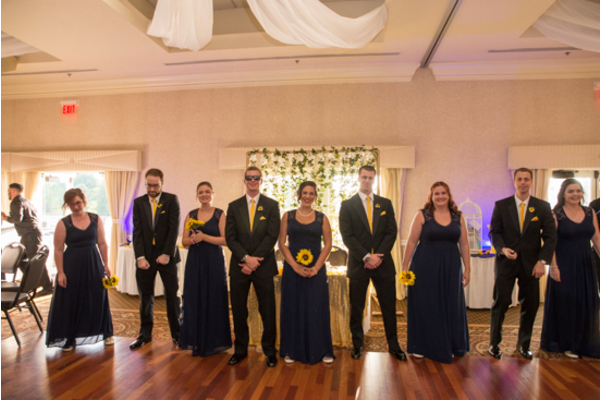 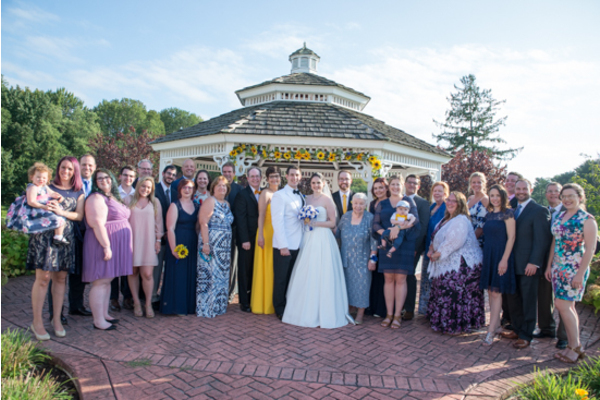 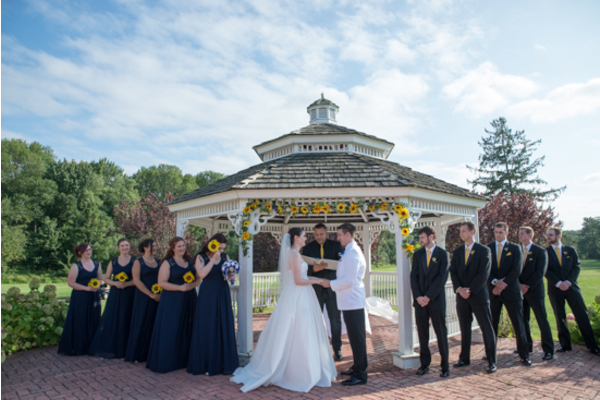 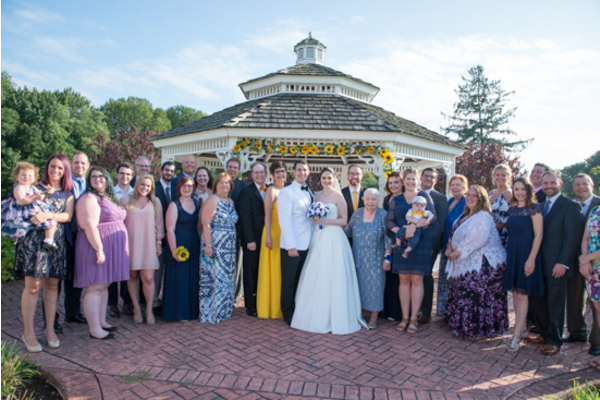 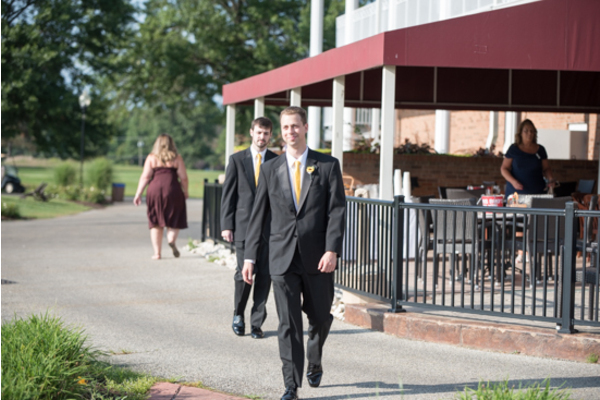 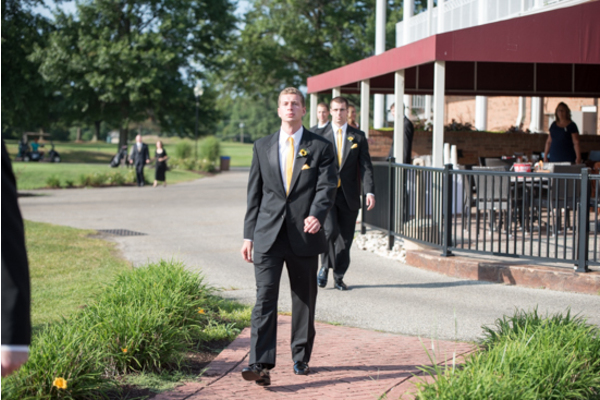 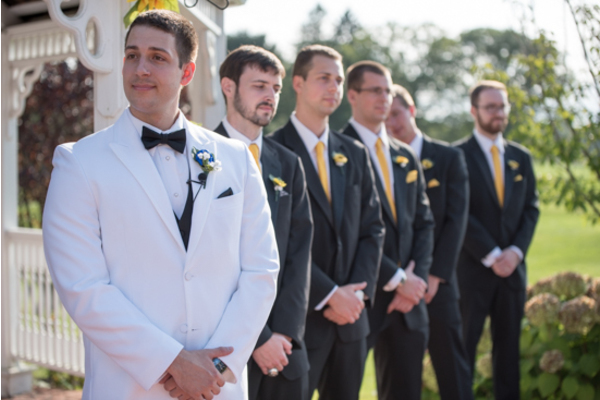 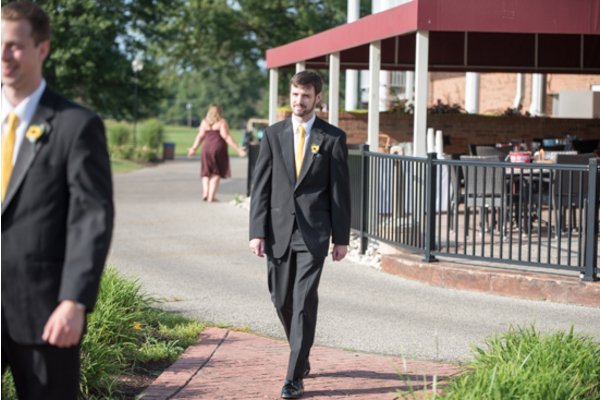 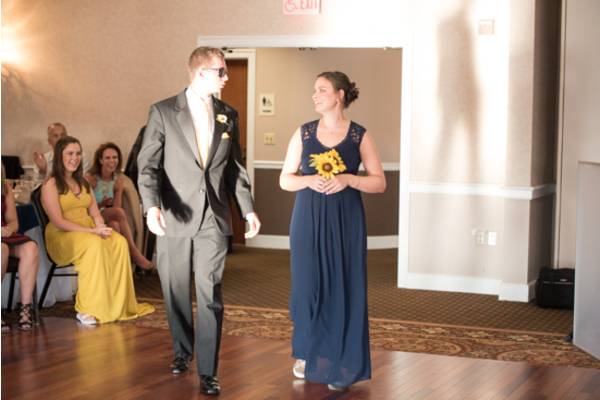 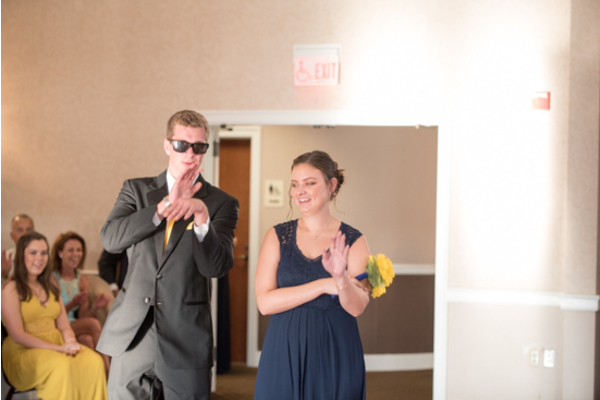 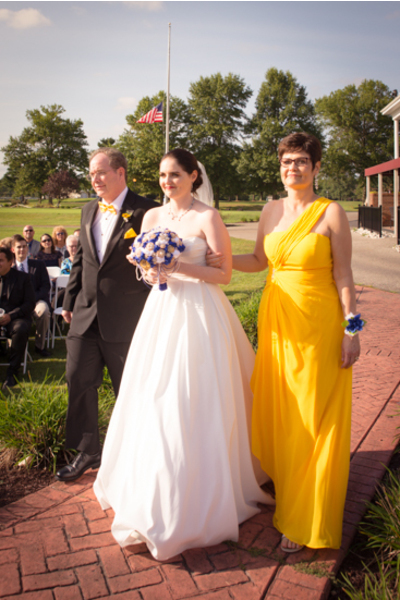 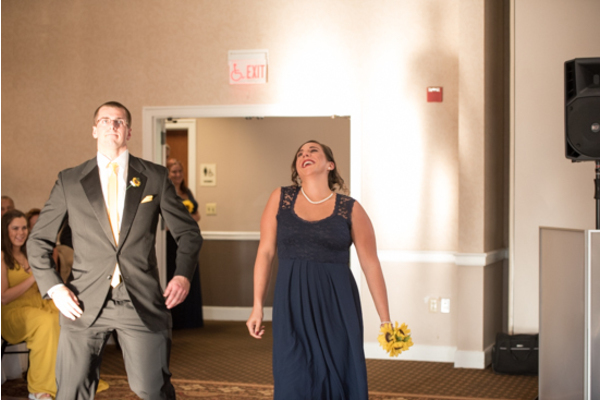 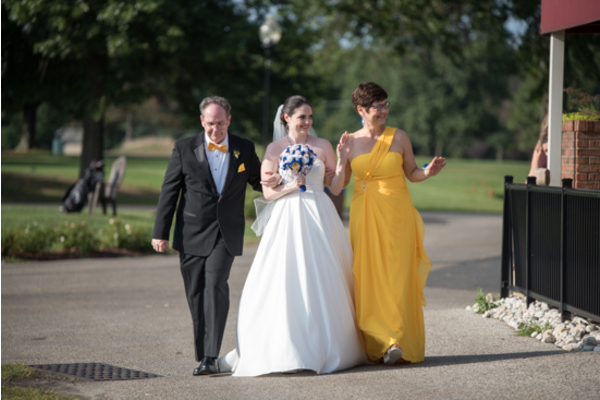 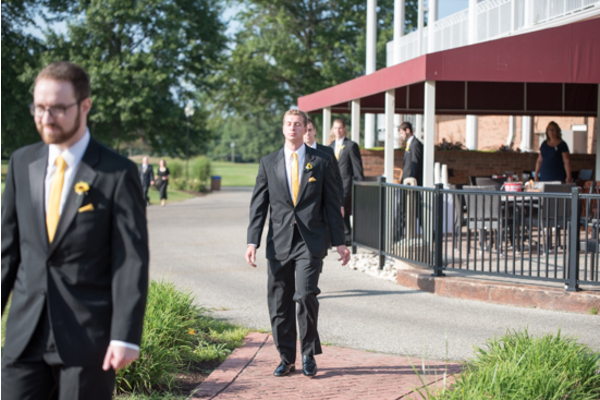 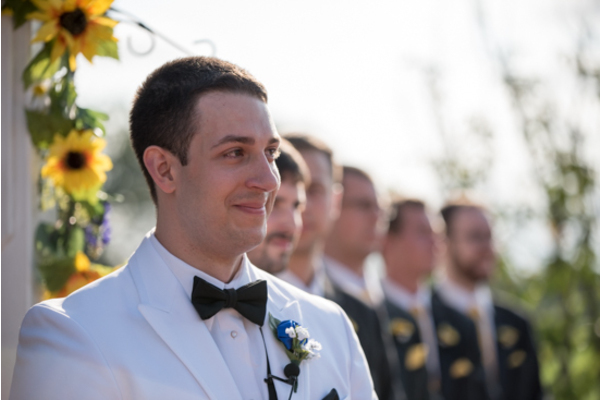 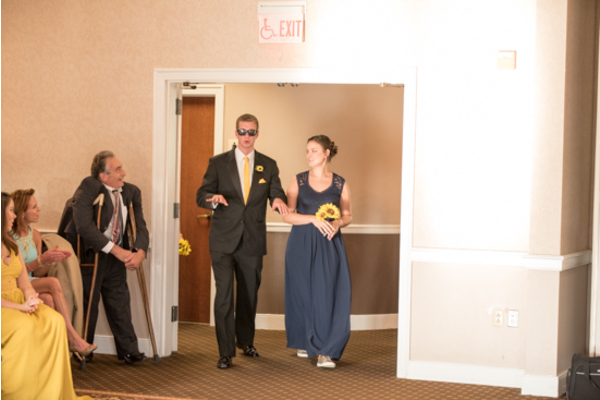 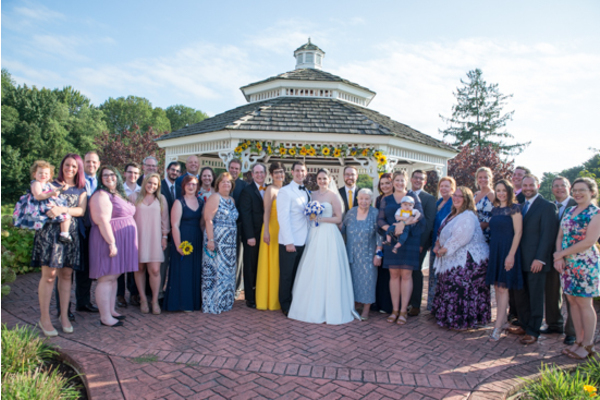 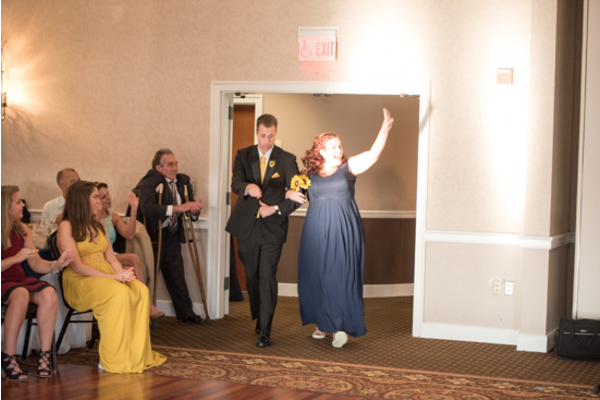 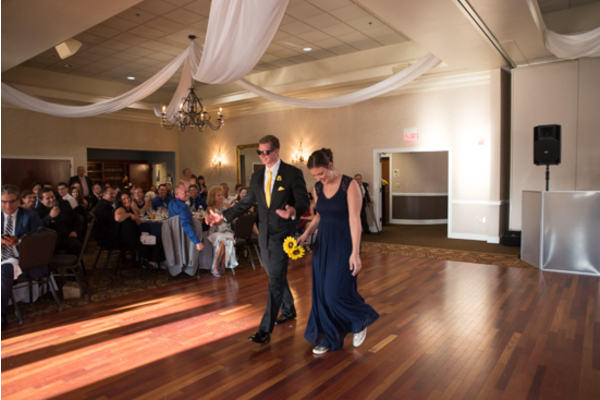 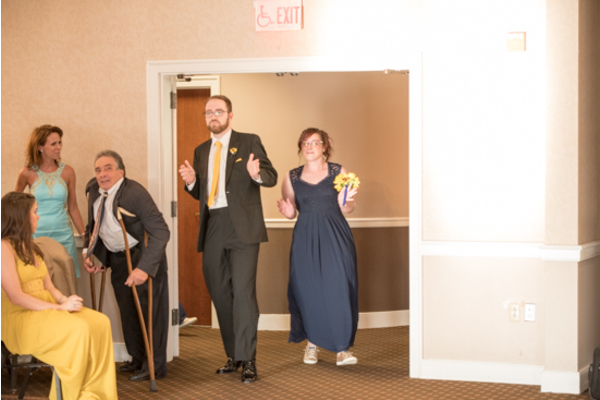 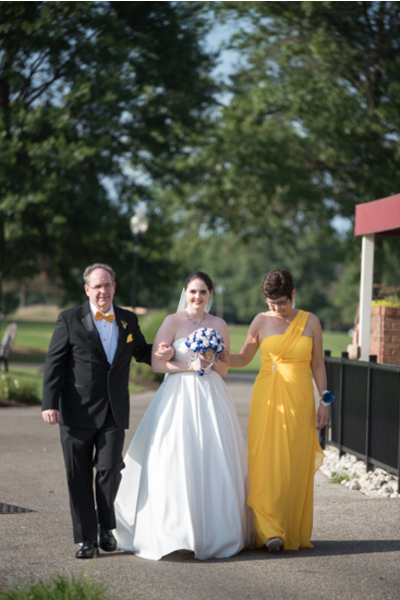 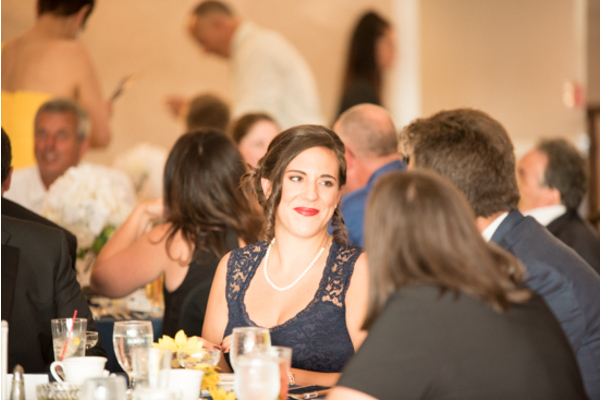 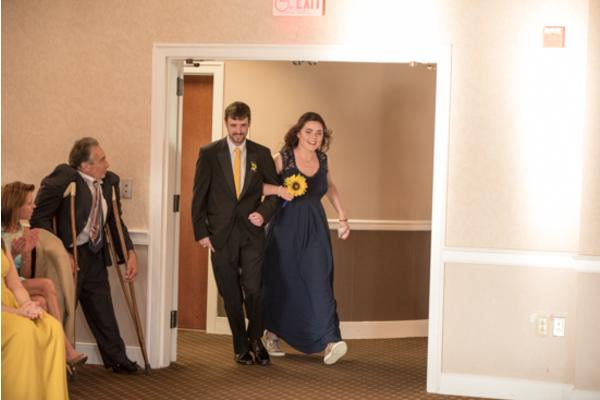 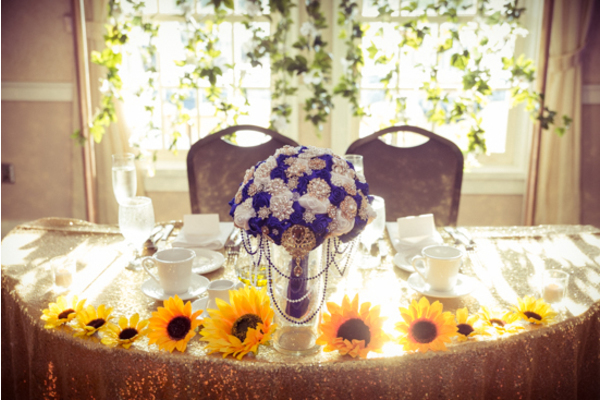 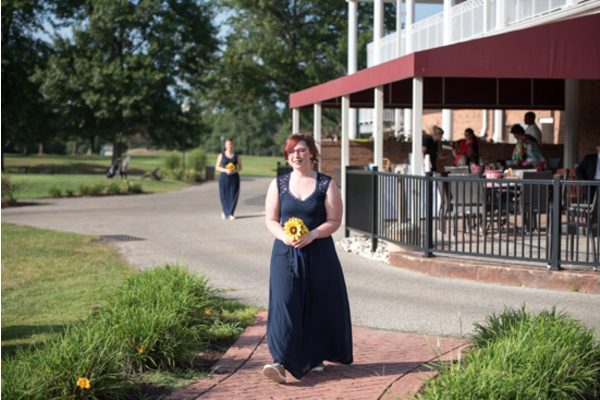 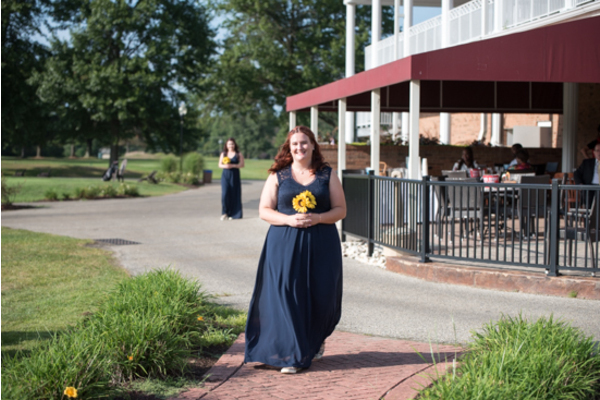 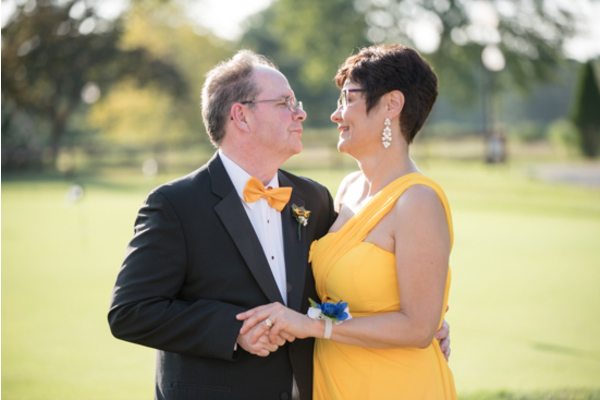 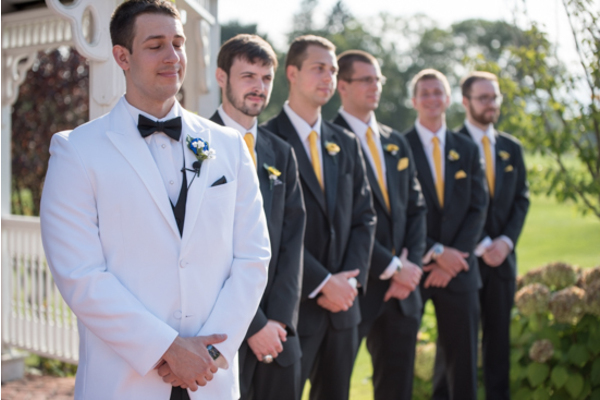 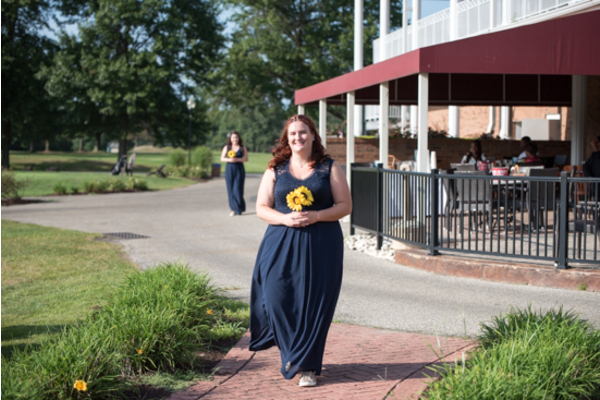 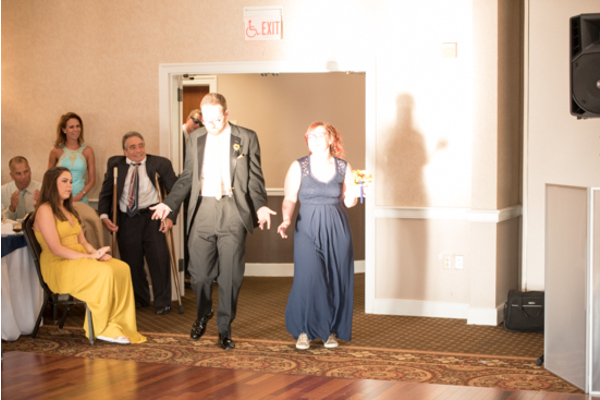 The bridesmaids wore navy dresses and the groomsmen wore yellow ties. 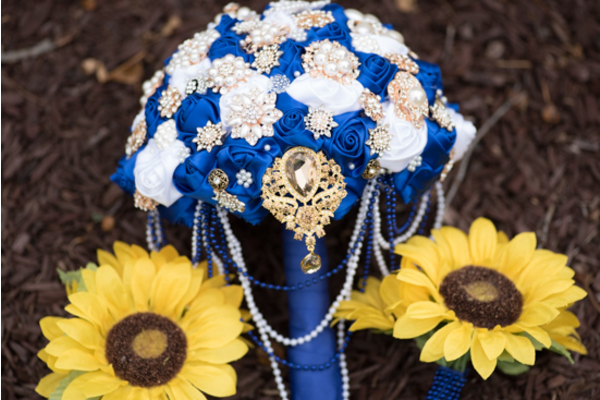 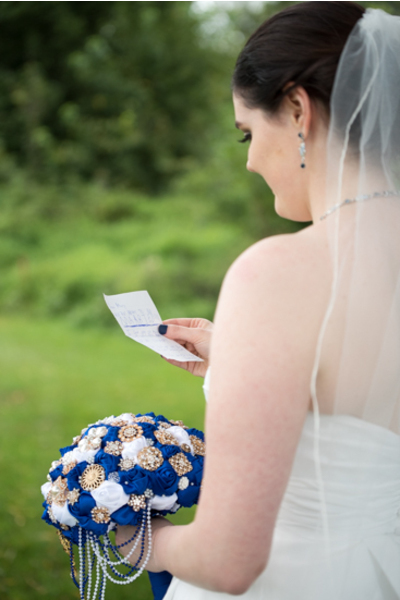 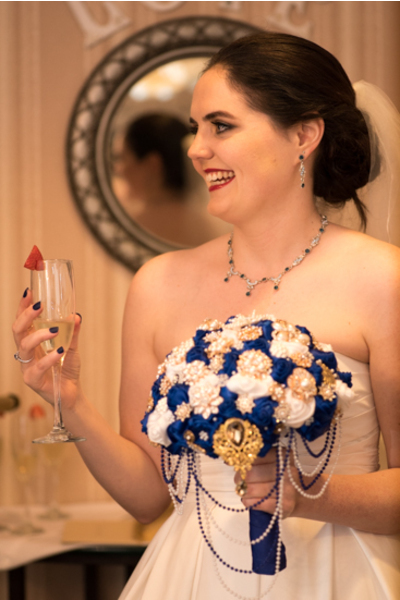 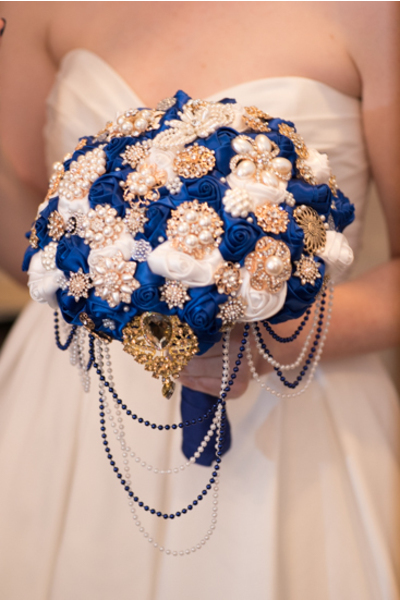 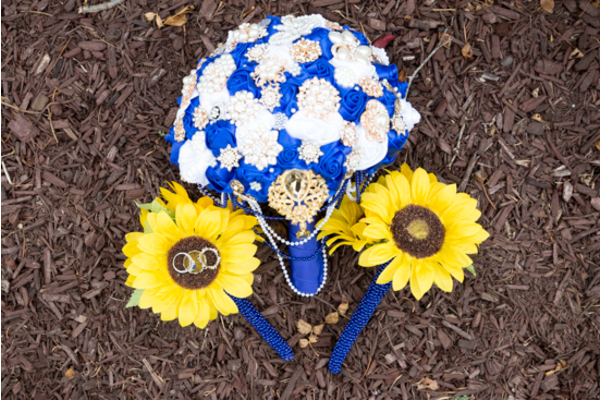 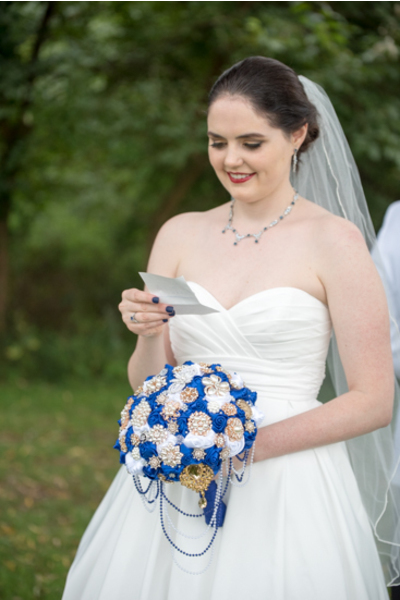 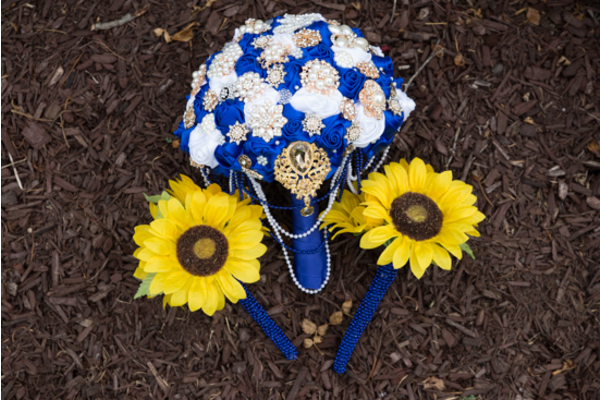 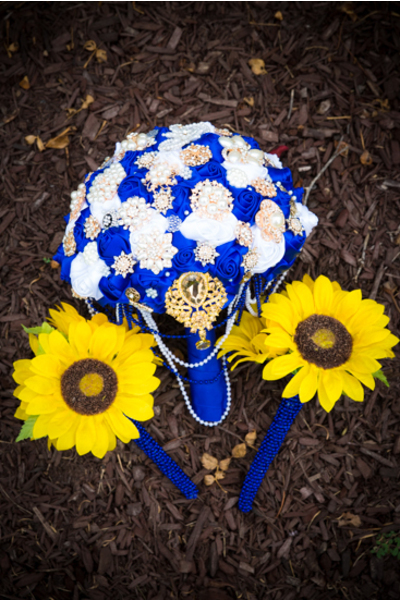 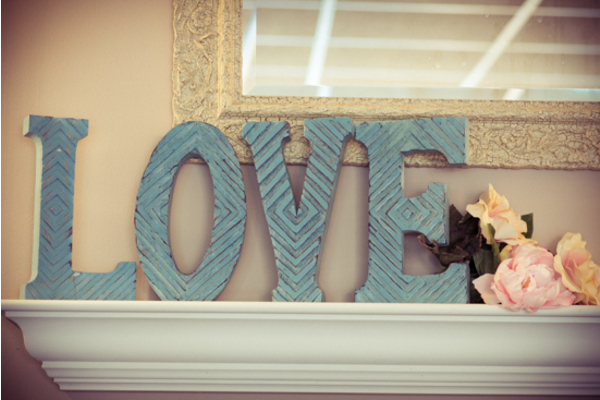 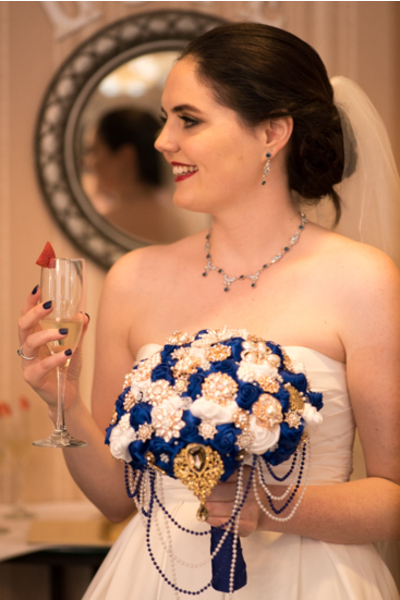 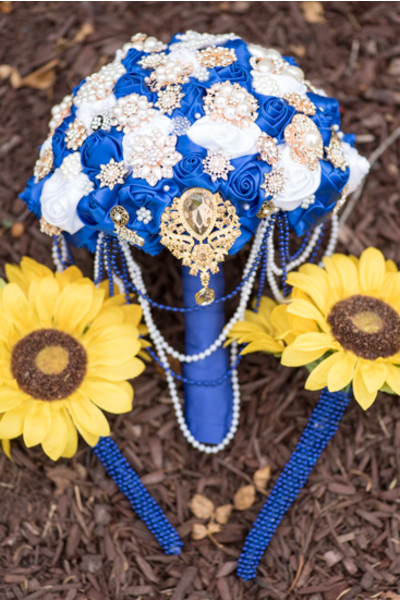 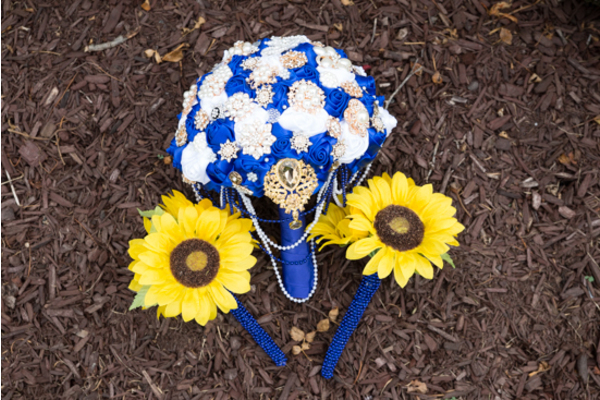 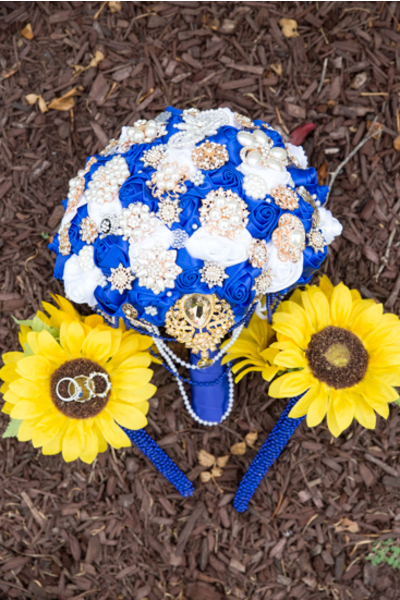 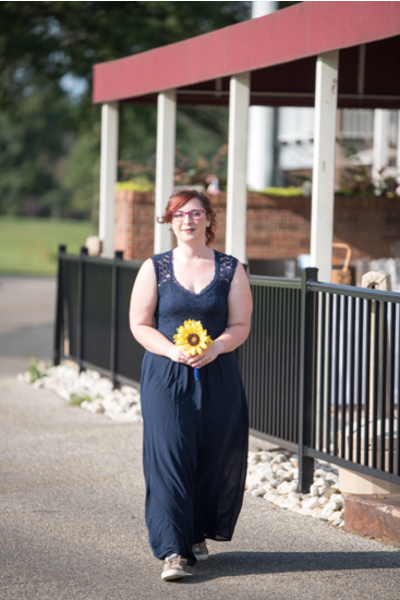 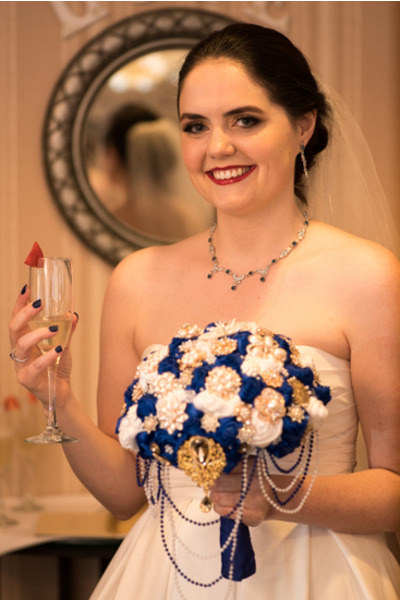 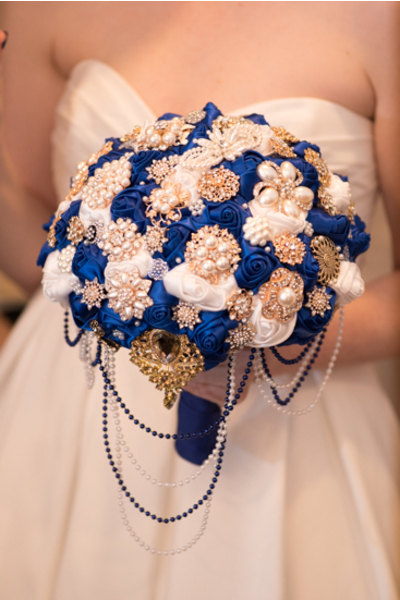 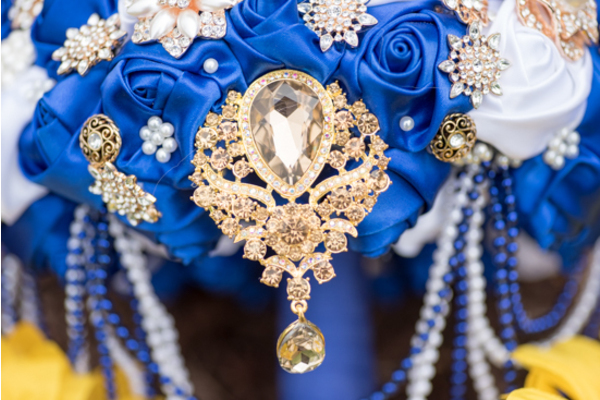 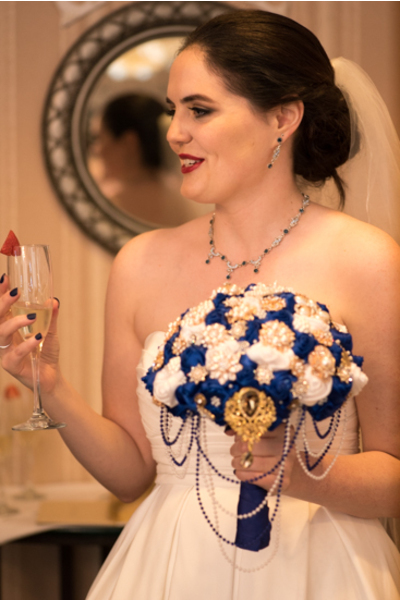 This color story complimented the brides bouquet perfectly! 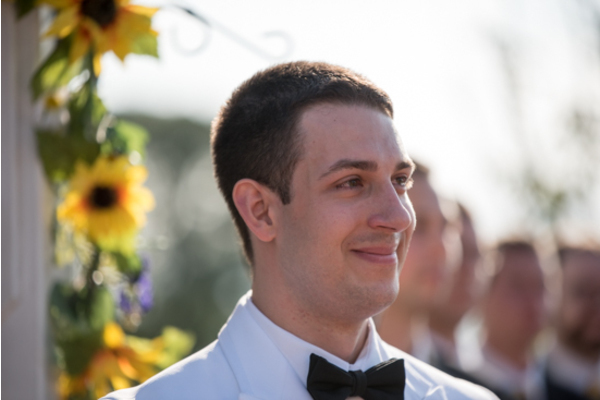 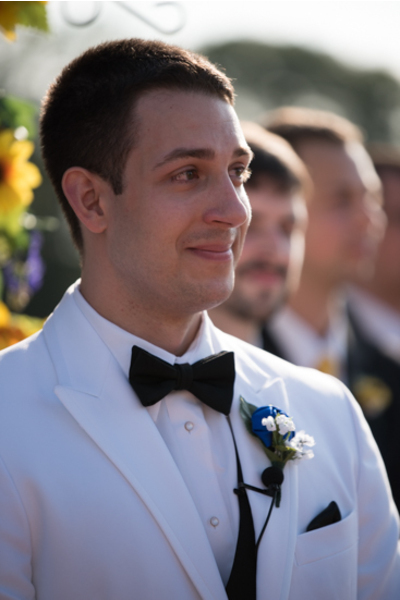 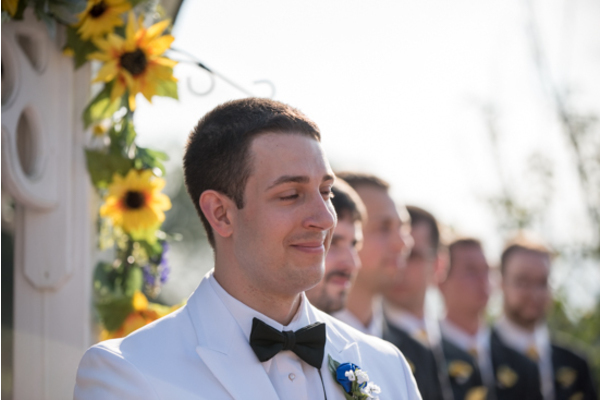 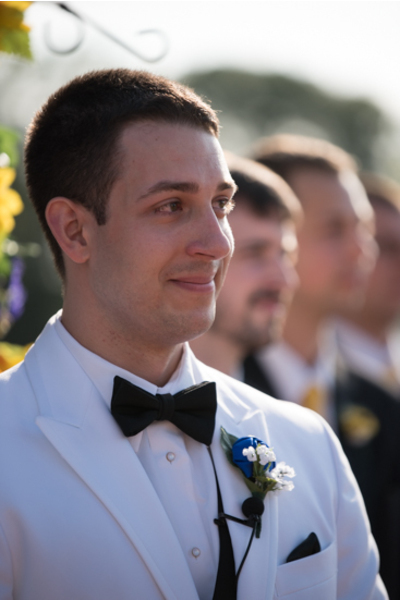 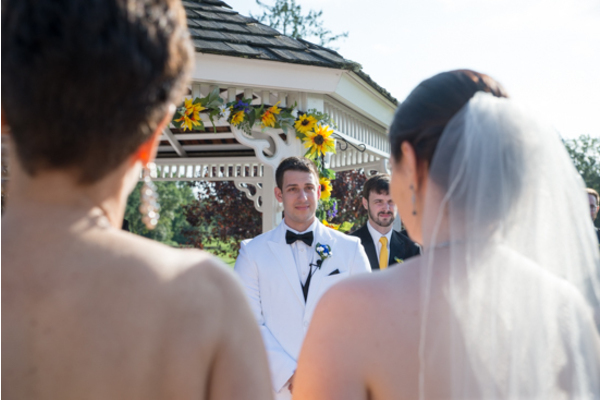 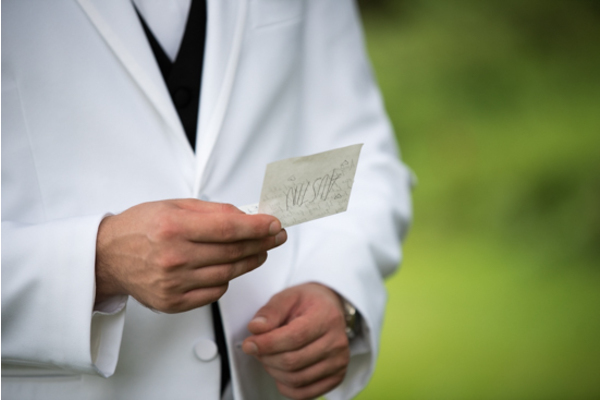 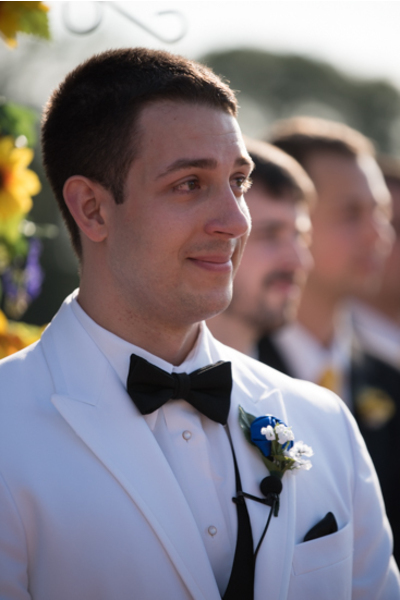 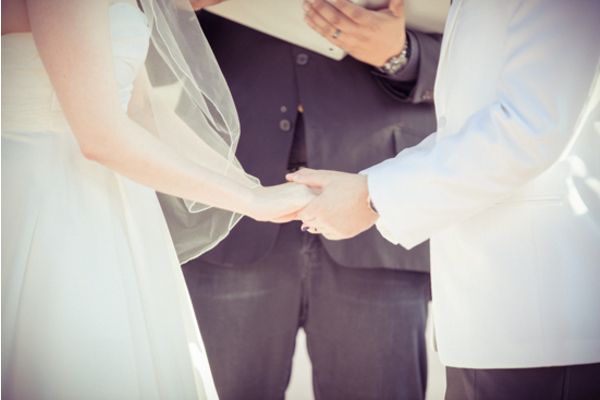 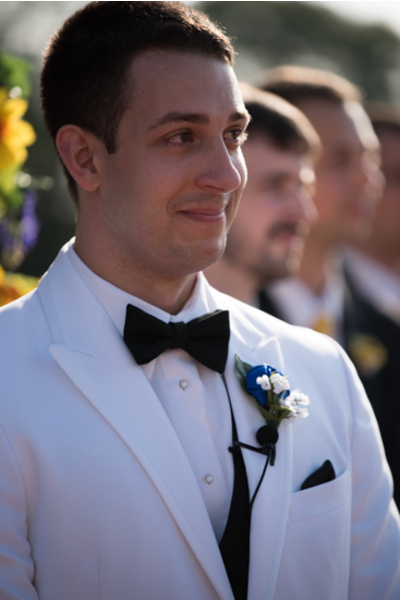 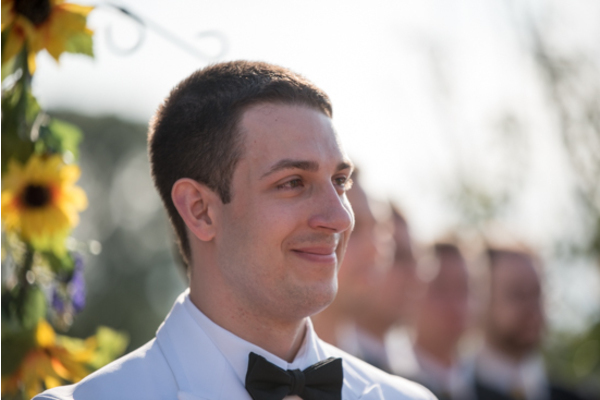 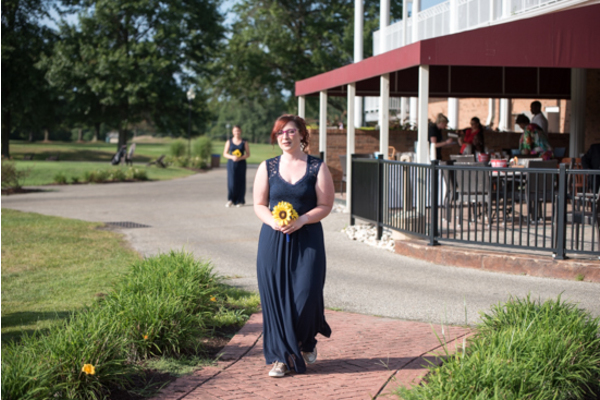 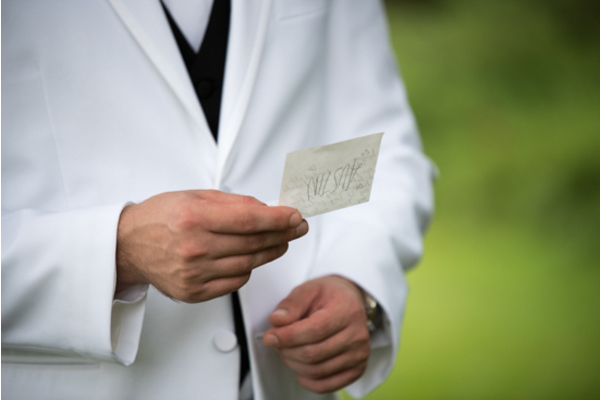 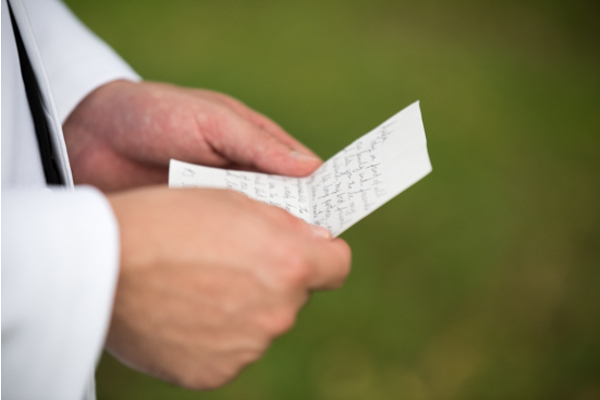 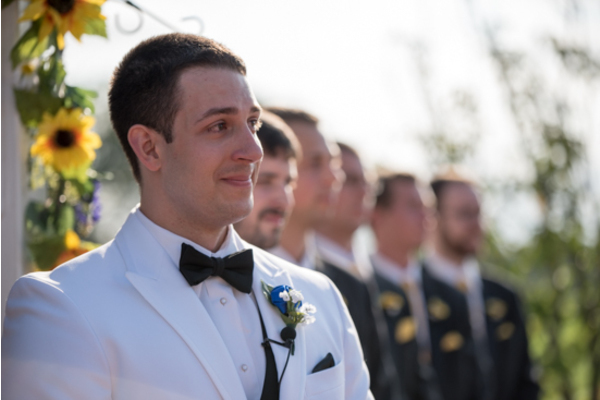 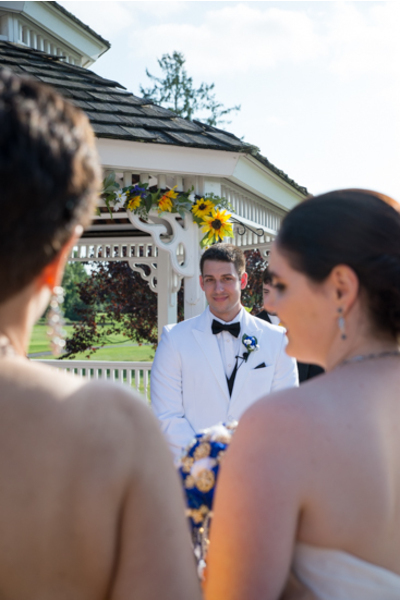 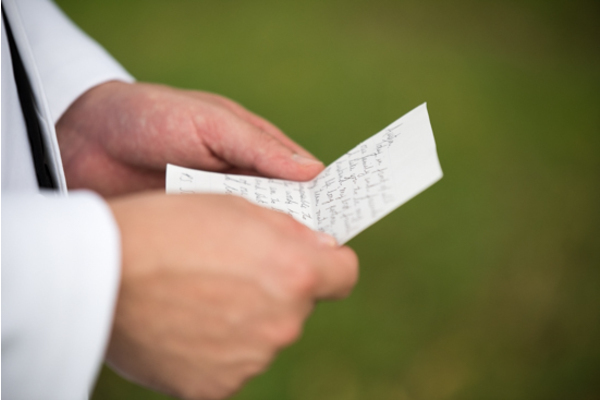 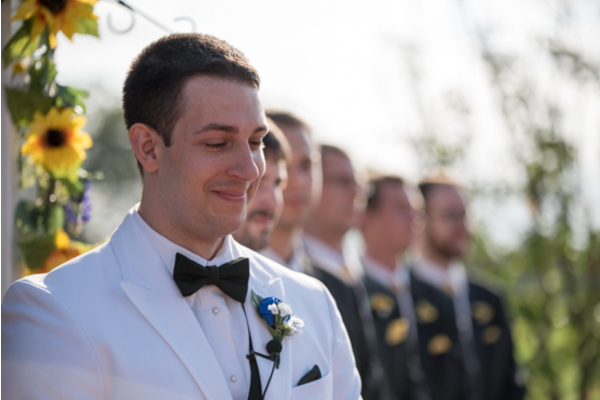 The outdoor ceremony was nothing short of magical and there was not a dry eye in the crowd. 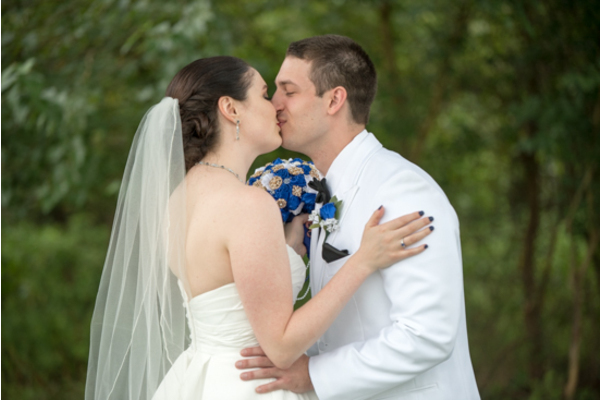 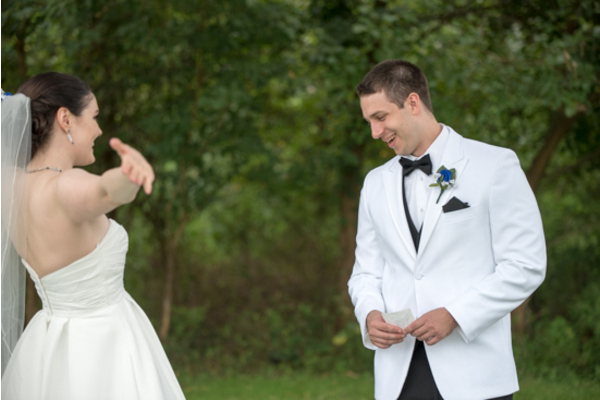 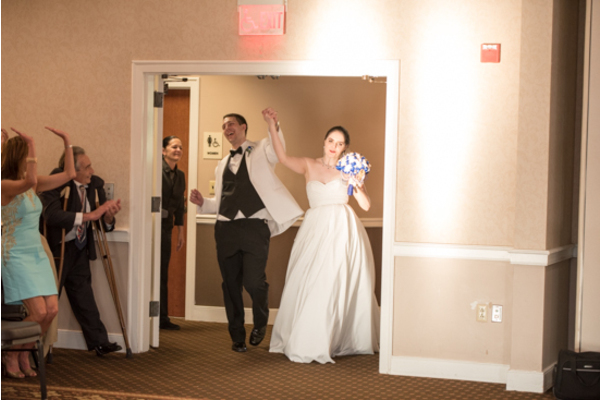 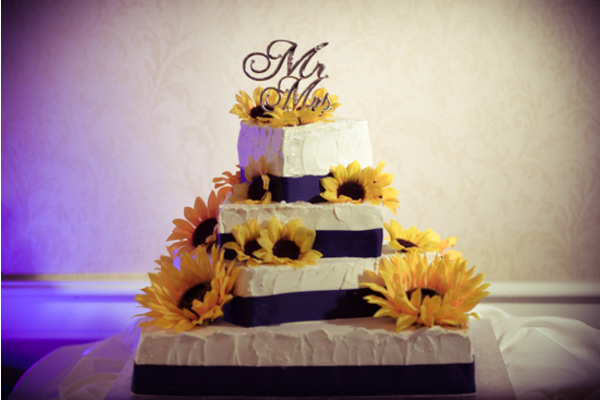 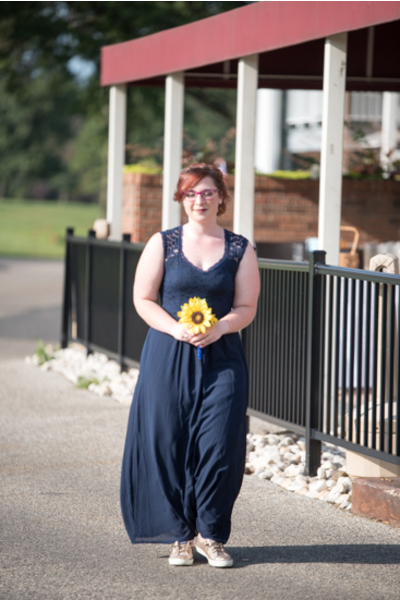 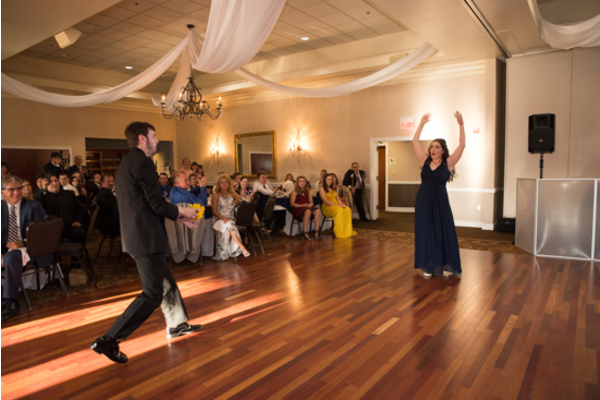 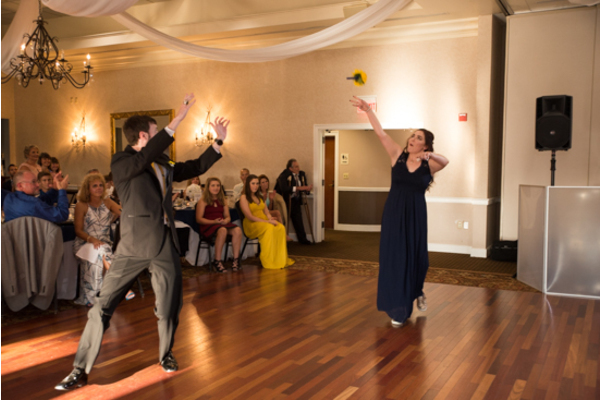 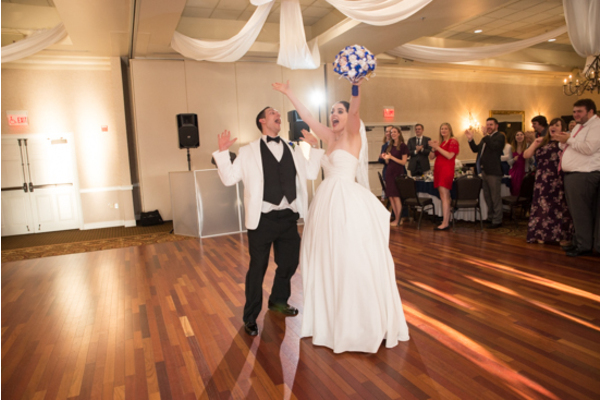 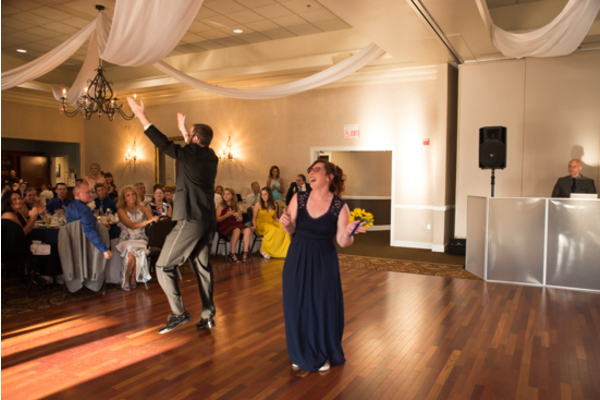 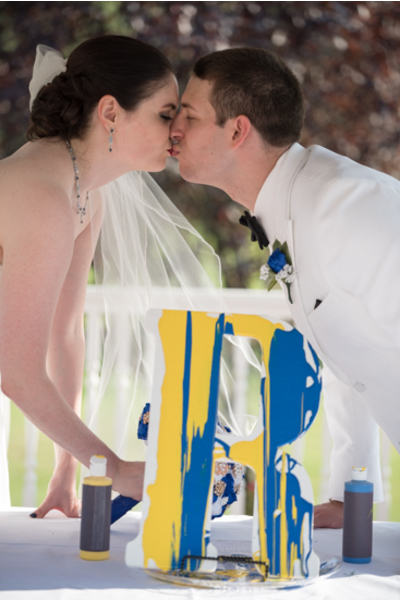 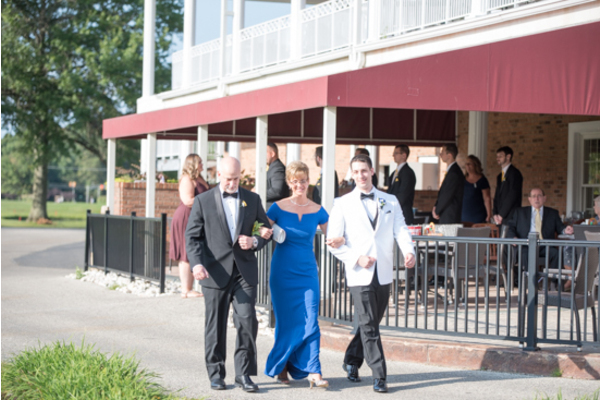 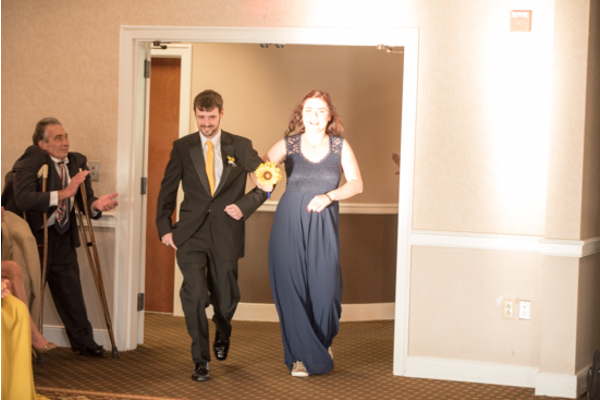 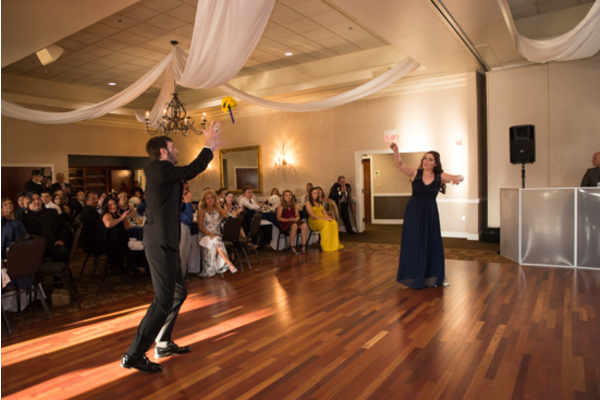 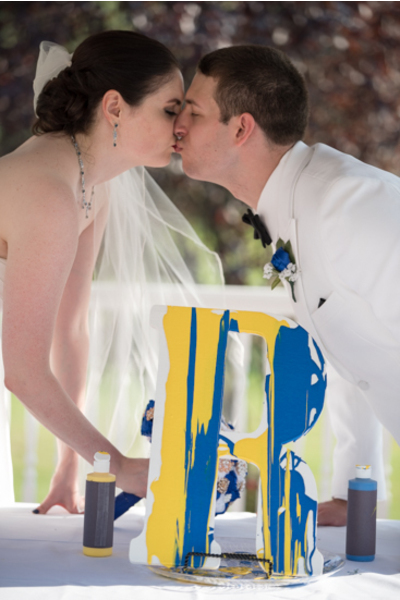 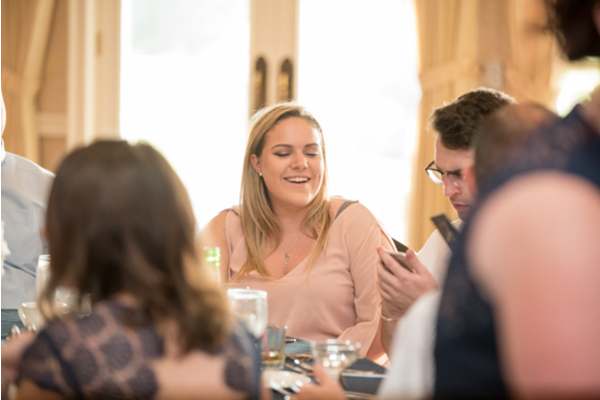 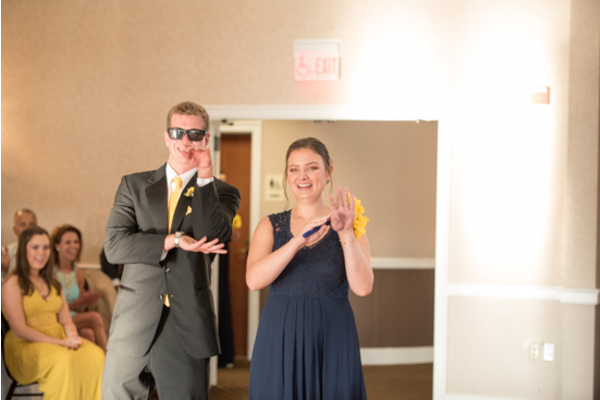 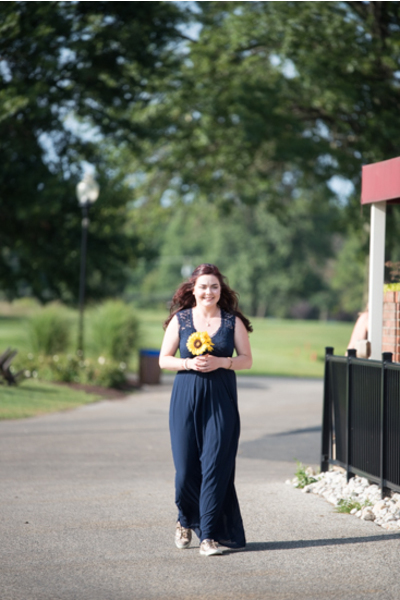 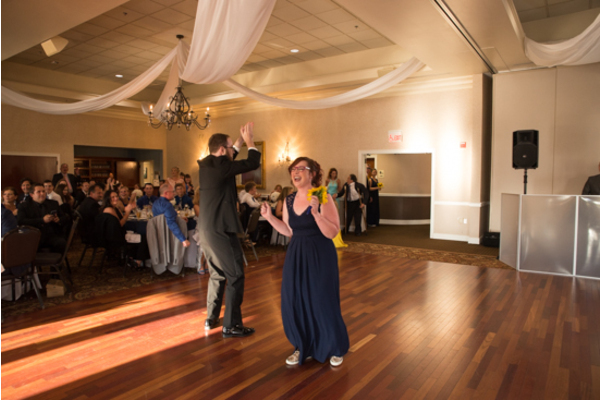 Mary and Austin said their “I Do’s” and then it was time for the party to begin! 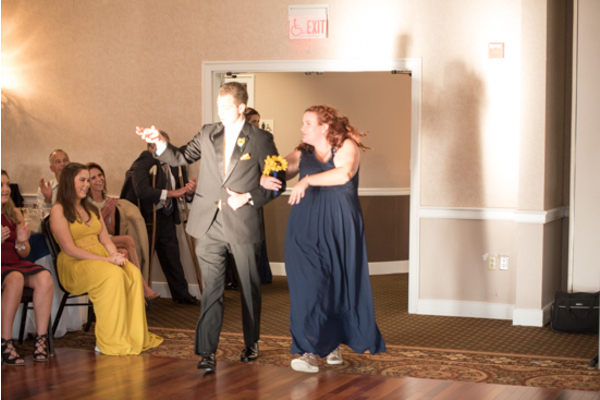 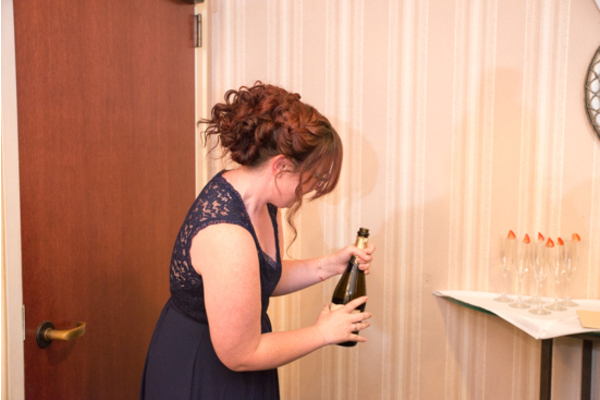 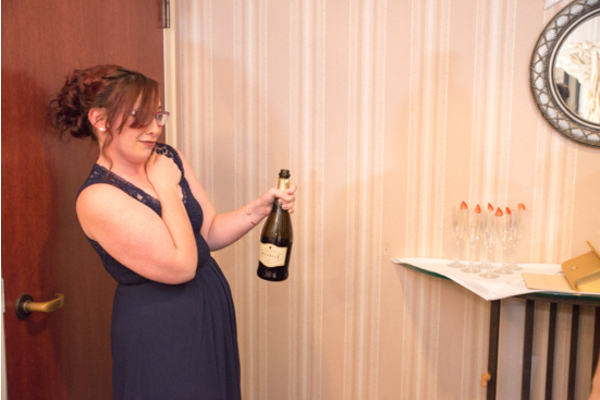 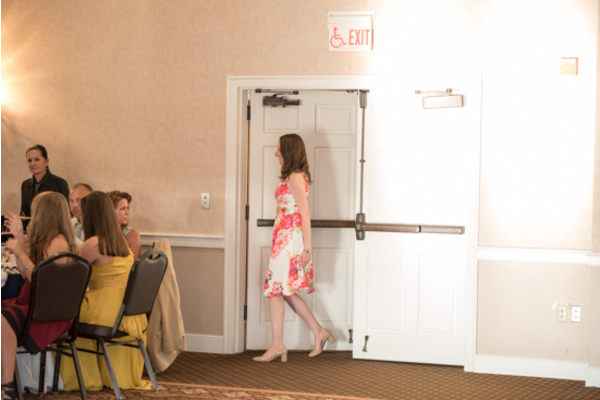 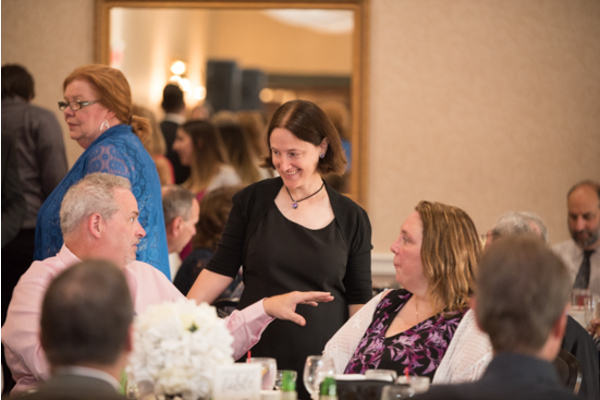 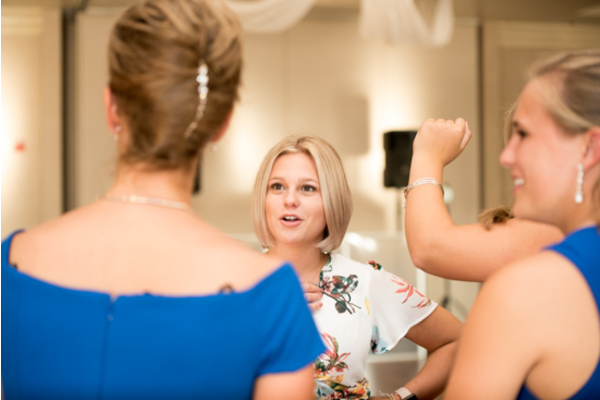 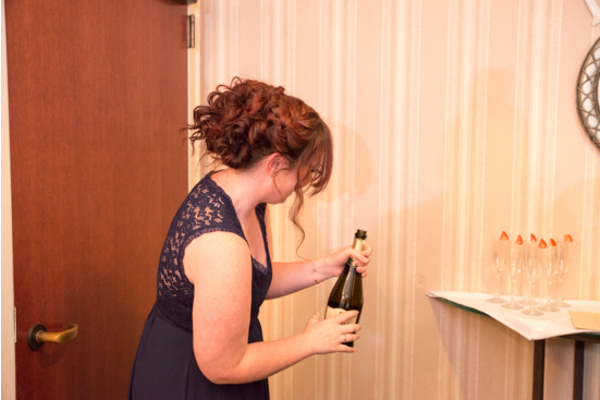 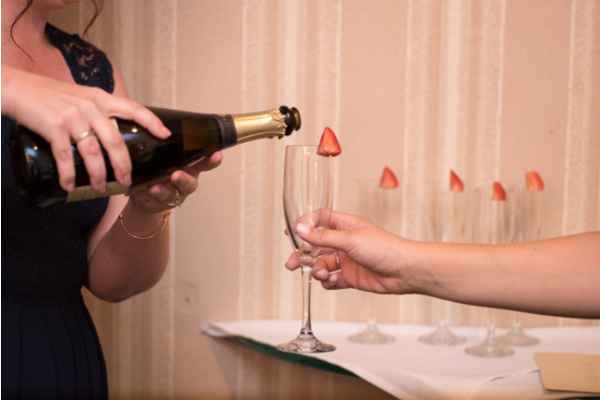 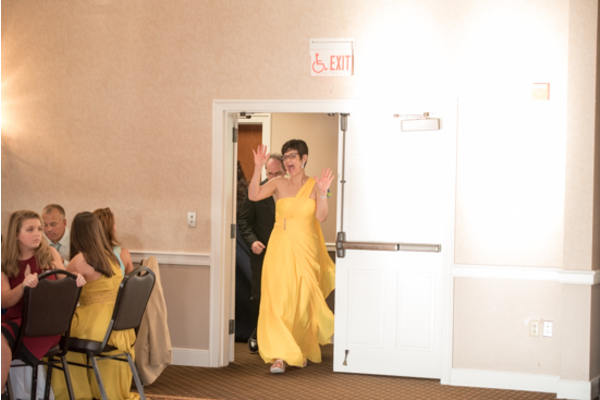 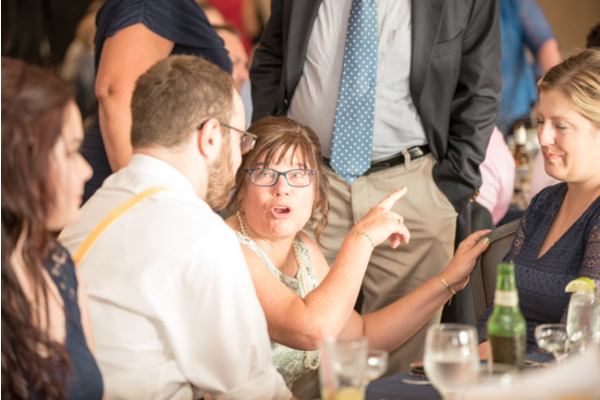 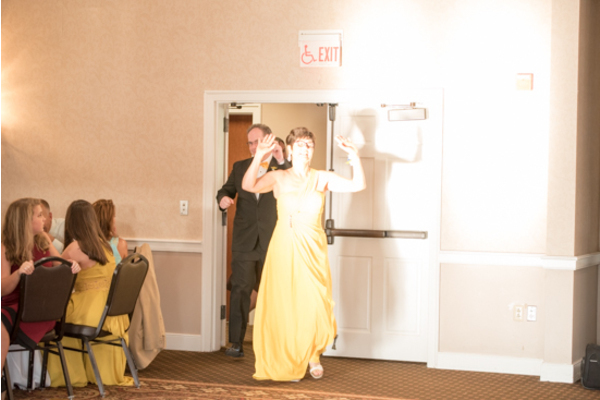 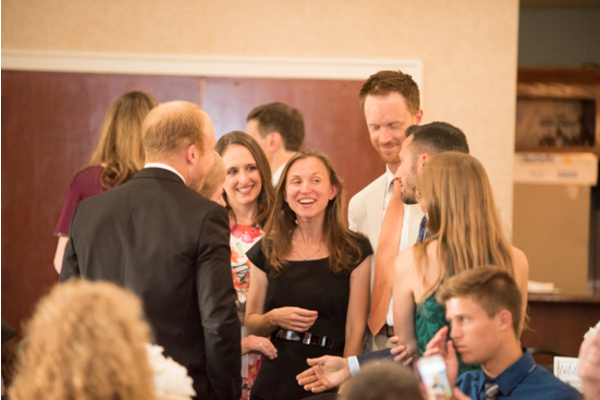 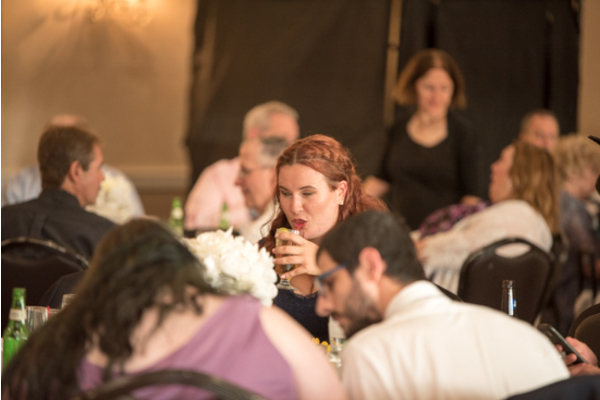 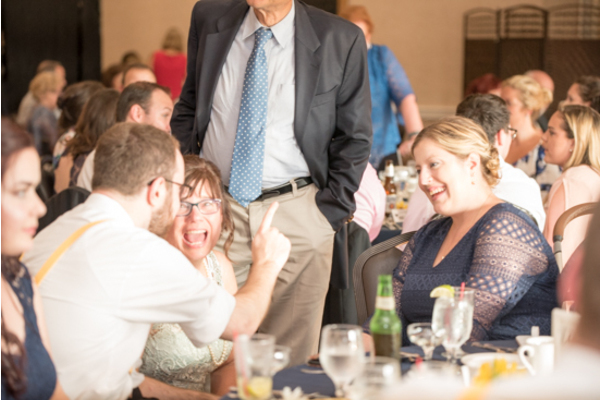 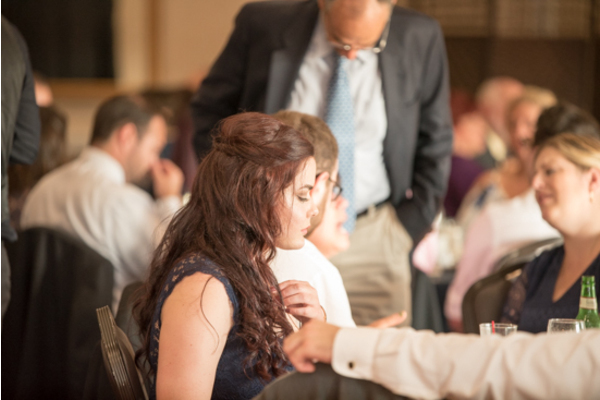 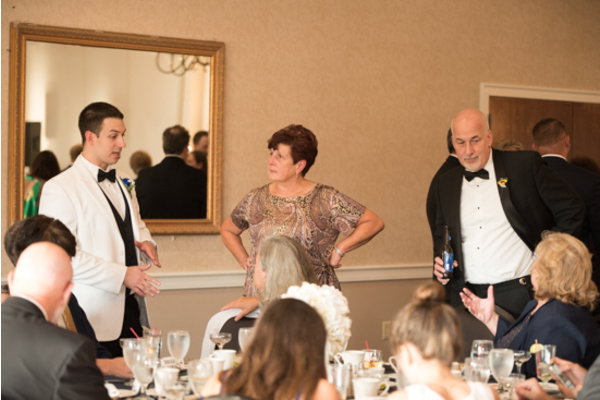 The reception was a very memorable occasion! 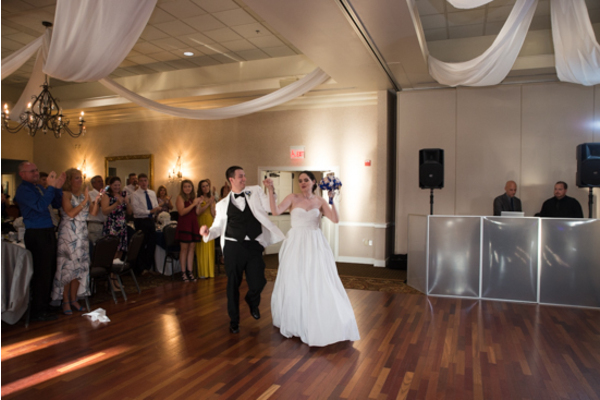 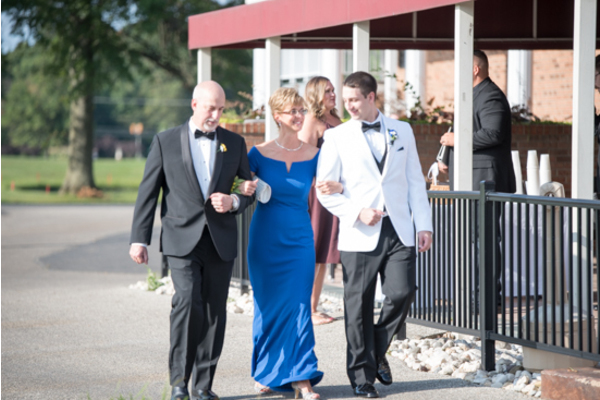 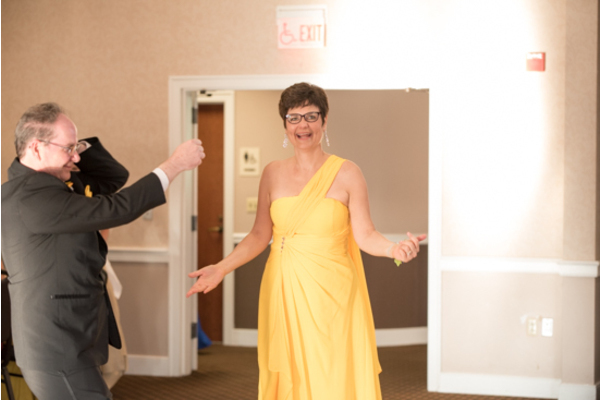 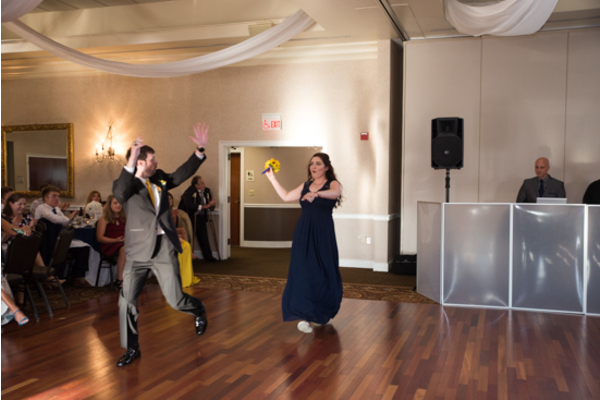 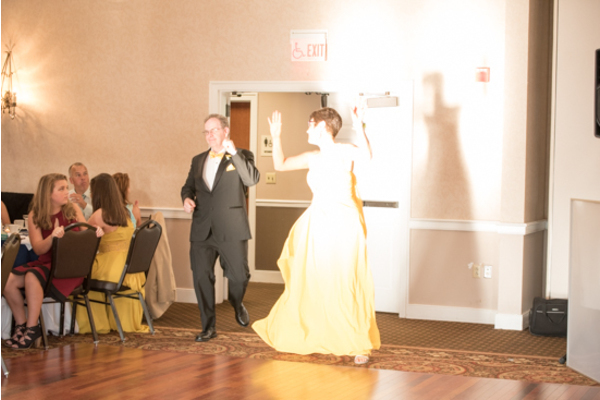 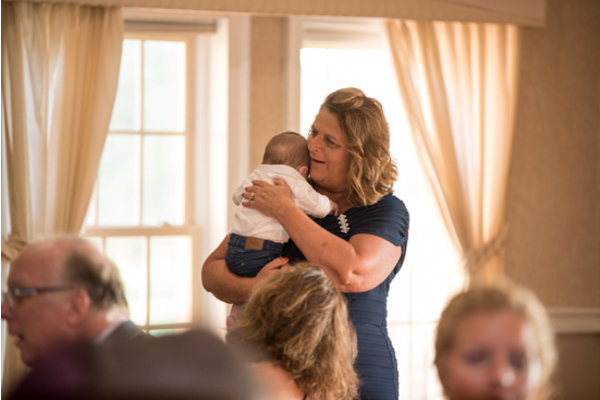 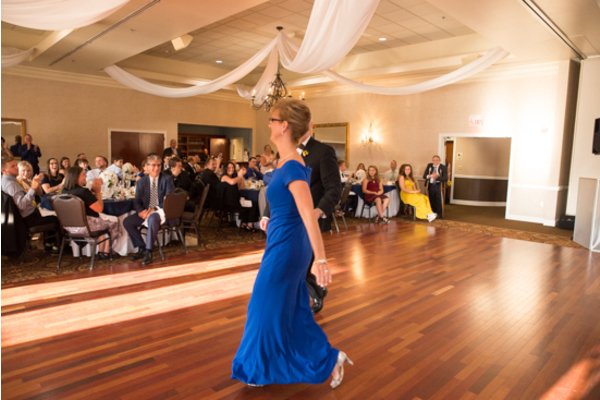 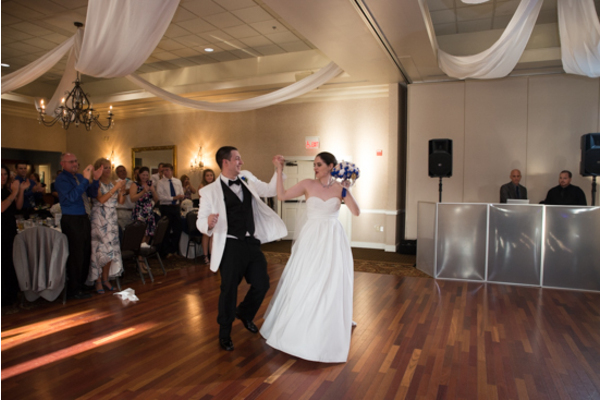 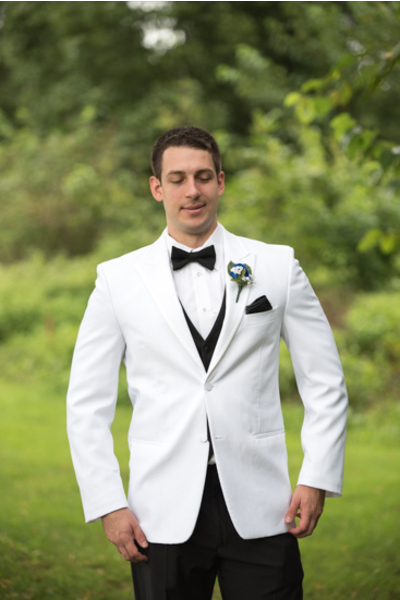 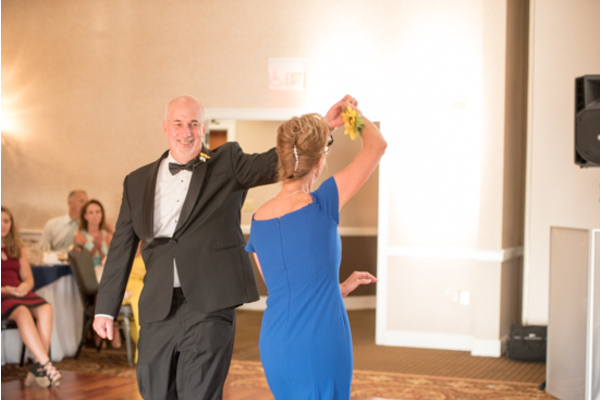 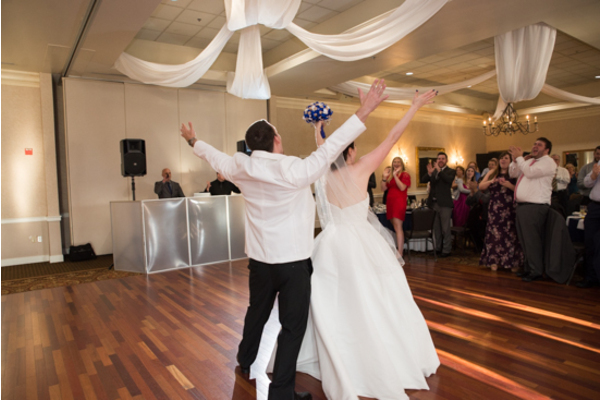 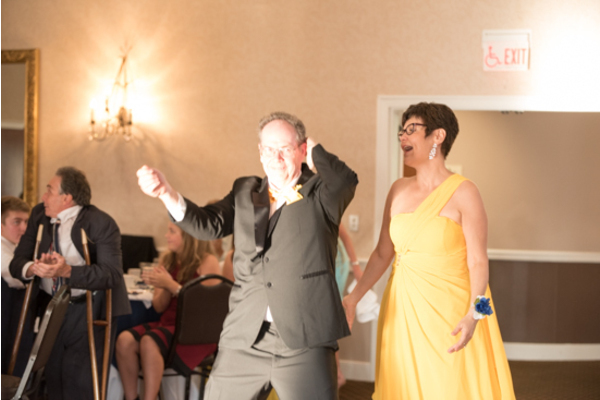 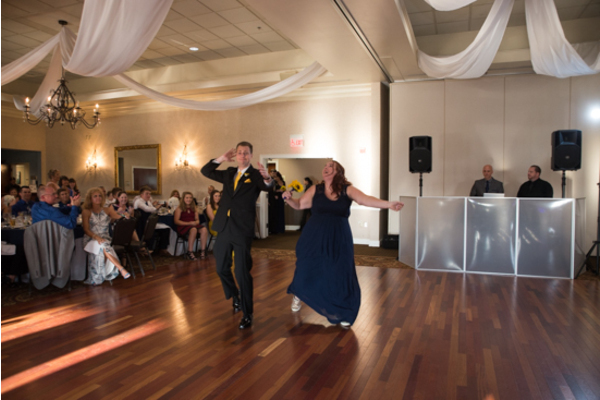 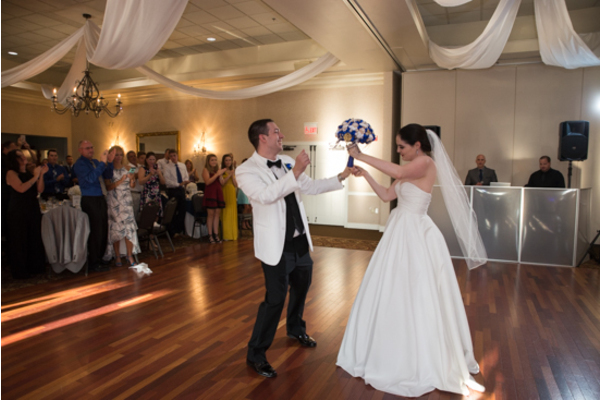 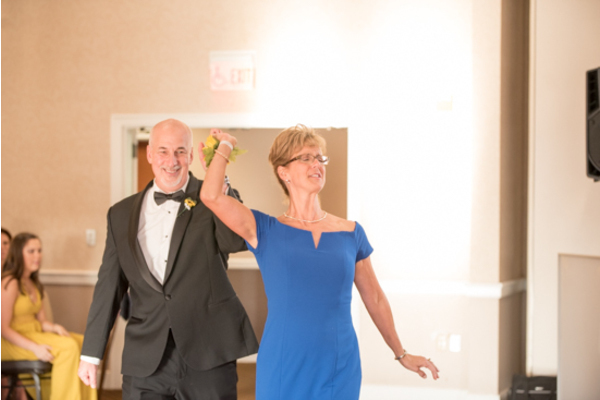 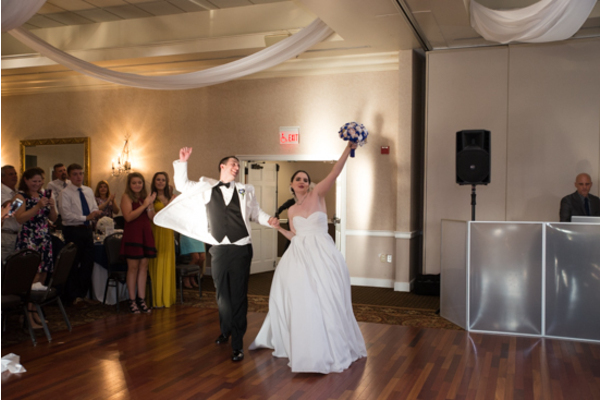 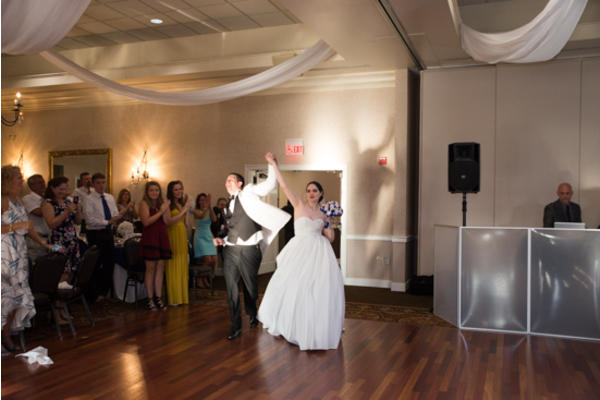 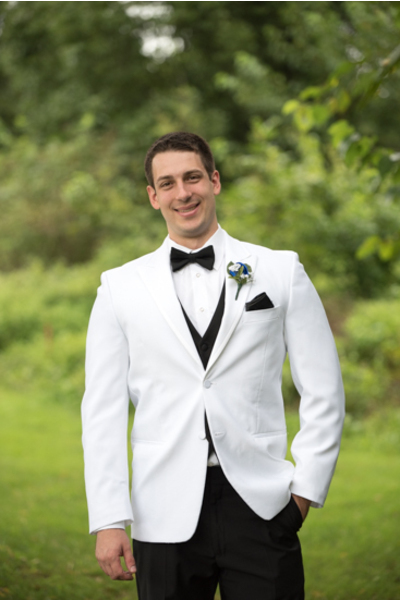 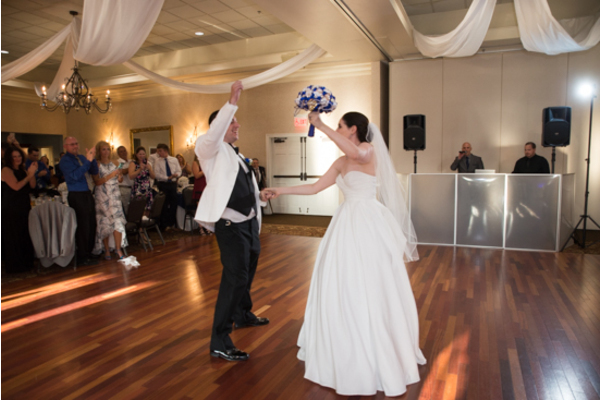 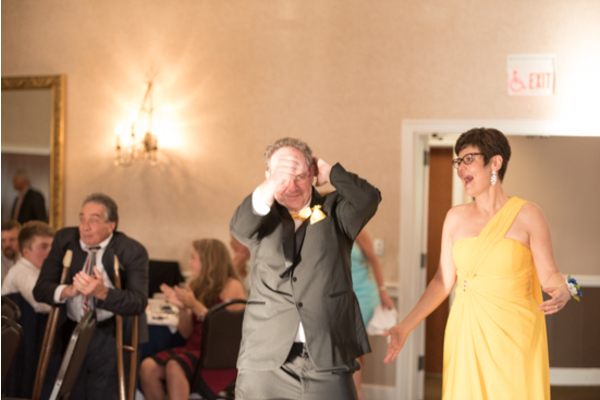 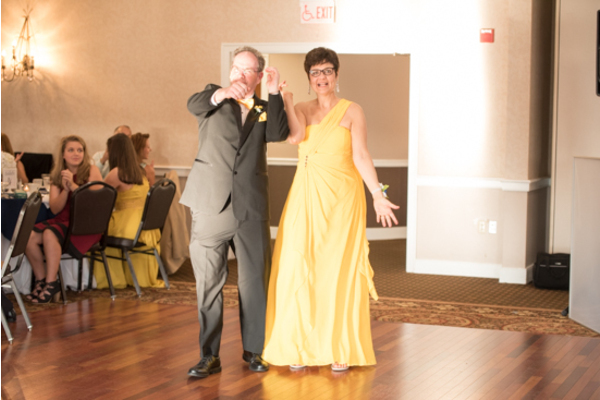 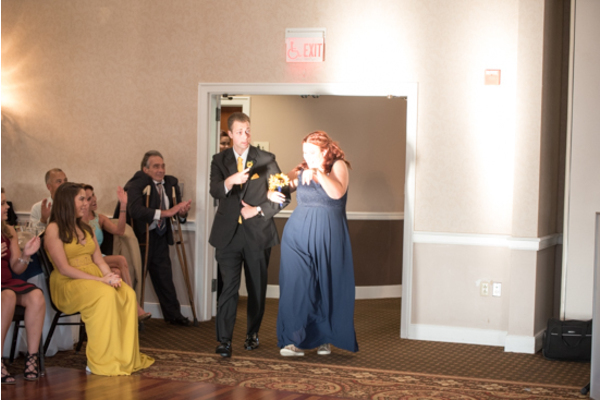 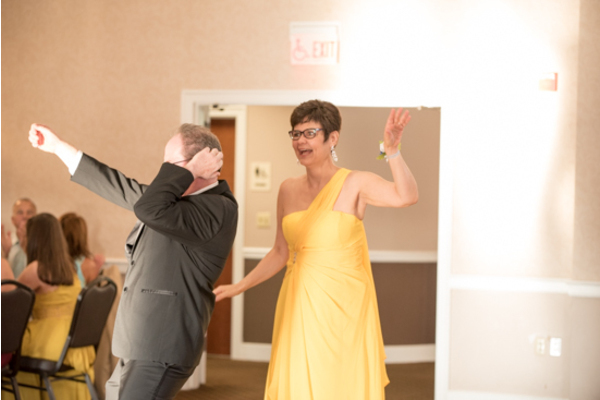 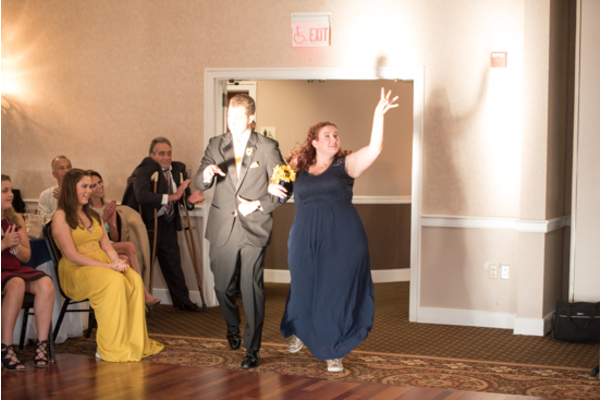 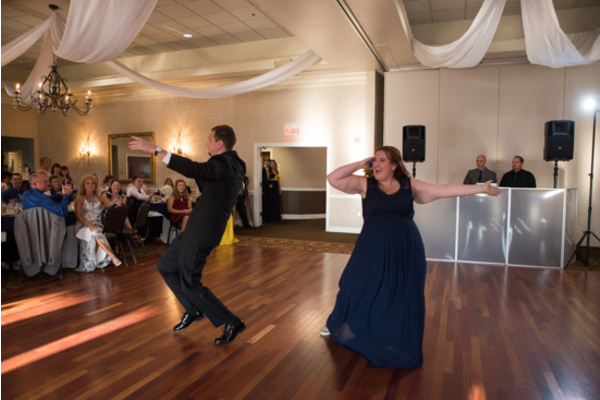 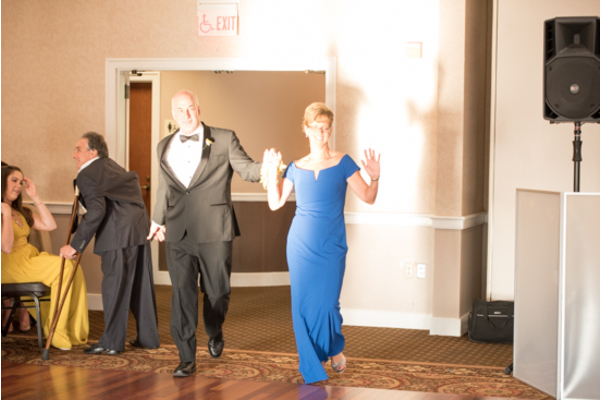 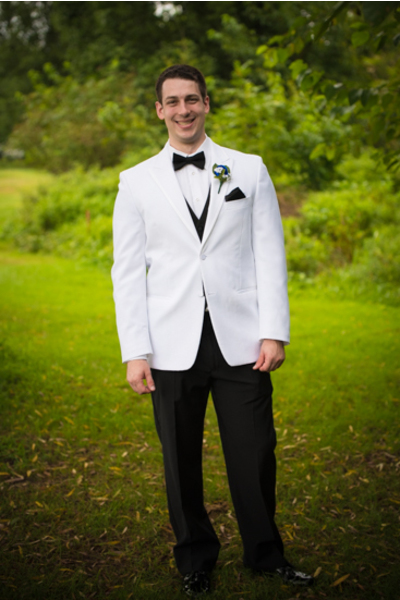 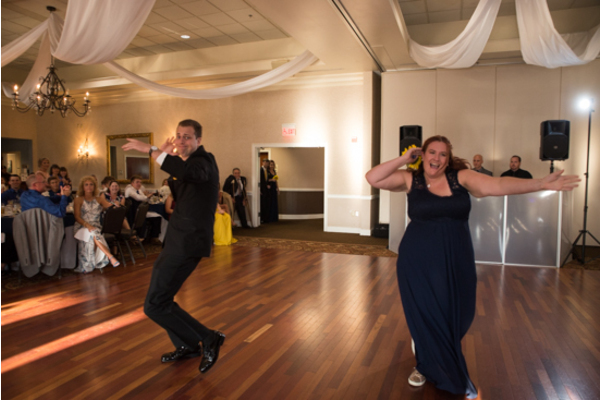 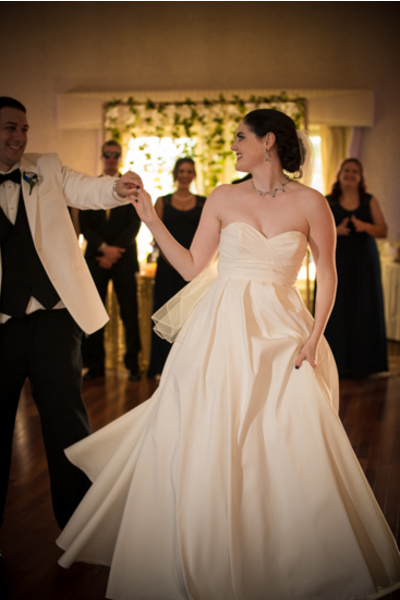 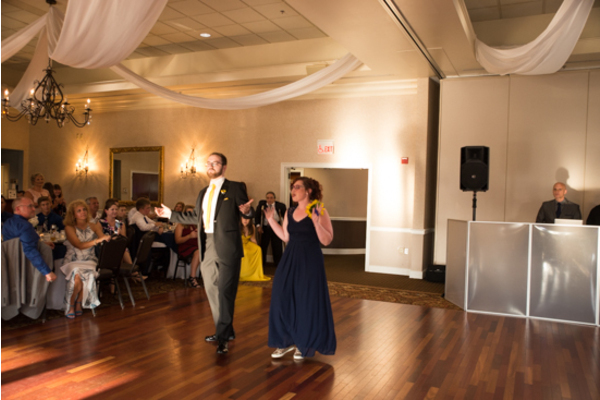 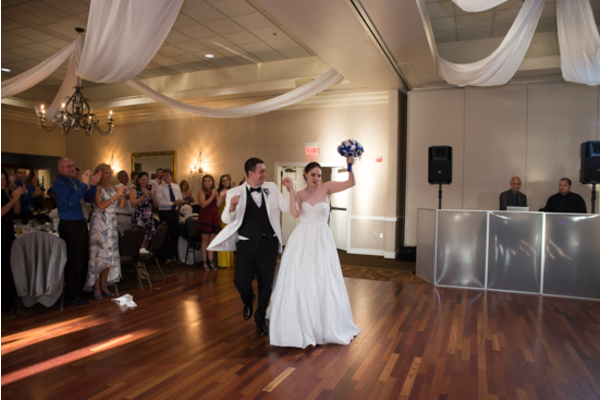 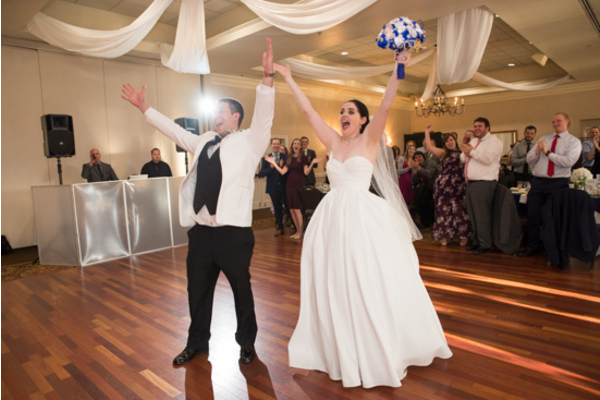 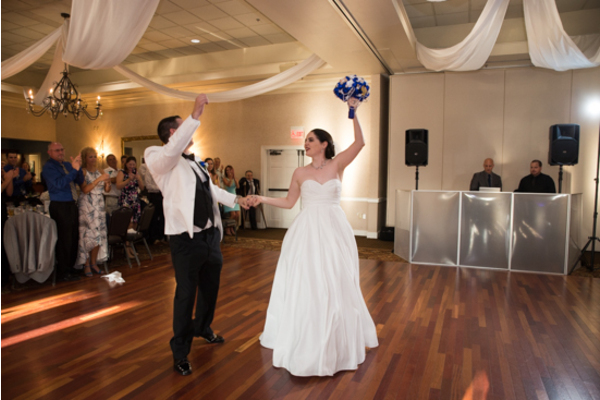 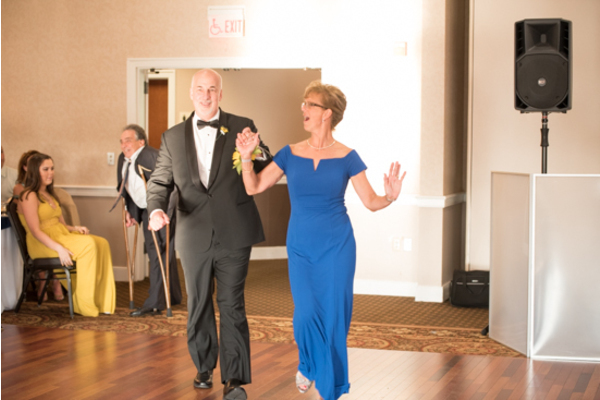 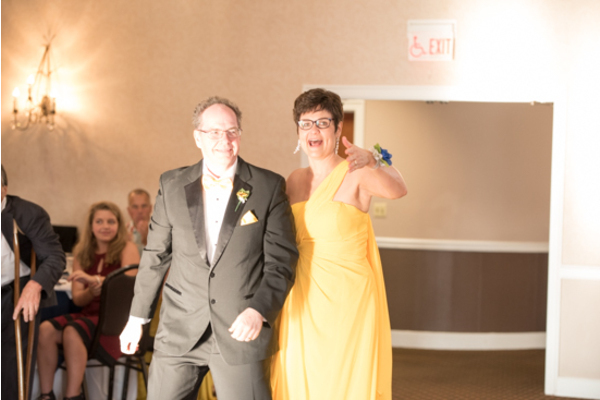 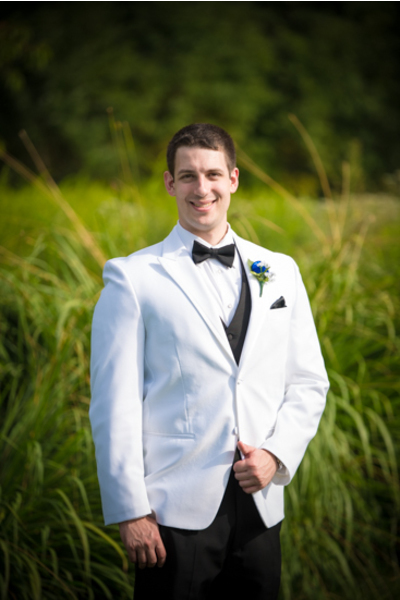 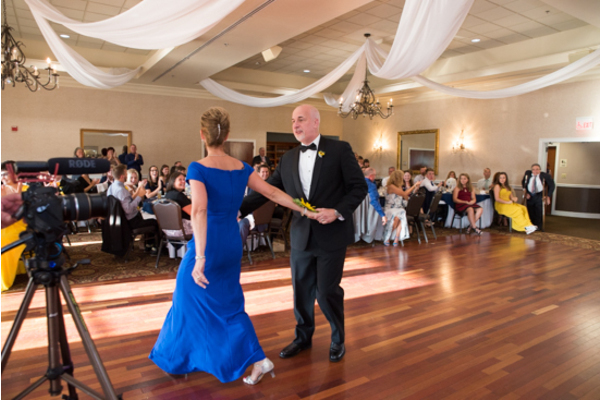 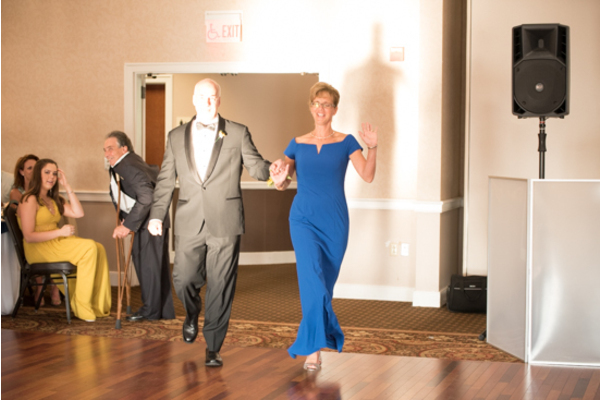 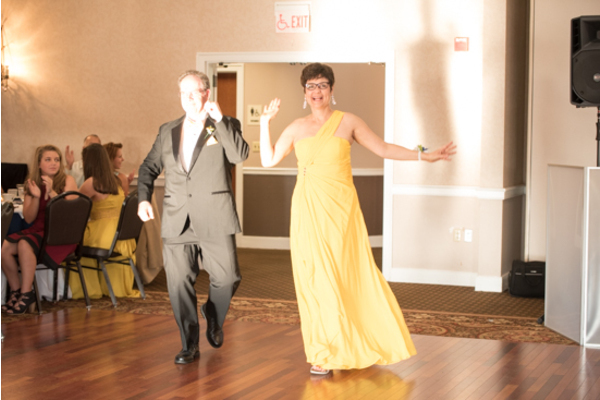 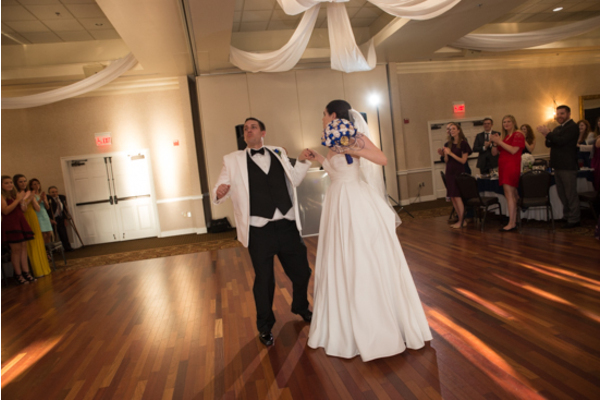 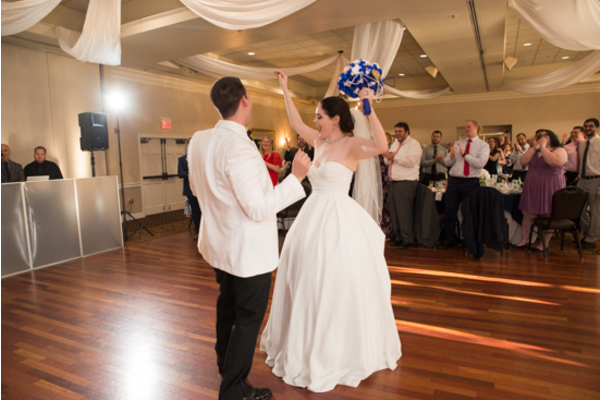 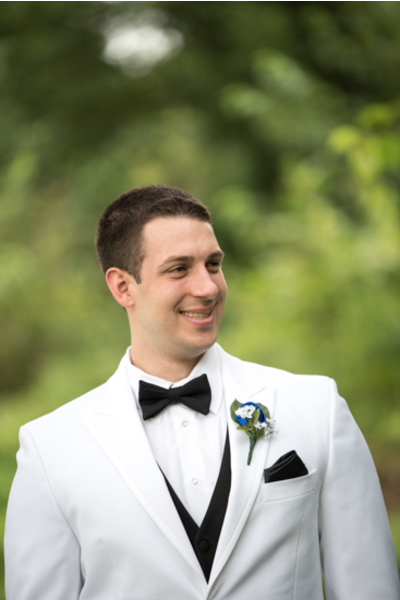 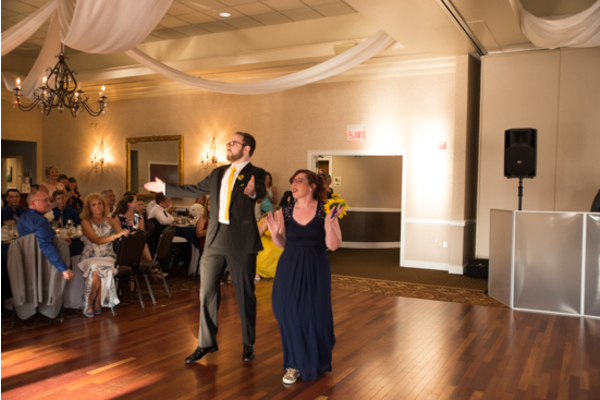 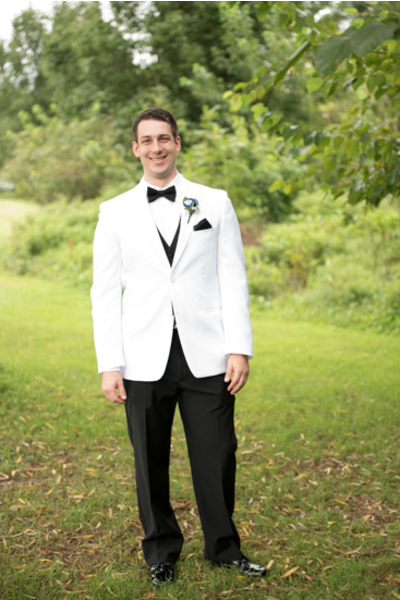 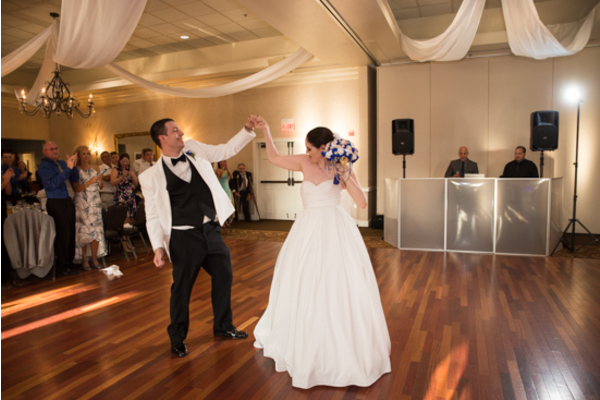 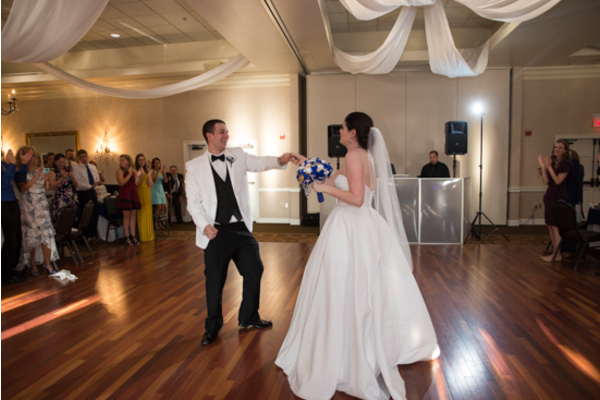 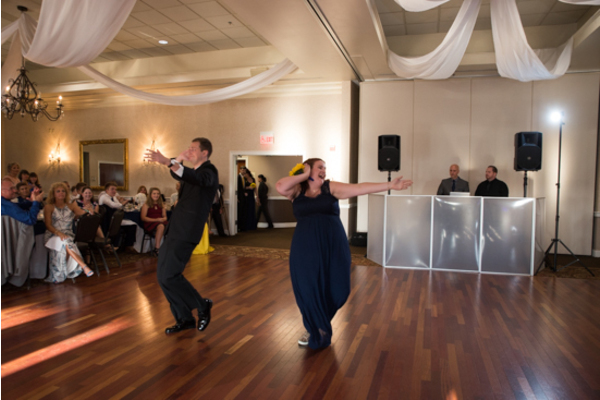 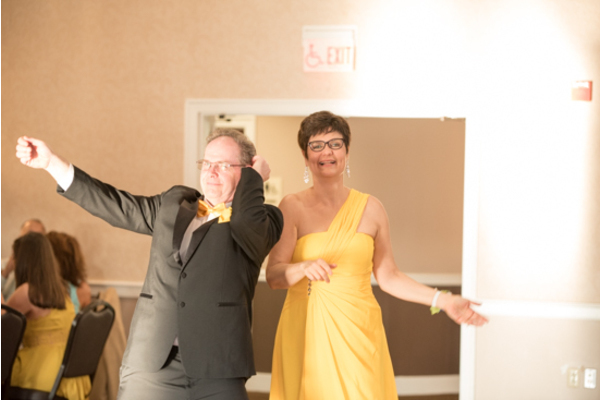 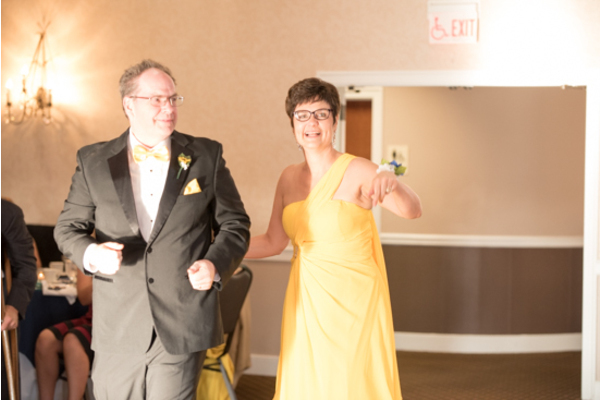 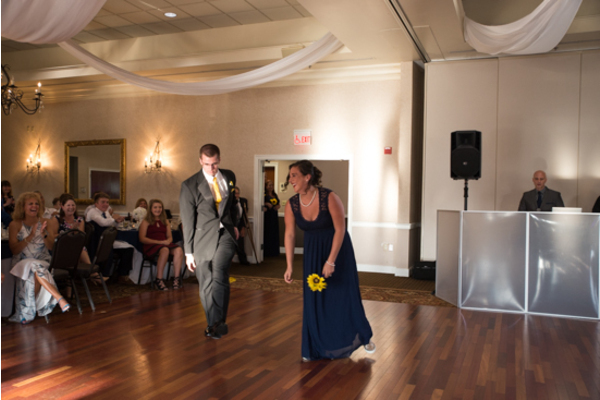 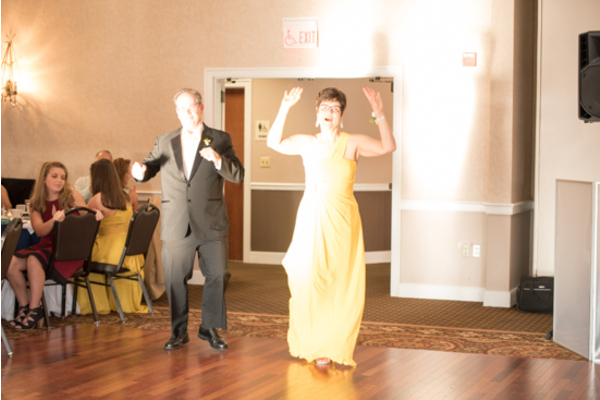 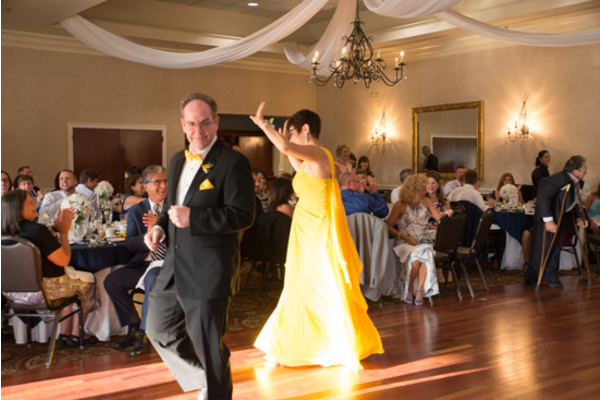 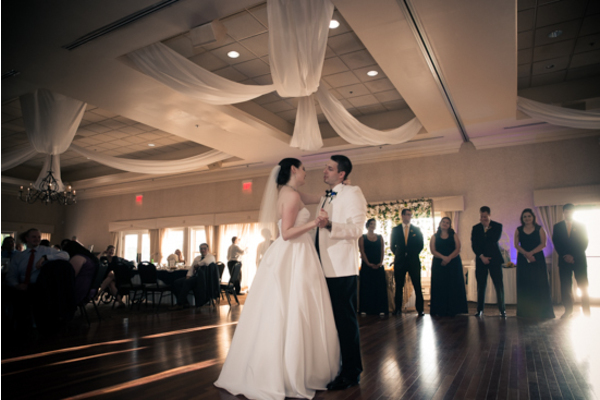 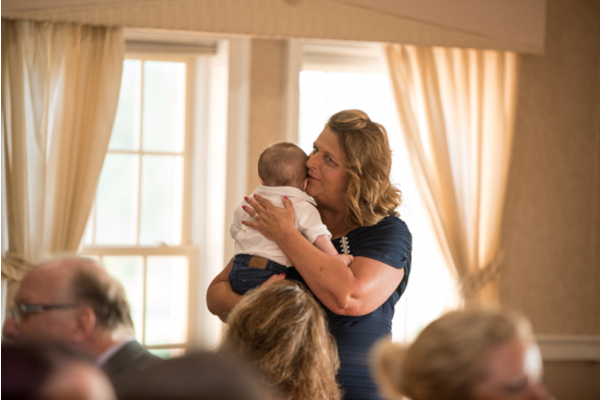 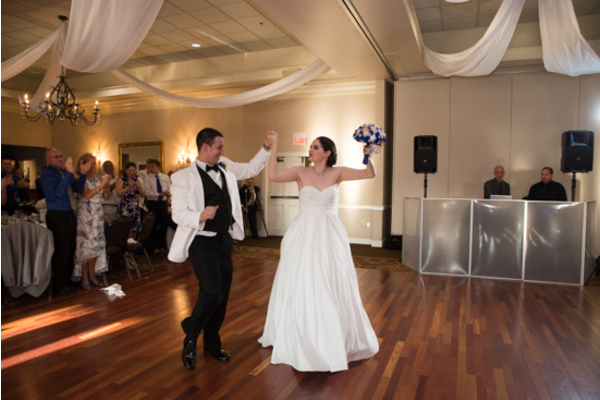 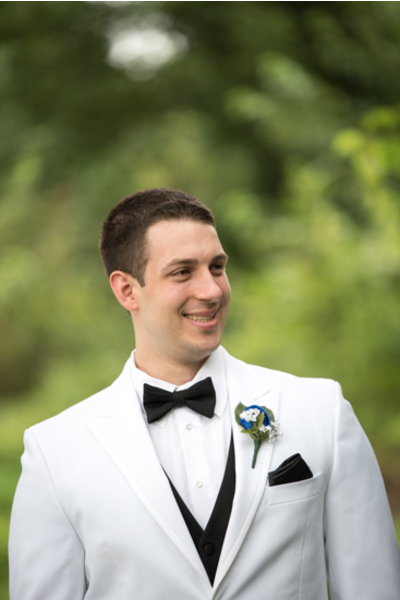 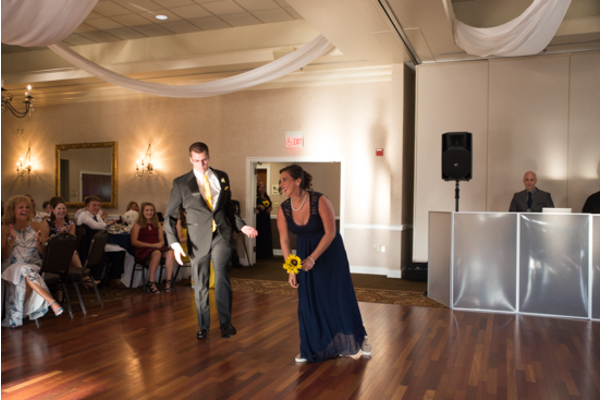 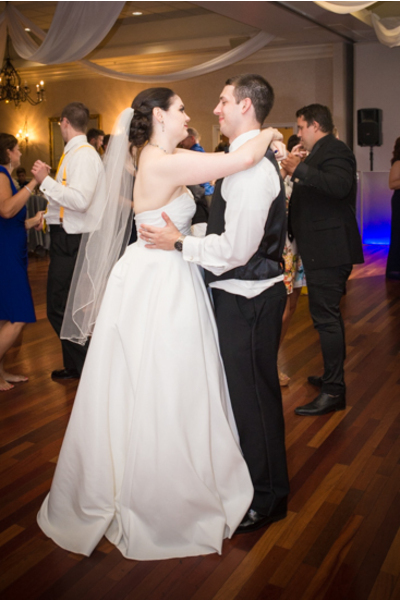 Our NJ Wedding DJ got the night started with a first dance with the happy newlyweds, followed by the father daughter dance, and then the unexpected choreographed dance performed by the groom and his mom! 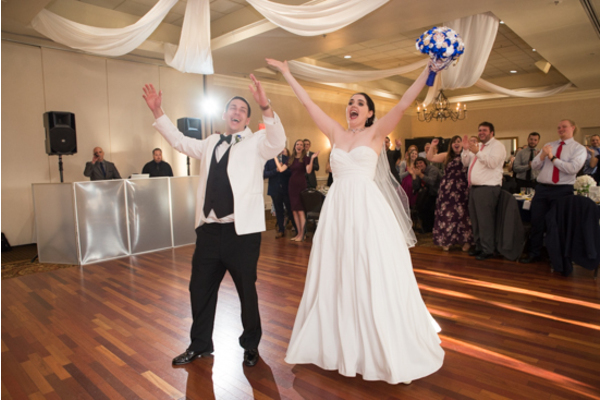 It was such a special celebration and we are so happy to have been apart of it! 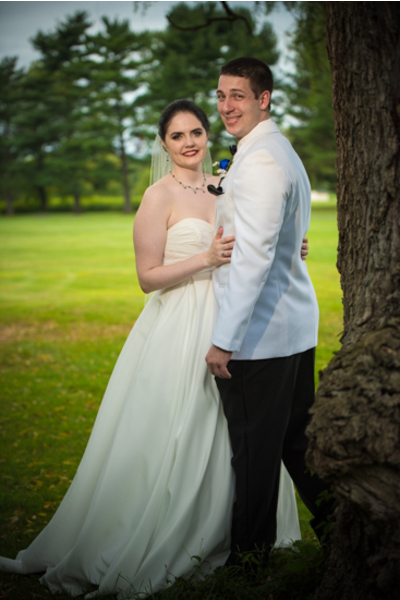 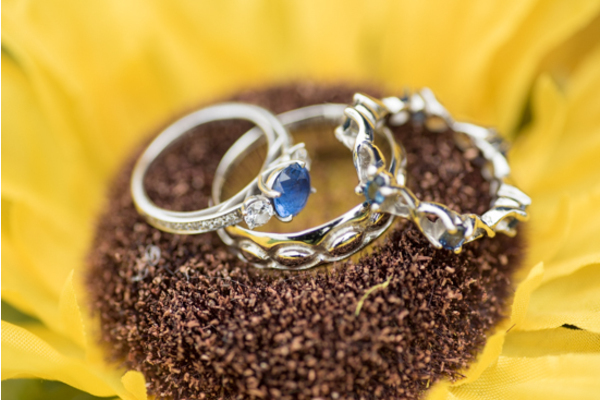 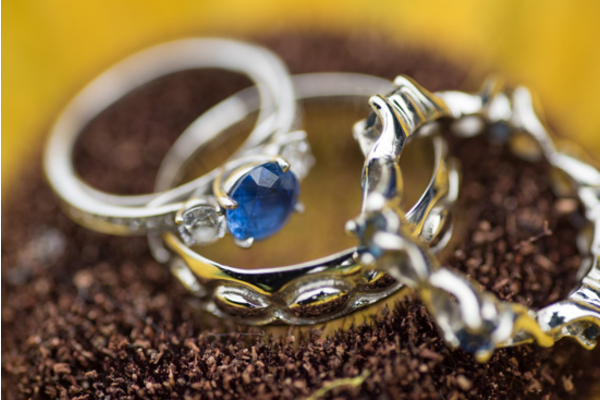 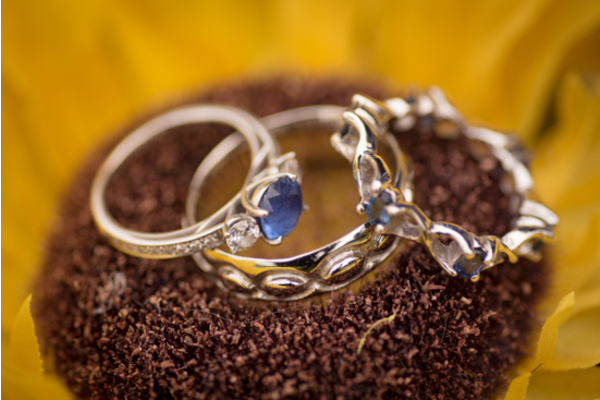 Congrats again to this beautiful couple, and we wish you a lifetime of happiness!